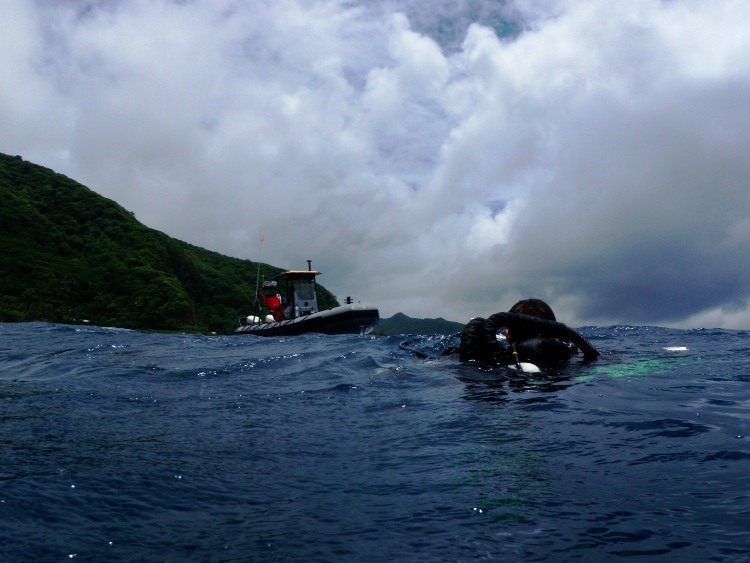 Return from American Samoa – Diving Completed, D.C and New York in April! Around the time that the Submerged Resources Center intern was to be announced last March, I was sailing upriver deep in the Amazon Rainforest, completely unreachable by the outside world. I made my way to the only internet connection for many miles and made some hurried, overdue calls from a borrowed satellite phone to accept this position. Clearly, I was aware that this internship was something special. However, in retrospect I can see that, at the time, I really could not possibly have grasped what was being offered to me. Currently, I have completed this whirlwind of diving adventures and hands-on training, and I really could not have imagined what a life-changing, deeply enjoyable, and truly unique experience this has been! 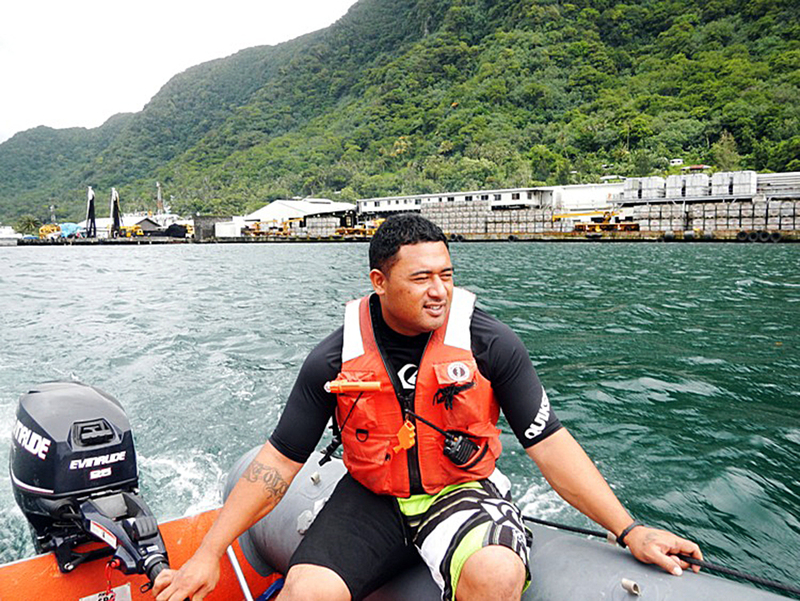 With lots of new experiences under my belt, I recently flew back to the mainland after three weeks in American Samoa. Before I left, I went on one of the biggest adventures of the internship! 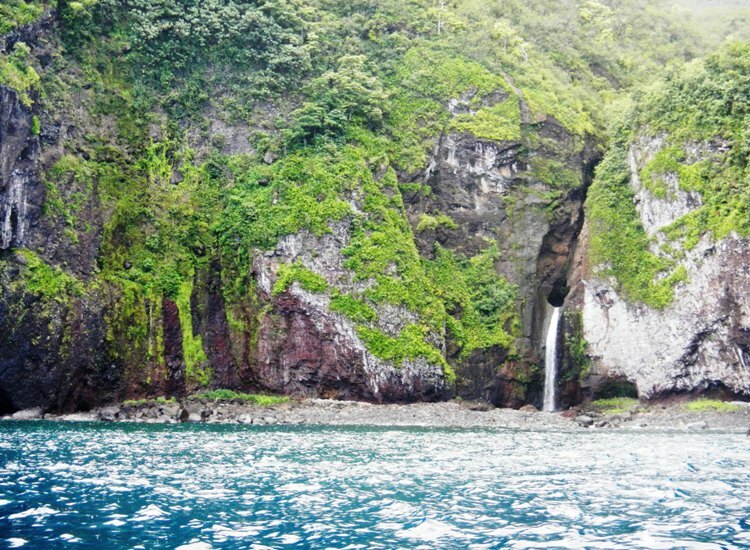 Although the majority of The National Park of American Samoa is located on Tutuila (American Samoa’s largest and most populated island), it’s actually spread over several islands that are separated by day-long boat rides. 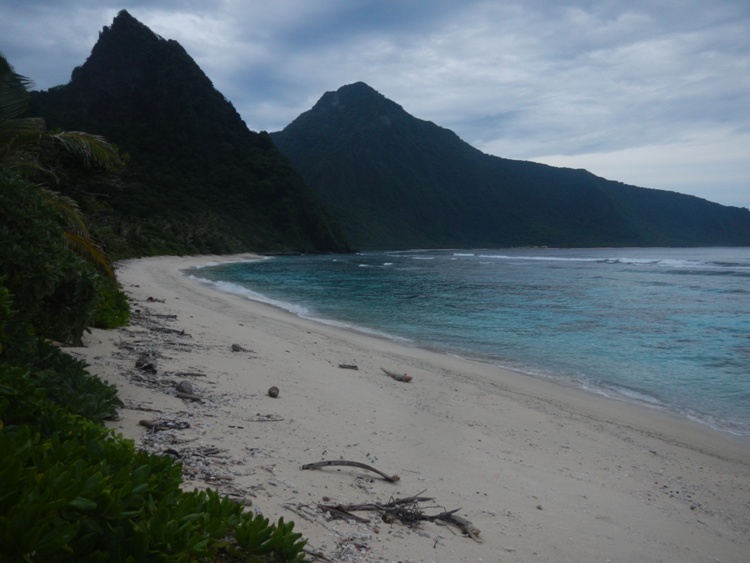 After our dive operations were completed (which included rebreather training and working on fish-tracking receivers), I jumped at the chance to visit Ofu, a tiny island in the South Pacific with only a few hundred inhabitants. 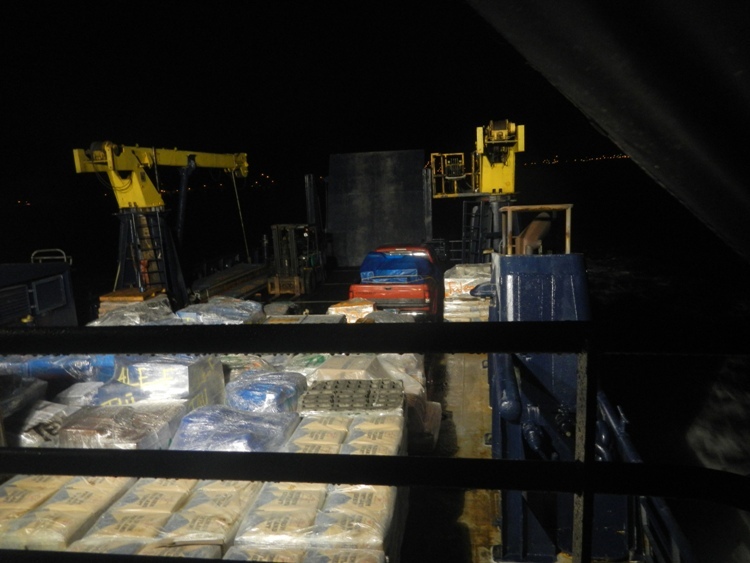 In the early morning darkness while being pelted by heavy tropical rains, I scrambled aboard a ferry/cargo ship and began the ten-hour journey to Ofu. During my brief, eighteen-hour visit to the island, I snorkelled on some amazing reefs within the park and rested on one of the most beautiful beaches I’ve ever seen. After another boat ride back to Tutuila, I packed up my gear, gave many well-deserved thanks to the incredible park staff, and headed back to the mainland. I may have finished all below-sea-level action with this internship, but I can look forward to presentations and conferences in Washington, D.C. and New York that are coming this spring! On the 5,000 mile journey back to California, I had plenty of time to think about all the incredible experiences I’ve had over the last three and a half months. After meeting the SRC folks in Denver, I logged my first NPS dives in the murky water of Glen Canyon National Recreation Area on the Arizona-Utah border. 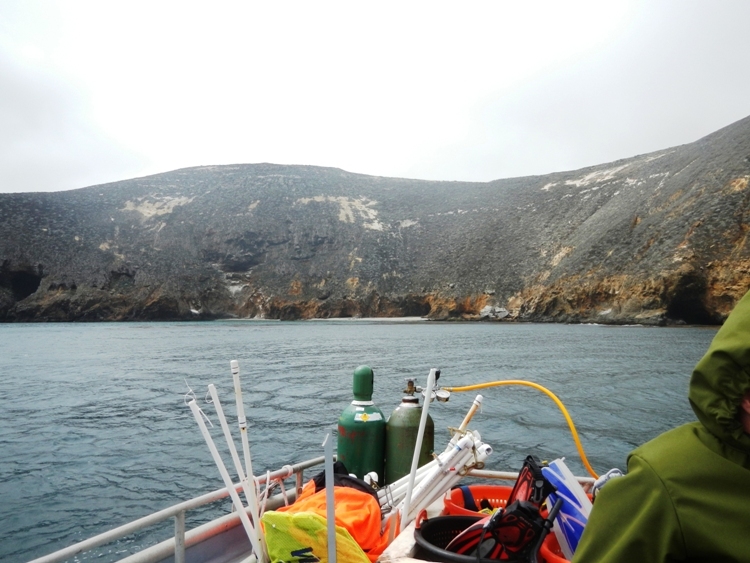 I was really impressed with my first NPS diving experience, as the Glen Canyon Underwater Recovery Unit introduced me to efficient search techniques in zero visibility conditions. 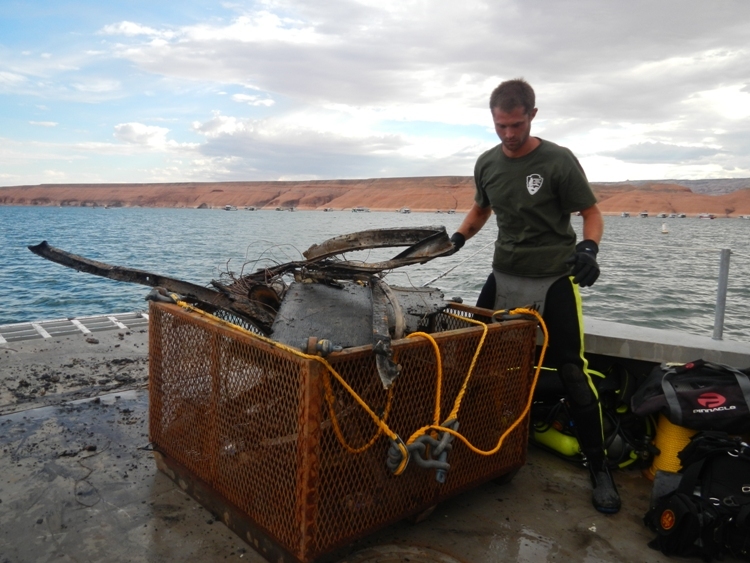 We ended up removing more hazardous wreckage and trash from Lake Powell than I could’ve imagined. 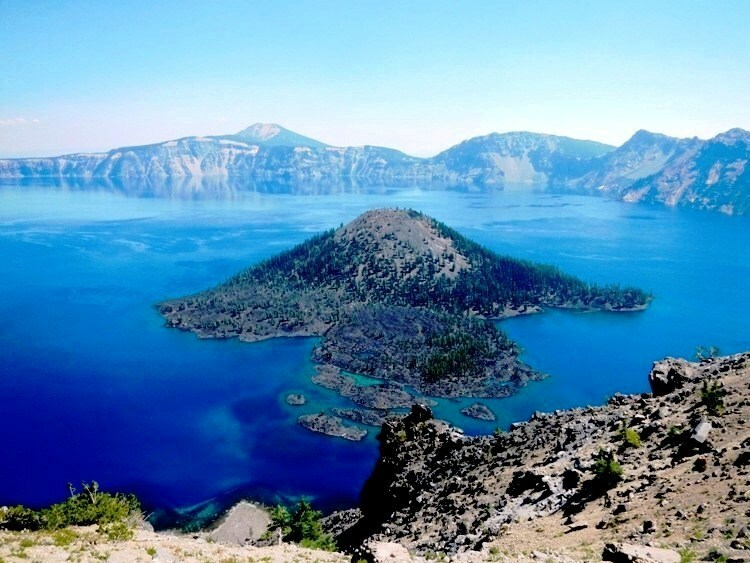 Next, I flew up to Crater Lake National Park in Oregon and experienced a quick drop in temperature and a shift from red-rock canyons to evergreen forests. 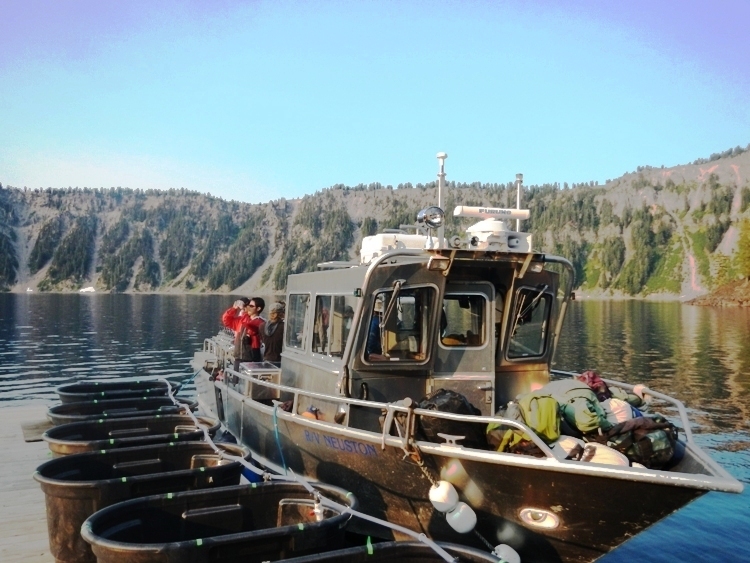 We spent several days collecting water samples from one of the most unique bodies of water on Earth: an ancient, water-filled volcano that is among the deepest and clearest lakes in North America. 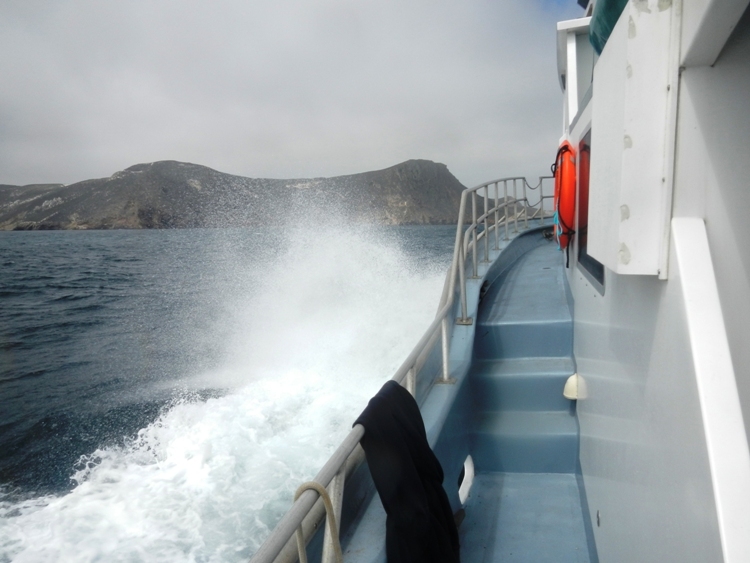 After some chilly dives in a neighboring lake, it was time to head down Channel Islands National Park for a week of fantastic diving off a bustling liveaboard. 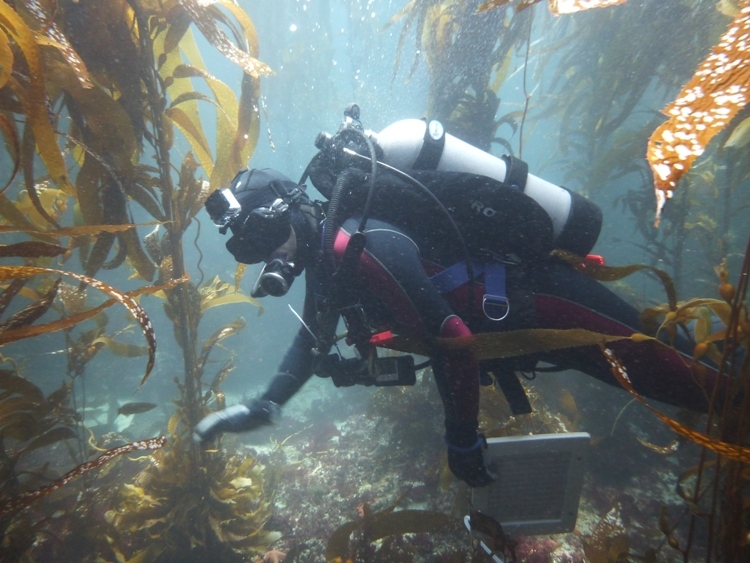 We stayed very busy throughout that week as there was much to be done; the Kelp Forest Monitoring crew is happily tasked with accurately surveying the kelp forests overflowing with marine life around the islands that make up the park. I was happy to learn about the colossal efforts that are put into monitoring our nation’s marine treasures, which is one of my primary interests. 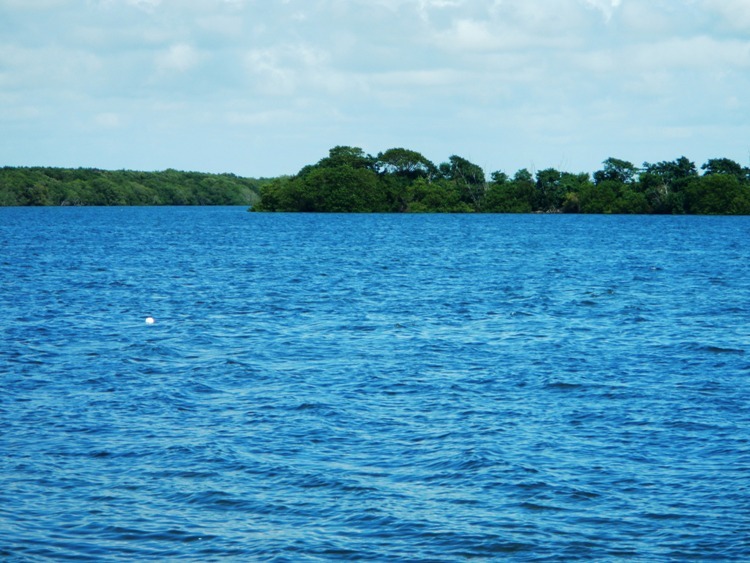 At this point, I ditched my drysuit and headed down to Biscayne National Park in South Florida. 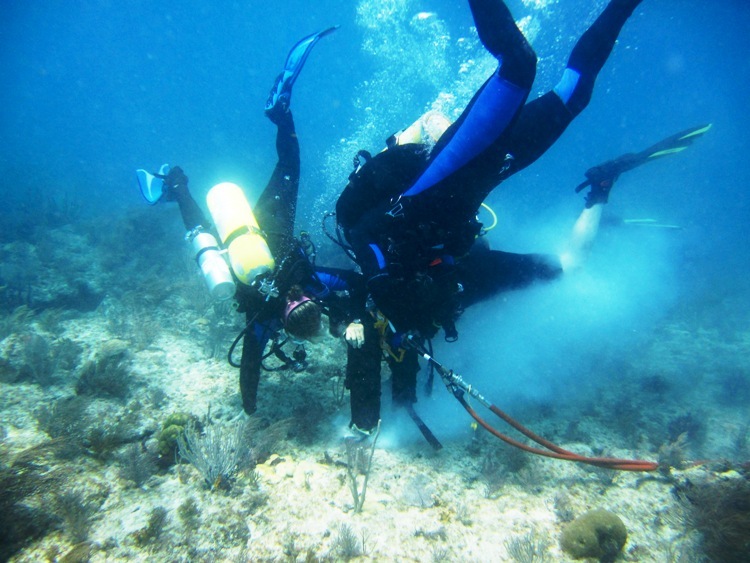 The majority of our efforts were devoted to studying and removing the invasive lionfish, which poses a large threat to the marine biodiversity of the Caribbean and southeast United States. I was lucky enough to work on a diverse group of projects as well; I’d spend some mornings combing desolate beaches for sea turtle nests, and others maintaining mooring buoys over historic shipwrecks. After I left Florida, I spent nearly two months diving in tropical National Parks! 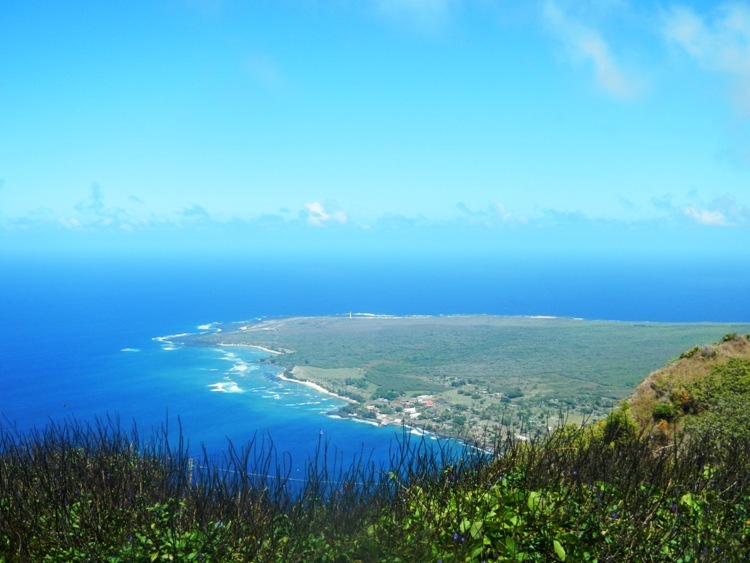 This leg of the journey began in Kalaupapa National Historical Park on the island of Molokai. 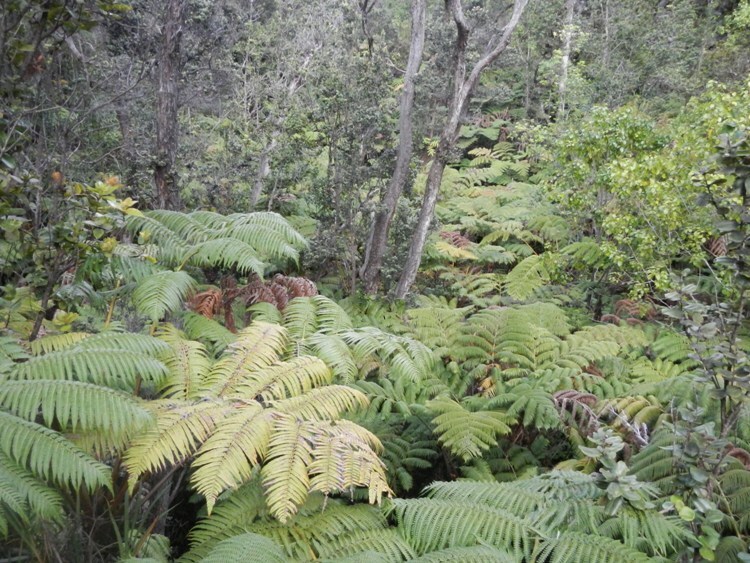 Kalaupapa was the first of several tropical parks with unbelievable histories, as it was originally founded as the mandatory enclosure of individuals affected by Hansen’s disease, or leprosy. The stunning sea cliffs, remote beaches, and healthy coral reefs made working on a coral recruitment project with the marine team all the more enjoyable. After I flew to the Big Island of Hawaii, I saw that the natural beauty of the Big Island’s parks was also balanced with powerful histories. A few days on the Big Island flew by as I toured the National Historical Parks of Kaloko-Honokohau and Pu’uhonua O Honaunau. At these locations, captivating stories of the Hawaiian culture are preserved in stone remains of traditional Hawaiian structures. 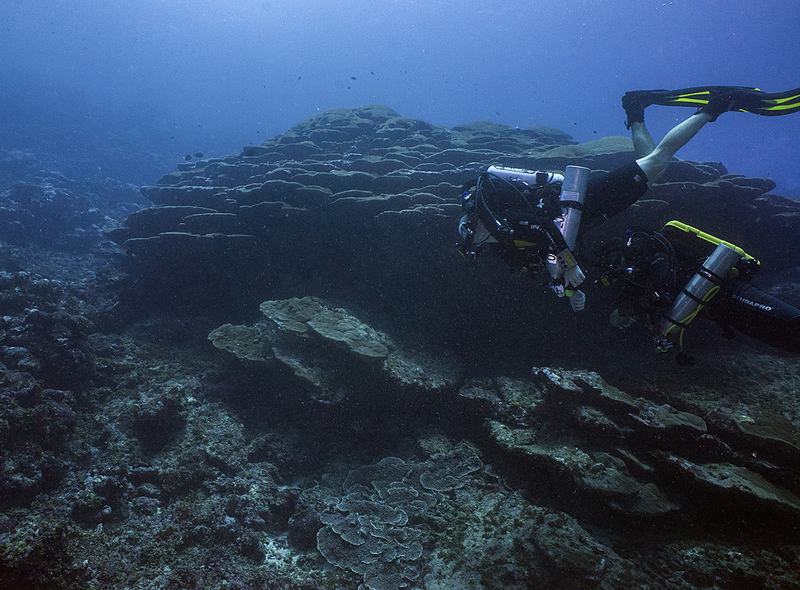 I was happy to join in efforts to locate additional archeological structures underwater, which let us take in beautiful reefs while working to preserve Hawaiian history. 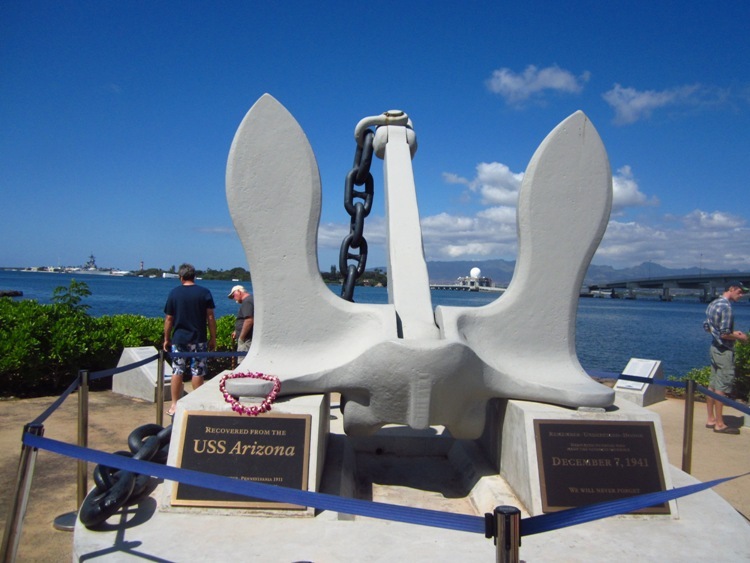 My final experience in Hawaii took place at Pearl Harbor in the World War II Valor in the Pacific National Monument. 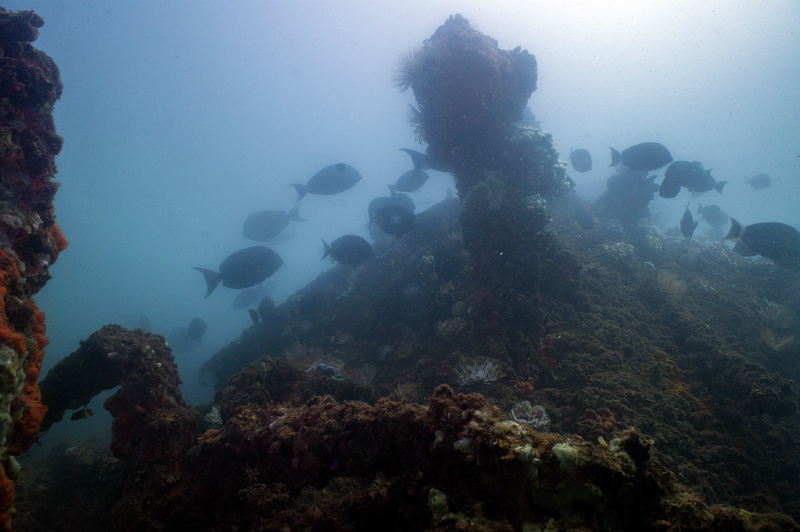 We set out to locate the GPS coordinates of dock anchors alongside the USS Arizona, which gave me one of the most powerful underwater experiences of my life. Silent moments next to the underwater graves of American soldiers left me with soaring levels of patriotism and gratitude. 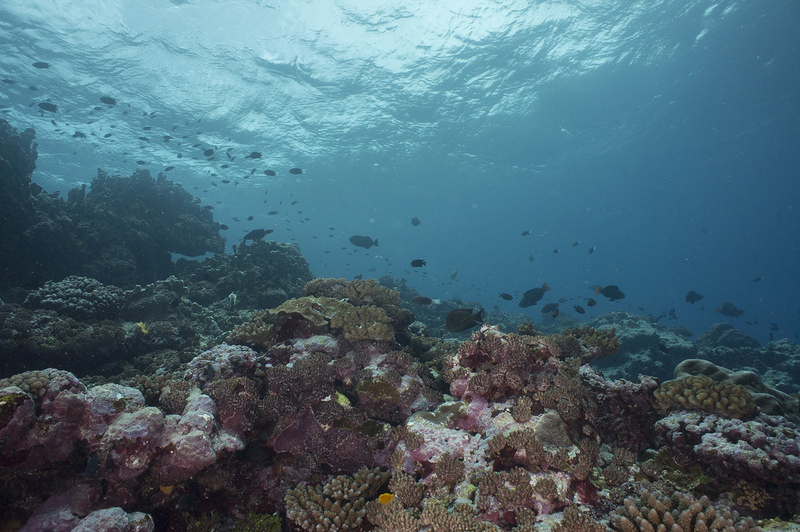 With that, I began three weeks of diving on the reefs of American Samoa. I have often described this internship as a once-in-a-lifetime experience, but that description actually falls short; this has been a collection of once-in-a-lifetime experiences that have taken place in locations as diverse and incredible as the people who made them possible. Every individual leg of this journey has shown me a beautiful part of our nation and a family of hardworking, talented National Park Service employees. I am so grateful that I was quickly and consistently welcomed into this family everywhere I went. From frosty, mountainous lakes to lush tropical islands, this internship has shown me places and people that make me proud to call the United States my home. I want to give a massive thank you to those incredible people at every park, the Our World-Underwater Scholarship Society for helping to create this dream internship and larger network of passionate divers, and every single member of the Submerged Resources Center, who allowed me to proudly share their unit’s name throughout these travels. Offering thanks is a great first step for someone who has been provided such a bounty of mentorship and experience, but of course it can’t end there. As I figure out the exact road ahead of me, I know that I’ll be repaying this opportunity throughout a lifetime of preserving our nation’s underwater resources and passing along the collected wisdom of countless mentors. Thank you all so much! 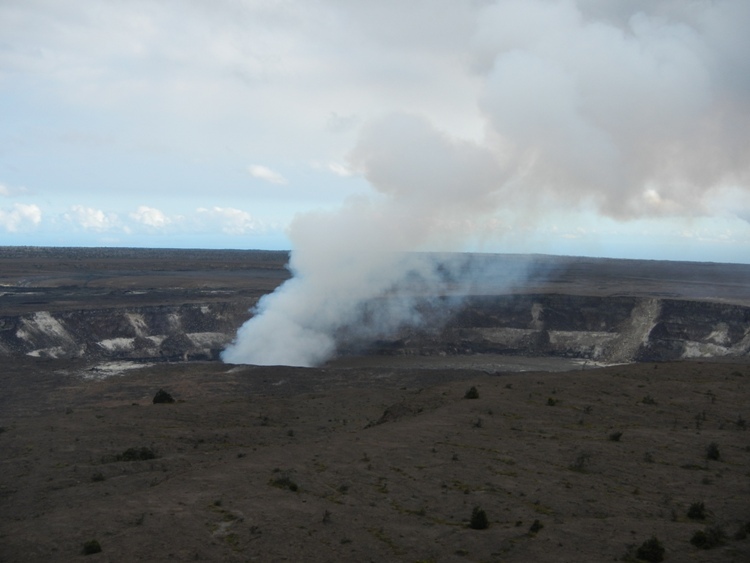 This entry was posted in 2012 National Park Service on December 4, 2012 by SamiS. 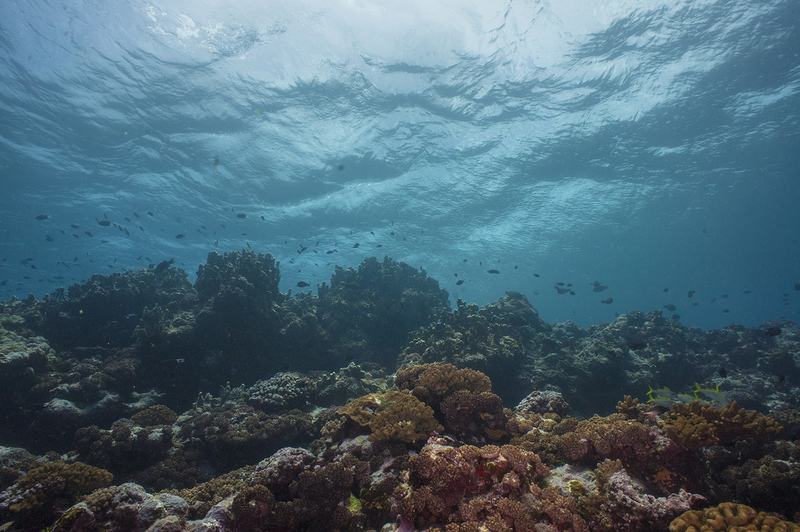 For all the unique advantages that SCUBA diving offers researchers, photographers, and recreational ocean-lovers, there certainly are some drawbacks. 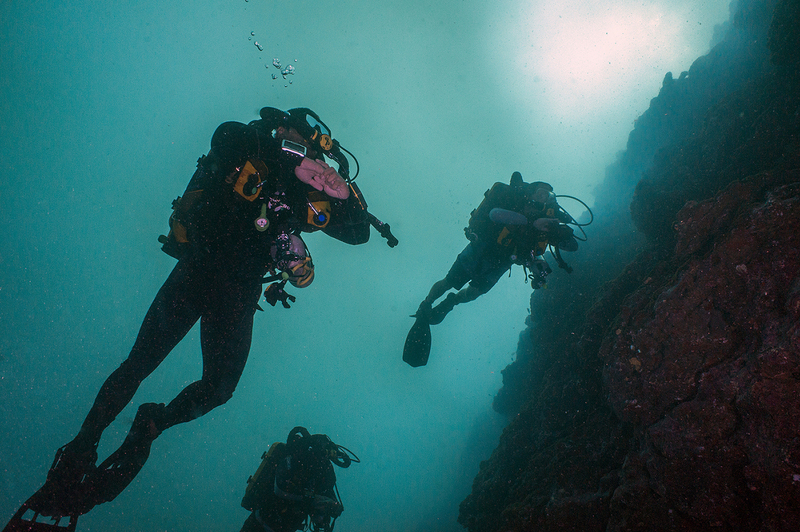 While limited dive times and the production of fish-frightening bubbles don’t matter to most divers, they can be deal-breaking downsides of traditional SCUBA in certain scenarios. 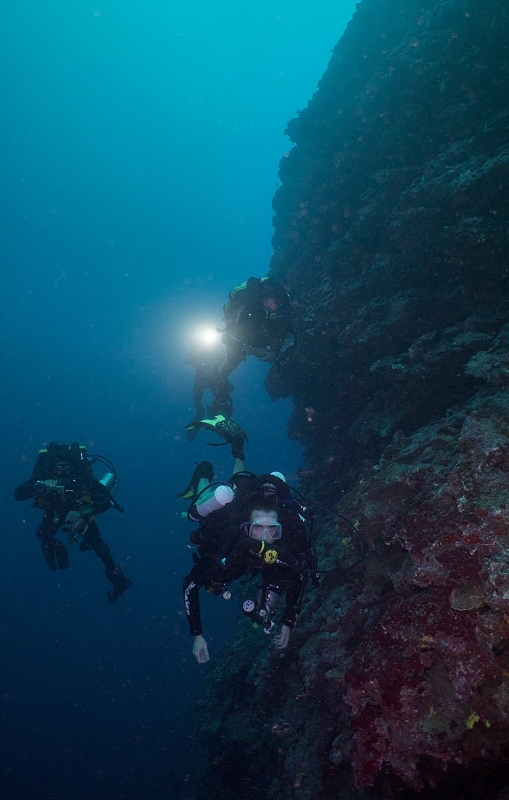 During my first week of diving in the National Park of American Samoa, our dive team was constrained by a strict 12-minute limit in our allowable bottom time while attempting to complete intricate underwater work – spending any longer at depth would needlessly increase our risk of “the bends,” or decompression sickness. 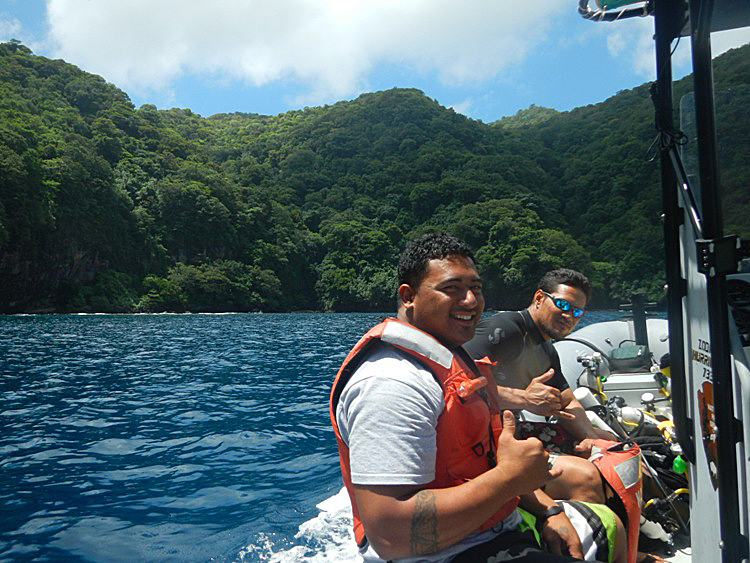 Fortunately, my second week in American Samoa was spent completing a much-anticipated Closed Circuit Rebreather course which alleviated much of those constraints and welcomed us into a new realm of SCUBA diving! 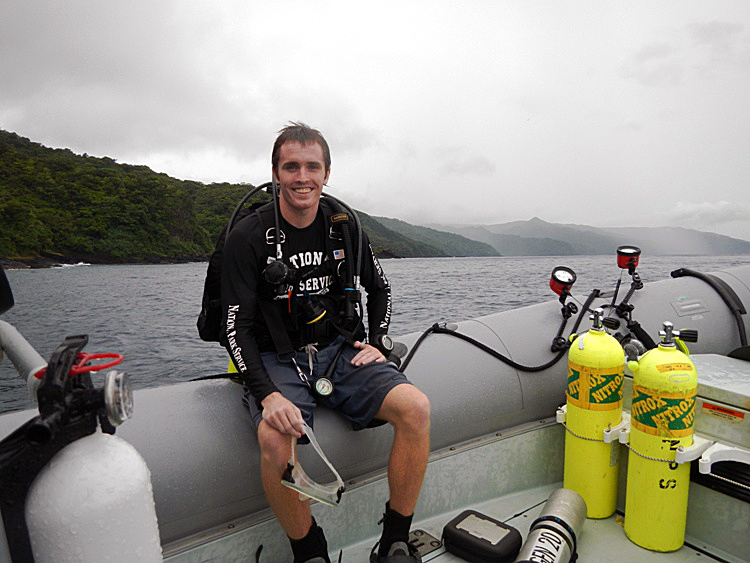 Jeff Godfrey, the Diving Safety Officer at the University of Connecticut, met us in American Samoa to teach our Closed Circuit Rebreather course. 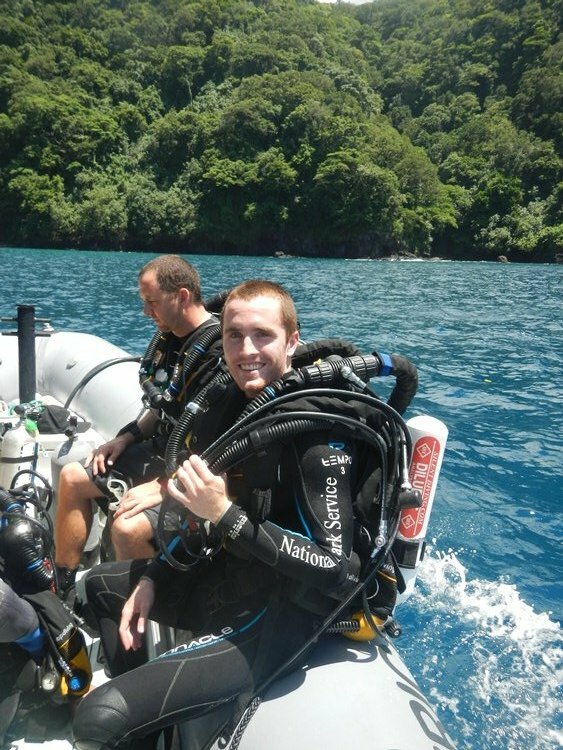 There are so many differences between rebreathers and traditional, “open circuit” diving, so we definitely had our hands full! 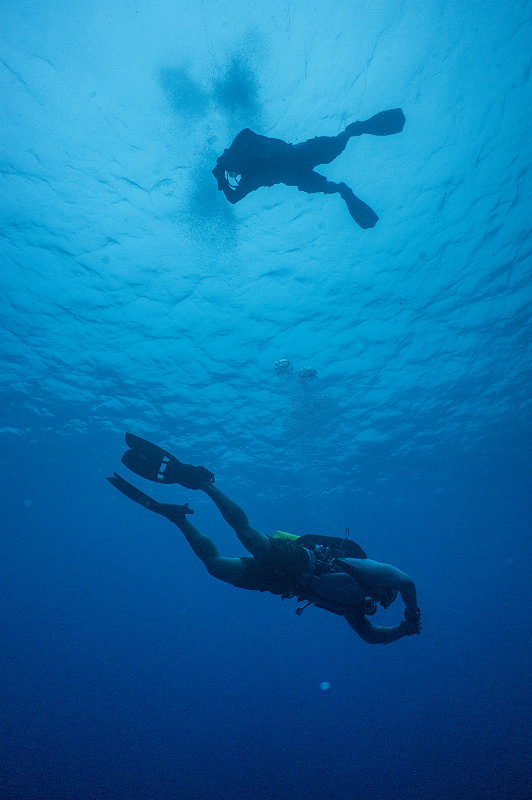 Closed circuit divers don’t “lose” air in the form of bubbles when they exhale; instead, the exhaled air returns to a closed breathing loop, where it is then filtered to remove carbon dioxide, enriched with pure oxygen, and guided back into the diver’s lungs. 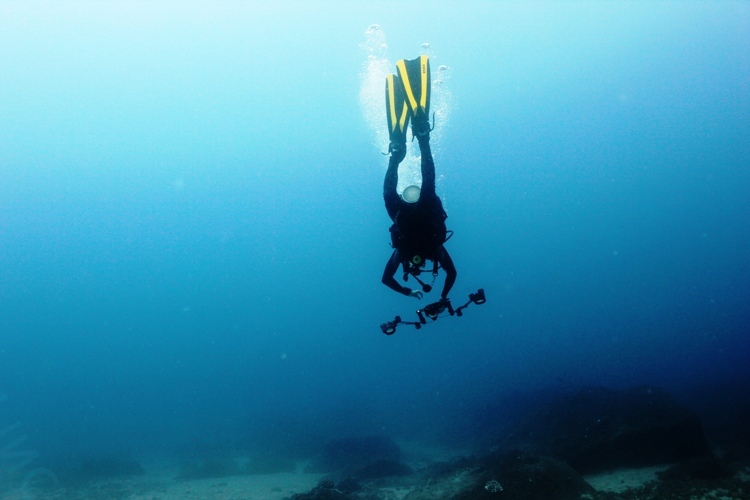 Bizarrely, inhaling and exhaling doesn’t affect diver buoyancy with rebreathers; a “counter-lung” expands to accept air exhaled by the lungs, and it constricts as the lungs reclaim that air during inhalation. 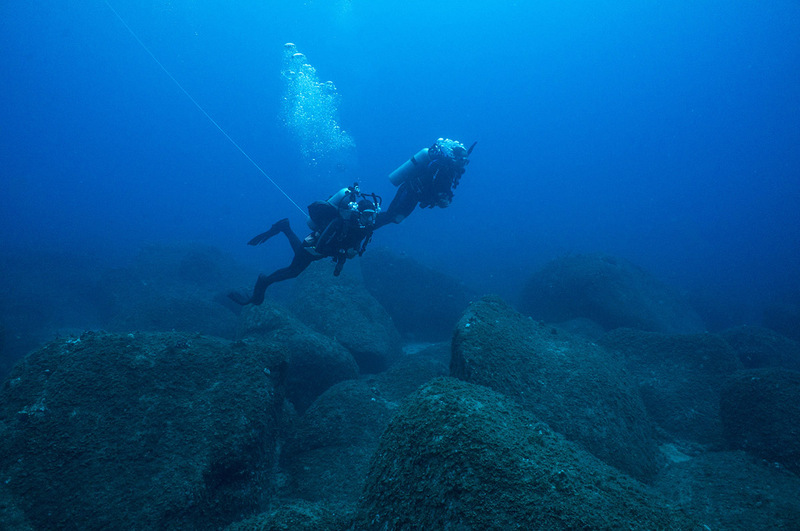 Oxygen sensors determine a physiological-ideal amount of oxygen to add at any given depth, which allows divers to absorb less harmful nitrogen and ultimately stay underwater for longer with a decreased risk of getting the bends. If you’re a bit confused by that description, you’re definitely not alone! Despite completing two days of online training and reading a book on rebreathers, I still felt a bit like I was performing an alien autopsy as Jeff introduced us through the unique parts of rebreathers on our first day of the course. In addition to the counter-lung and oxygen sensors, there are a ton of other parts that aren’t found in open-circuit set-ups; solenoids, heads-up displays, and the elusive dongle were all quickly added to our SCUBA lexicon. Once we established a decent understanding of the new set-up in front of us, we began prepare for our first rebreather dives! 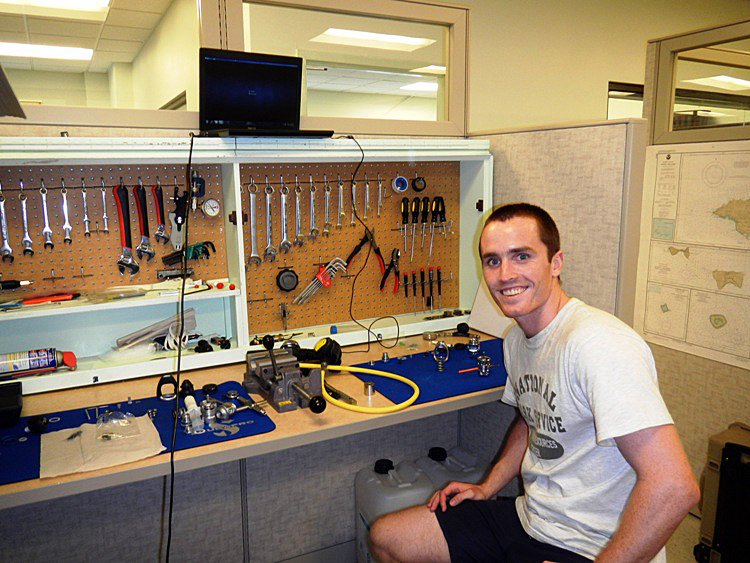 The pre-dive process for rebreathers is much more involved than the process we’re all used to. There are many more hoses to manage, more electronics to test, and more cylinders to fill and analyze (there is a “diluent” cylinder that contained air, an oxygen cylinder, and a bailout cylinder that also contained air). With the help of a twenty-item checklist and some pointers from Jeff, we eventually made it out the door. We began our in-water instruction in fifteen feet of warm, tropical water. 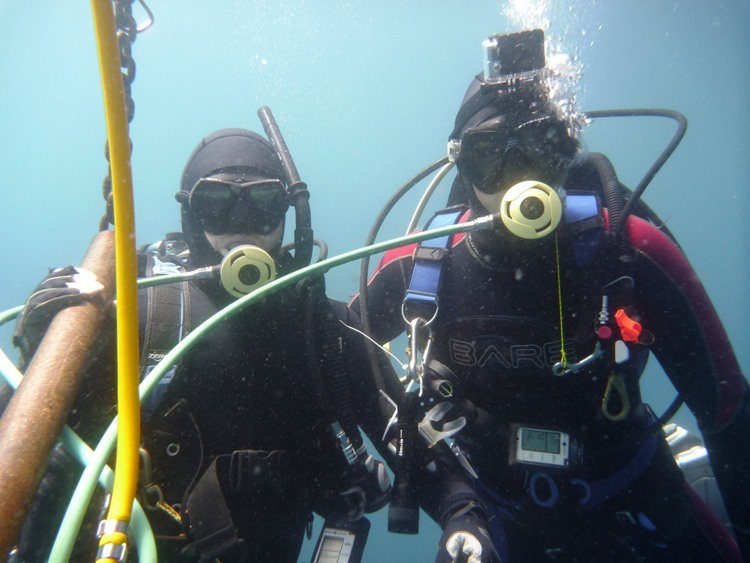 It took us all a bit to learn buoyancy control with rebreathers, since open-circuit buoyancy tricks like control of air in lungs do not work with closed breathing loops. I was quickly able to appreciate another novel aspect of closed circuit diving; the experience is almost completely silent, as escaping bubbles and rushing air aren’t part of the process! 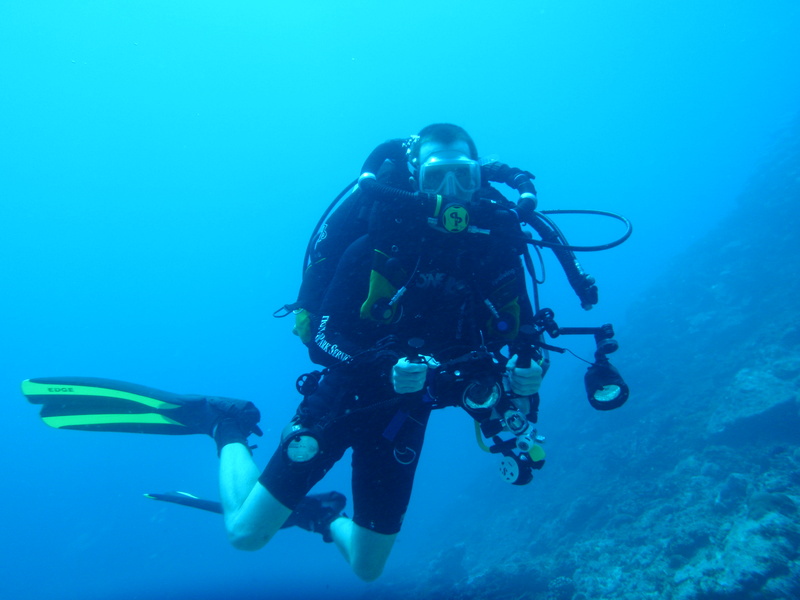 I didn’t realize how much noise traditional set-ups produced until I dove with a rebreather. It was a bit alarming at first – imagine if all the standard, unnoticed noises of driving in a car were suddenly removed all at once. 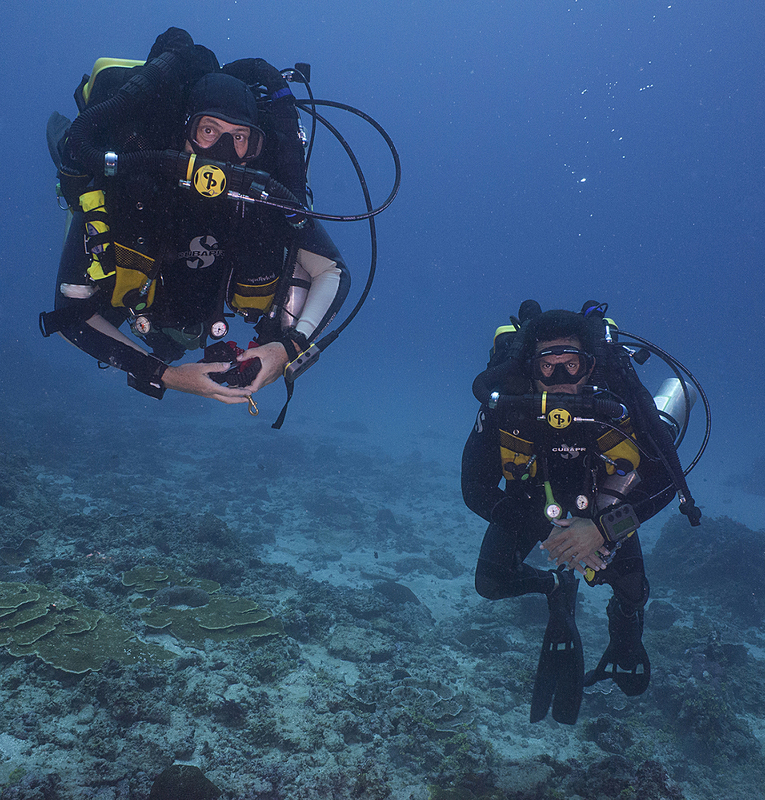 After we gained confidence with our buoyancy control, we were able to explore some really cool places with our rebreathers! 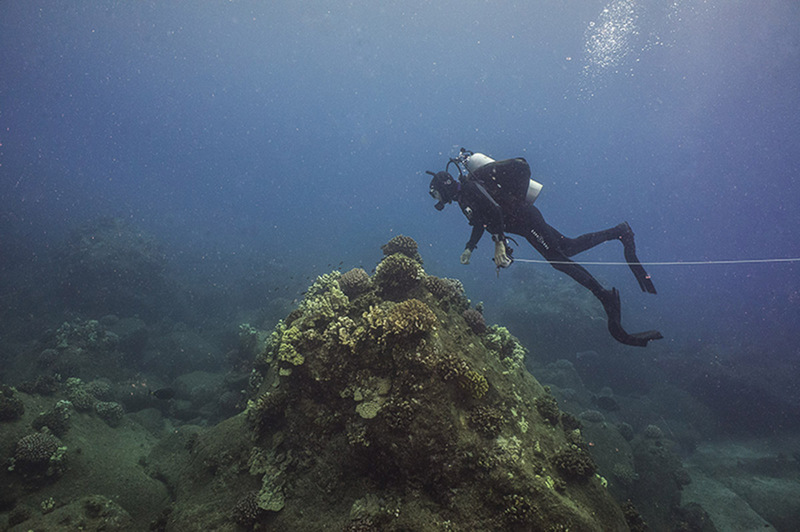 One of the most incredible dives of this internship took place on a coral-covered sea mount that rose from the depths of the Pacific to a hidden peak at ten feet deep. From the surface, we would have completely missed the submerged pinnacle if the marine team wasn’t already aware of its location. 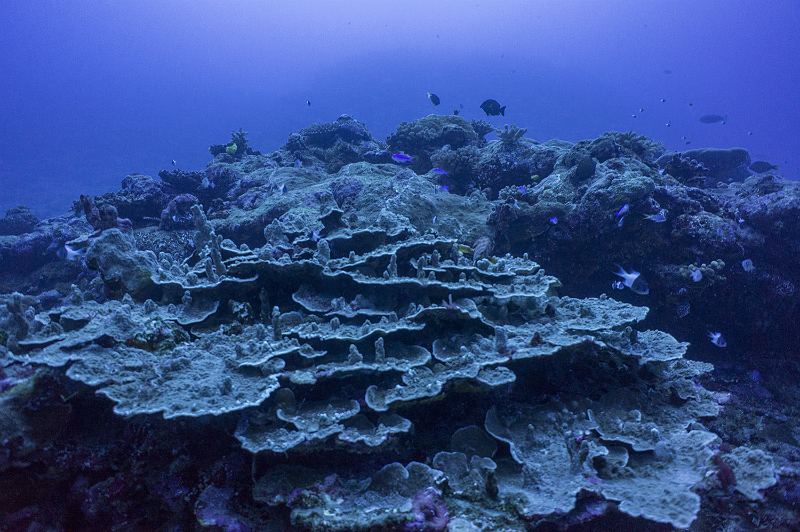 As we dropped to around 100 feet along the nearly-vertical wall of the sea mount, we passed a great diversity of corals and huge schools of fish. At one point, a school of five-foot barracuda swam right up to the group! All in all, I was overjoyed that one of the most interesting physical structures I have ever explored was also teeming with life. With a freshly-minted certification card in hand, I’m thrilled to continue rebreather diving in the coming days before my return to the continental United States. I owe Jeff a big thank you for his helpful advice throughout the course, and as always thanks to the marine team for letting me join them in their adventures! This entry was posted in 2012 National Park Service on November 27, 2012 by SamiS. 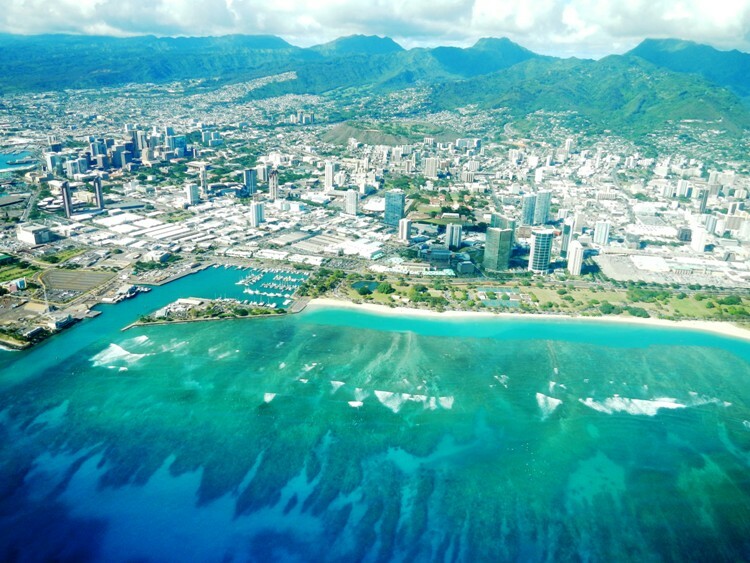 Most people who take six hour flights from Honolulu are headed back to mainland USA after a great vacation in Hawaii. I also hopped on a six hour flight after a fantastic experience in Hawaii, but my plane headed in the opposite direction – I’m currently writing from American Samoa, roughly 5,000 miles southwest of California! A National Park full of pristine coral reefs, lush jungles, and rare wildlife is spread over this remote chain of tropical islands. I couldn’t be more excited to have three whole weeks to dive throughout these islands, which is the United States’ only territory in the Southern Hemisphere. 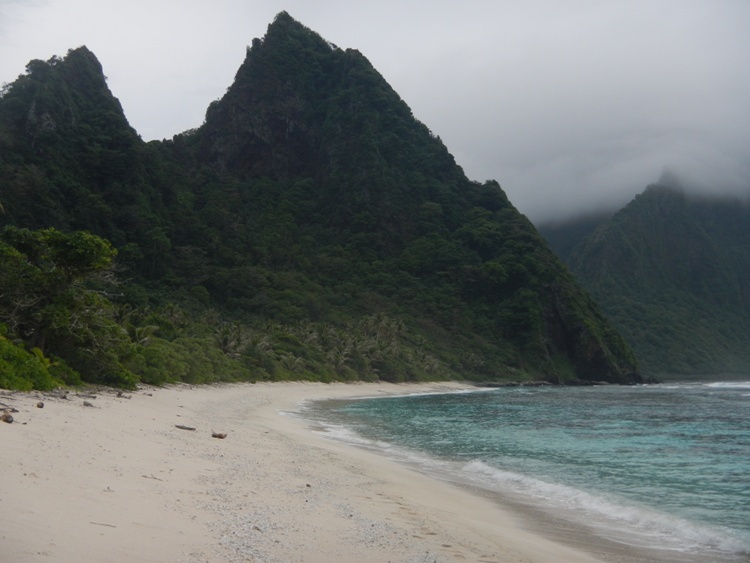 After flying into Tutuila, which is the most populated island of American Samoa at almost 60,000 inhabitants, it didn’t take me long to realize that I was in a completely different setting than any of the previous parks I experienced. 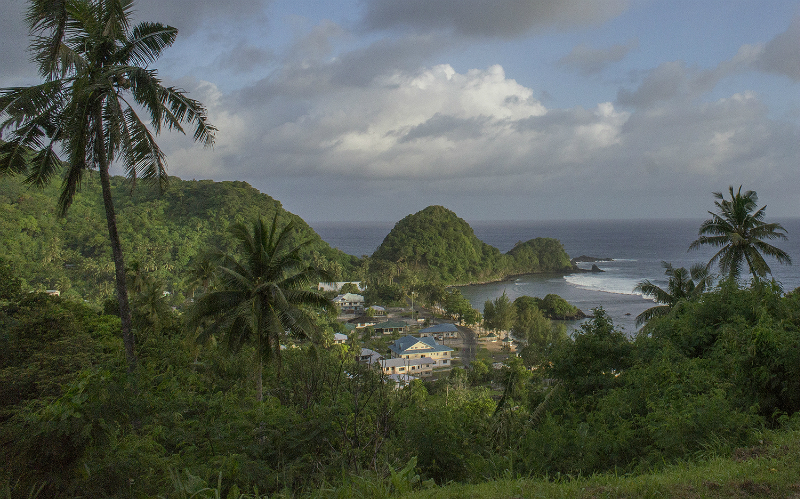 Although American Samoa has adopted bits and pieces of American culture (there‘s a McDonalds by the airport and football is hugely popular), it’s retains a strong core of traditional Samoan values. The island is divided into close-knit villages, each with its own chief and high priests, which are divided by gorgeous stretches of beaches or rainforest. Although almost everyone speaks English, the Samoan language is very commonly spoken as well, which means that I’ve gotten pretty good at smiling and nodding during conversations that I can’t understand! One of the first things on my to-do list was to learn how to respect the local customs of a place with such a different culture than my own. Luckily, marine biology technician/park diving officer Jim Nimz picked me up from the airport and quickly helped me decode some traditions. 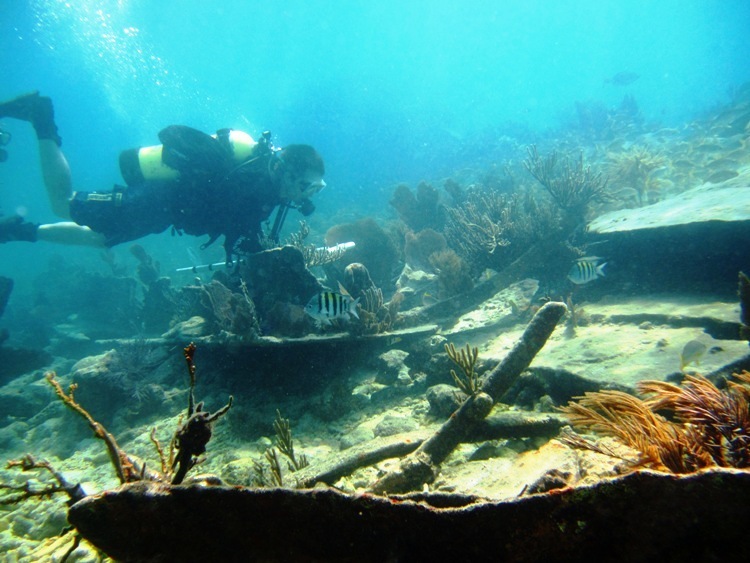 For instance, the sounds of chiming bells fill the tropical air every evening during a tradition known as “sa.” This signifies a short period of prayer when all villagers are supposed to be indoors and driving is prohibited – very useful info for a visiting diver! I also learned that it’s important to show respect by asking permission from villagers or local chiefs before using the amazing beaches. Even though most beaches are considered the private property of a family, on most occasions they graciously allow public access. 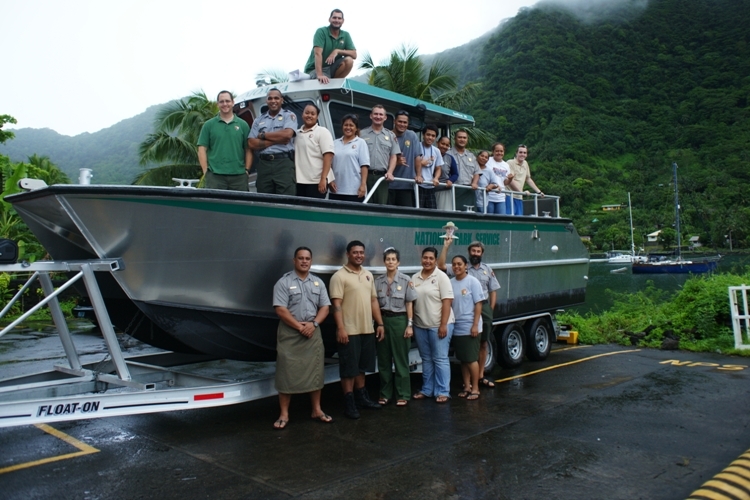 Shortly after arriving, I met the rest of the marine team at their headquarters in Pago Pago. 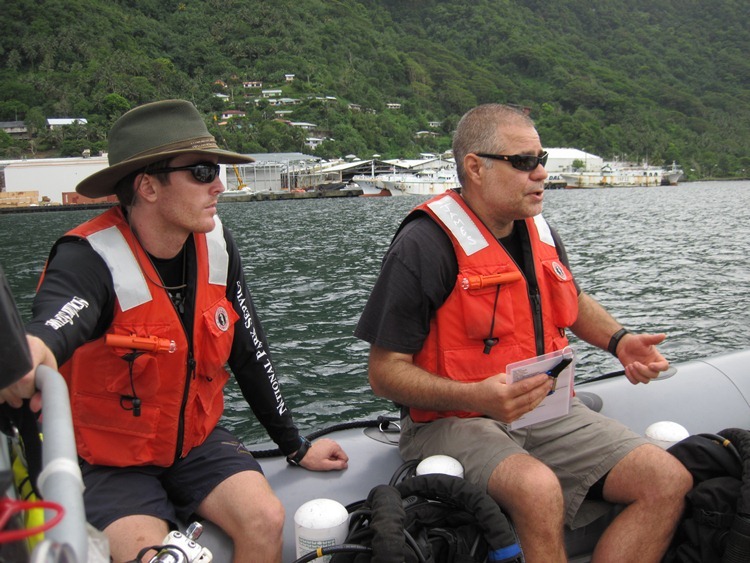 In addition to Jim, the team includes marine ecologist Tim Clark, marine biology technician Burt Fuiava, and marine technician Tasi Toloa. The first two days at the park were spent preparing for the busy weeks that were approaching. One of the highlights of my time in American Samoa will definitely be the Closed Circuit Rebreather course that I’ll be able to join. Due to the limited number of divers in this remote location and the necessity of frequent, deep dives, the park’s three divers (plus me) will all be getting rebreather certified! 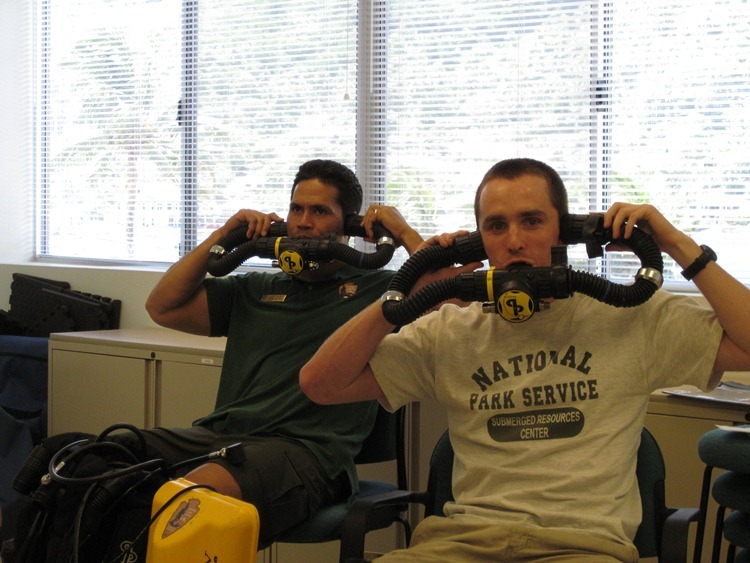 During those prep days, we completed online rebreather training and Jim certified me in Nitrox diving. 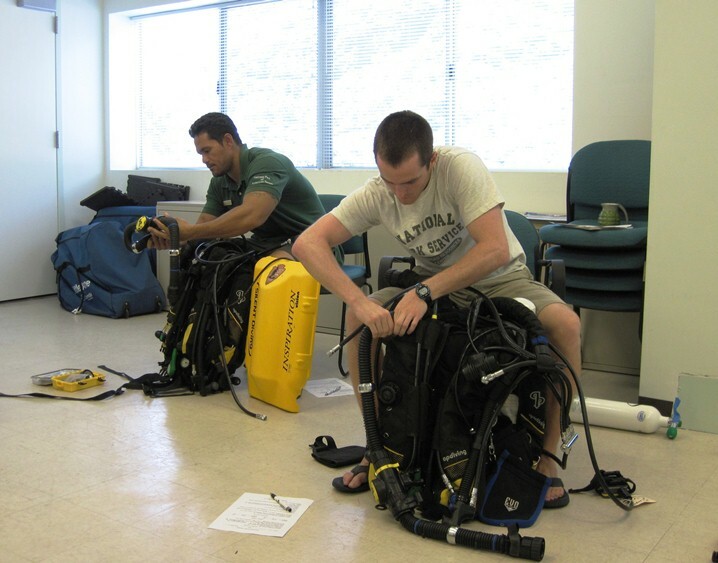 I’ll explain much more about rebreathers in my blog about the actual course, but if it takes two full days to complete the online portion of the course then you can imagine that they’re a bit complicated! As we anxiously waited for rebreather training to start, we dove for a fish tracking project that the marine team is setting up. 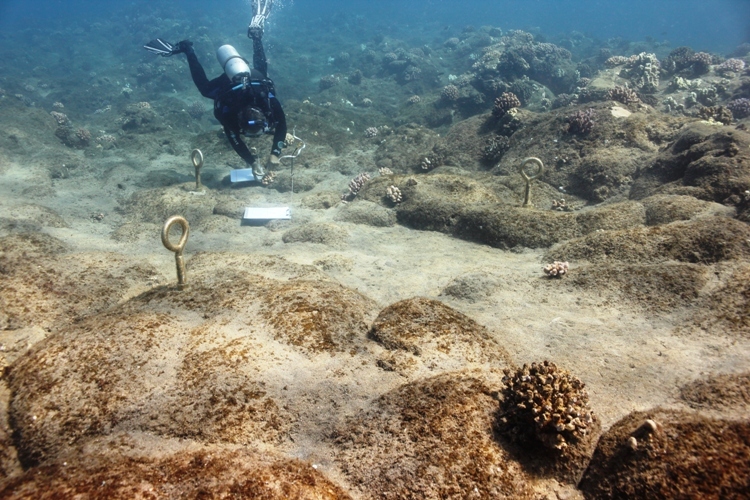 The team set up an array of underwater receivers along the coast of the park, which pick up the signals of acoustic tags that have been implanted in certain fish. 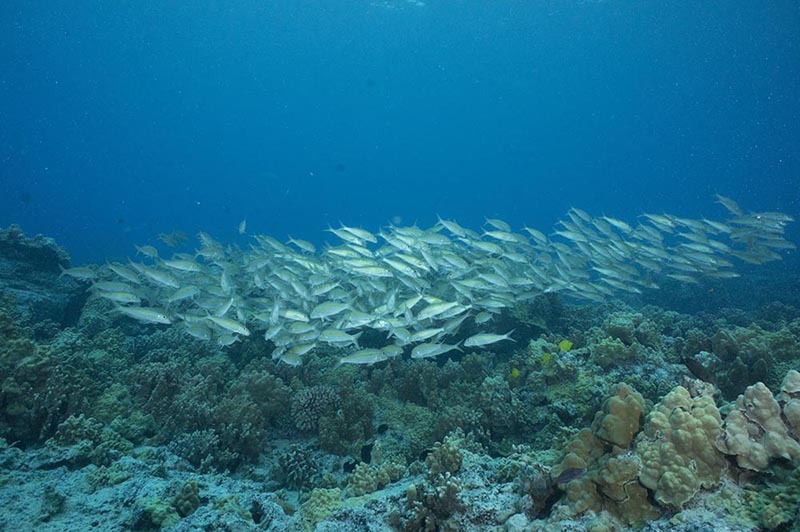 They’re hoping to learn about the movement patterns of key reef fish, such as where they spawn and where they spend most of their time, in order to aid future conservation efforts. 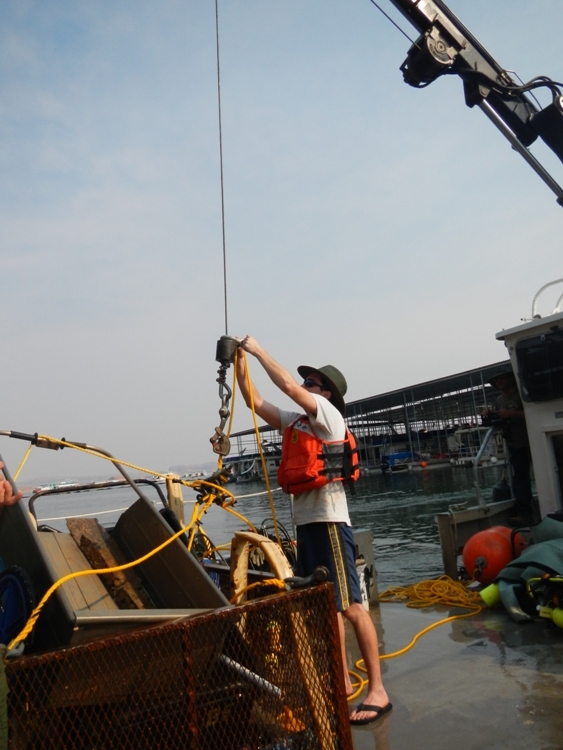 We spent a few days fortifying the receivers by fastening ropes around their underwater anchors. 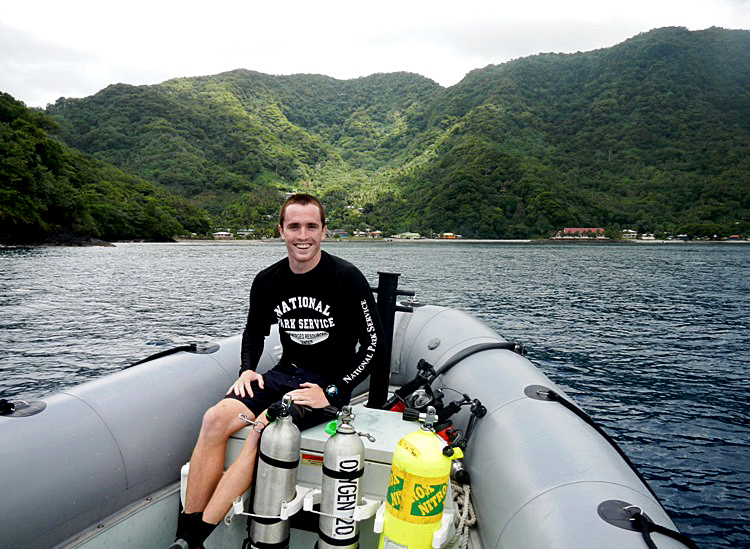 I was excited to help with this work because I’m really interested in fisheries and marine conservation, but it definitely helped that the diving in American Samoa is absolutely incredible! The water is crystal-clear and as warm as a bathtub, the reefs are full of diverse and complex corals, and colorful fish are abundant. On several dives, I could hear the songs of humpback whales that swam in the distance! 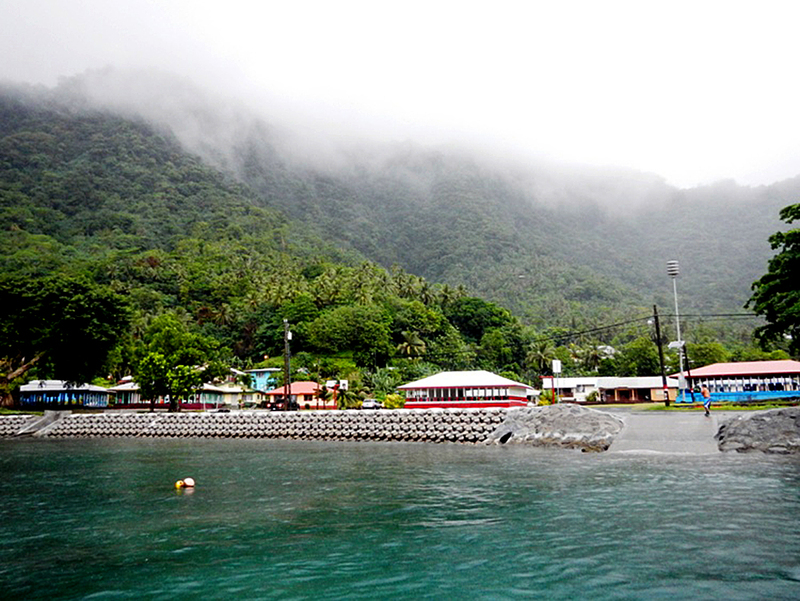 If this first week in American Samoa is any indication, I’m so grateful that I’ve got another two weeks remaining! 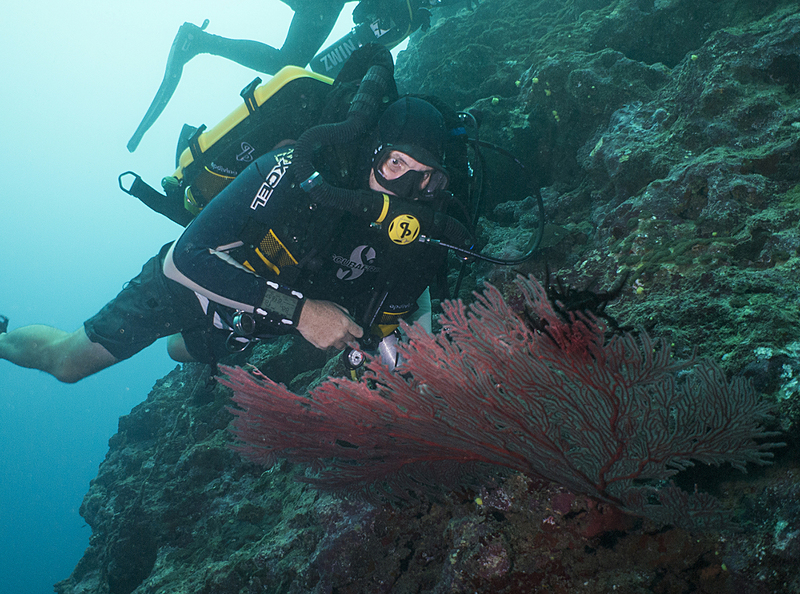 Our focus is shifting from the fish tagging project to tackling rebreathers, which should prove to be a fun challenge. I owe Tim, Jim, Burt, and Tasi all a big thank you for all their help with settling in and showing me this beautiful island, and I’m really excited to continue working with them! This entry was posted in 2012 National Park Service on October 26, 2012 by SamiS. 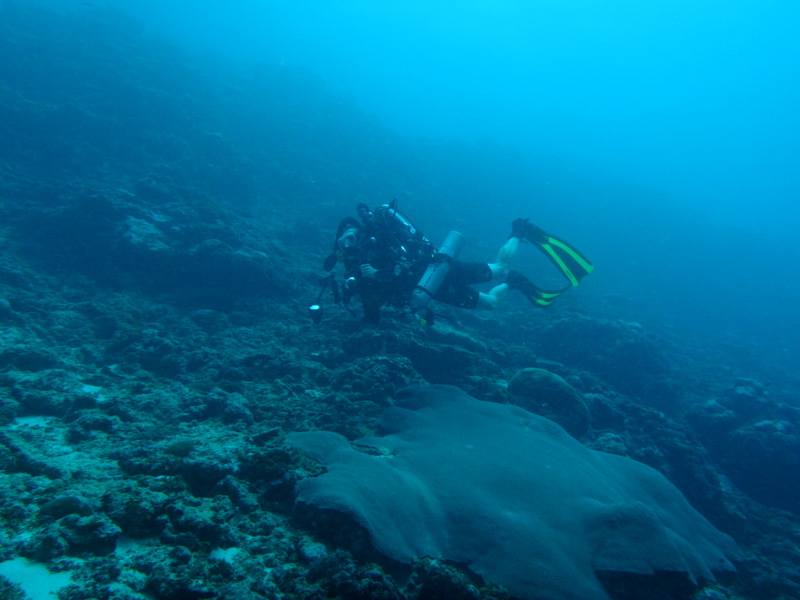 SCUBA diving has provided me with all sorts of opportunities that I never could have experienced if I were limited to dry land. 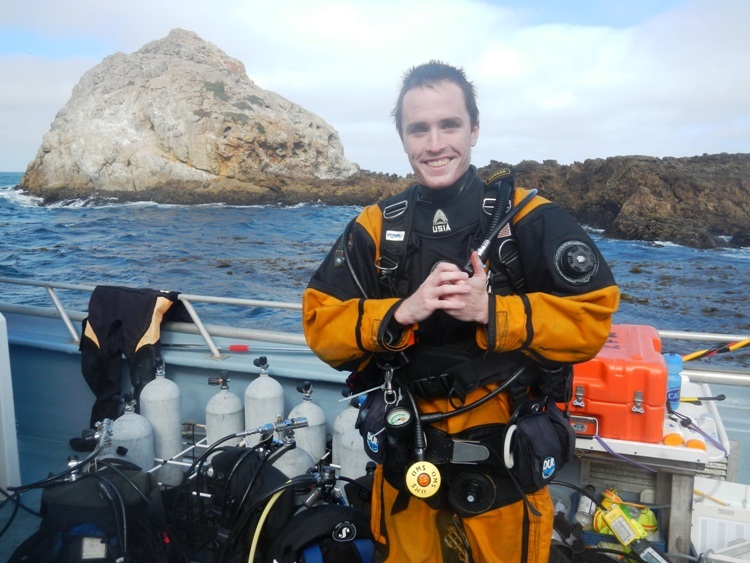 In addition to the unbelievable chance to work alongside our nation’s aquatic experts through this internship, diving has helped me pay some bills as a dive technician, catch a few meals as a recreational spearfisherman, and study our undersea resources as a fledgling marine researcher. However, none of my previous ventures come remotely close to overlapping with the sensation of diving in Pearl Harbor at the WWII Valor in the Pacific National Monument. 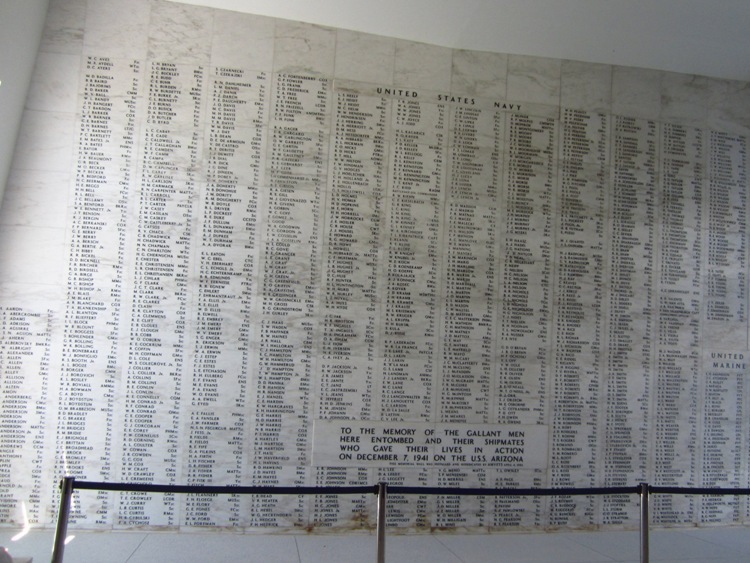 Beneath the silent, murky waters of Pearl Harbor, I experienced the strongest feelings of patriotism, gratitude, and grief that I’ve ever felt below sea level as I solemnly dove alongside the resting place of over a thousand fallen soldiers. WWII Valor in the Pacific National Monument preserves the entire story of the war in the Pacific, with a focus on the events of December 7th, 1941. On that day, 2,390 Americans were killed as bombs rained from the sky in a surprise attack by the Japanese. 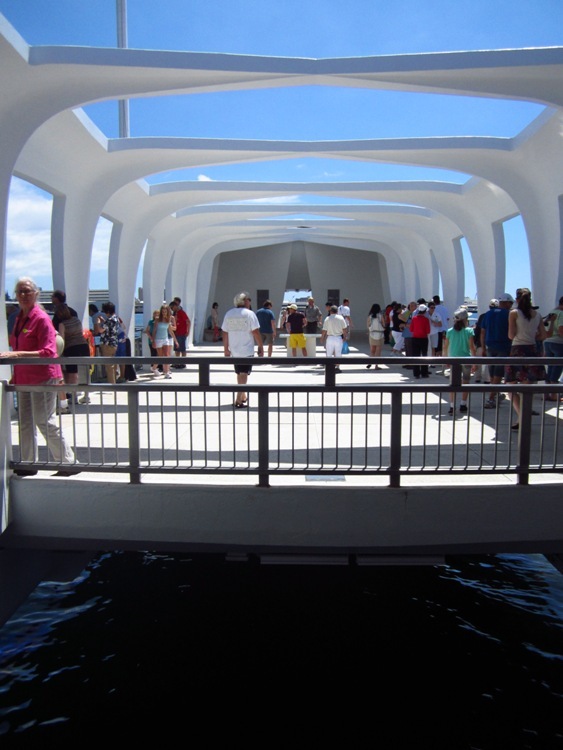 A centerpiece of the monument is the USS Arizona Memorial, which honors the loss of 1,177 sailors aboard one of the Navy’s largest battleships. 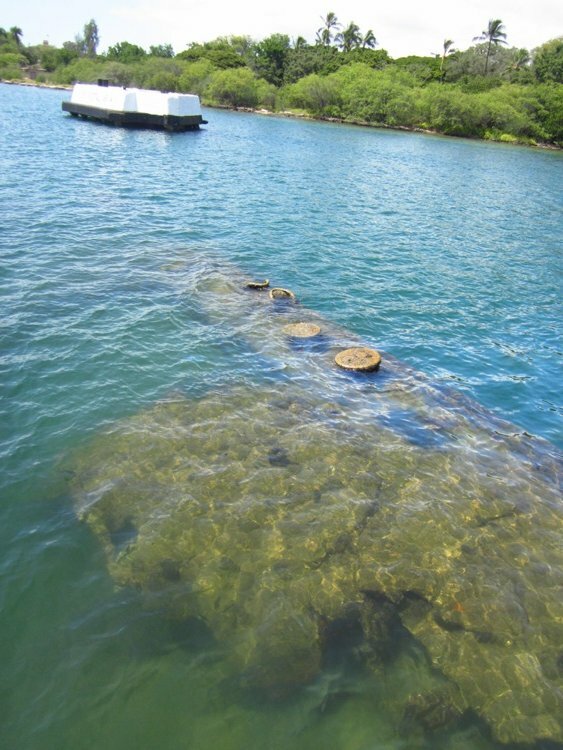 Although the Navy chose to salvage most ships that were sunk in Pearl Harbor, USS Arizona and USS Utah remain submerged in the harbor with over a thousand total crewmembers (a number that continues to grow as USS Arizona survivors have their ashes placed inside the wreck by Park Service divers). After flying in from the Big Island, I met up with Scott Pawlowski, Chief of Cultural and Natural Resources, who briefed me on the upcoming week. In an area with such a strong cultural and historical focus, I was surprised to learn that marine conservation (my main interest) would actually be the focus of my trip. 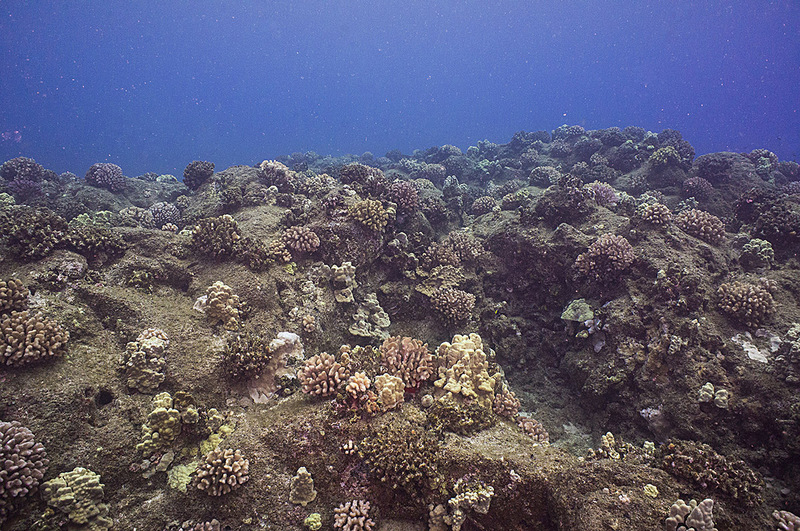 The park was recently approached by The Nature Conservancy about the possibility of measuring Pearl Harbor’s marine life for comparison with Hawaii’s Marine Protected Areas (MPAs). 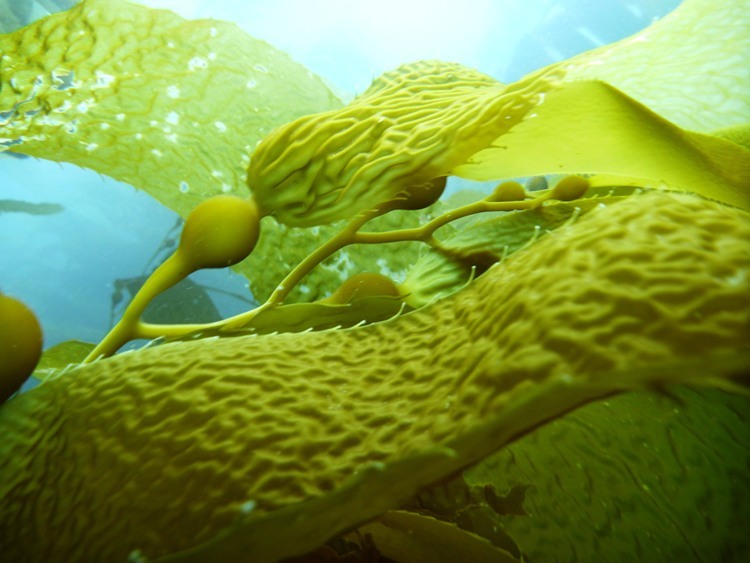 I was really excited to learn that my job was to spend much of the next week analyzing the best way to go about this process since I’ve been interested in MPAs for years. 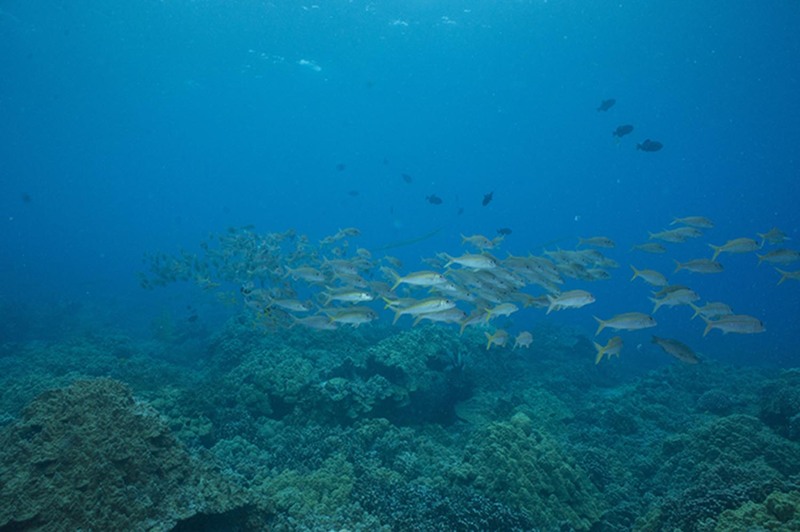 Later in the week, Scott and I snorkeled at established MPAs around Oahu and attended an informative meeting between the park and The Nature Conservancy. I wrote up a final report on the matter that will hopefully be used to learn more about Hawaii’s marine wildlife! 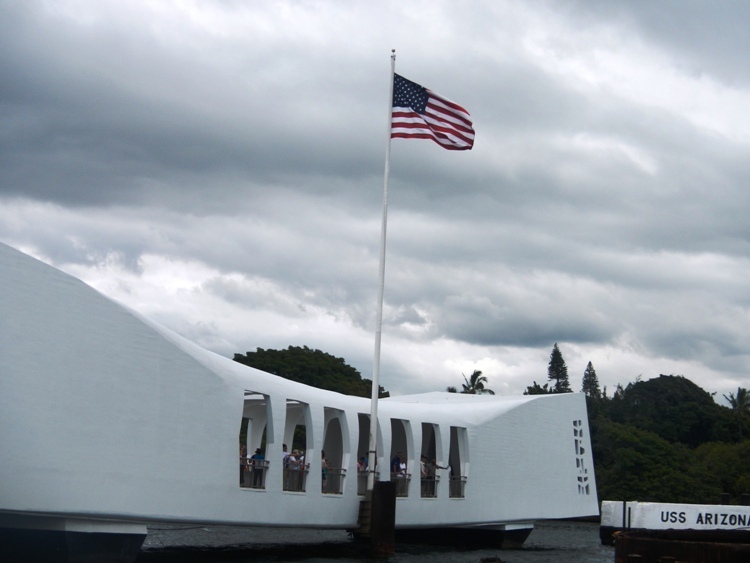 Along with hundreds of other visitors, my exposure to the National Monument began with a very moving film that explained the buildup to the attack on Pearl Harbor and the chain of events that it set in motion. Once the stage was properly set, the entire theatre boarded a ferry for a quick ride to the water-bound USS Arizona Memorial. The memorial was built in the water directly above the battleship, allowing visitors to view the ship from just a few feet away. Only hushed whispers could be heard as reverent groups of visitors paid their respects to the victims of the attack. 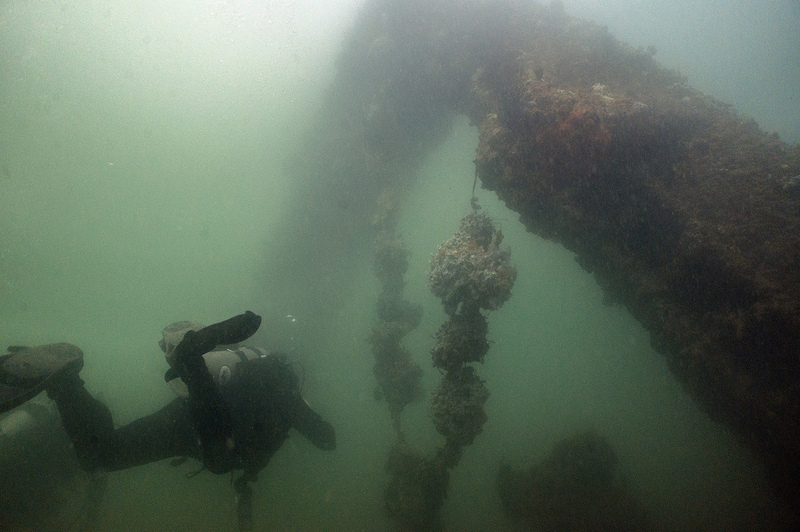 Throughout the week, I had the chance to dive on both USS Arizona and the less-accessible USS Utah. Scott and I dove alongside the hull of Arizona in order to collect GPS coordinates of the memorial’s dock anchors, which are scheduled for maintenance. 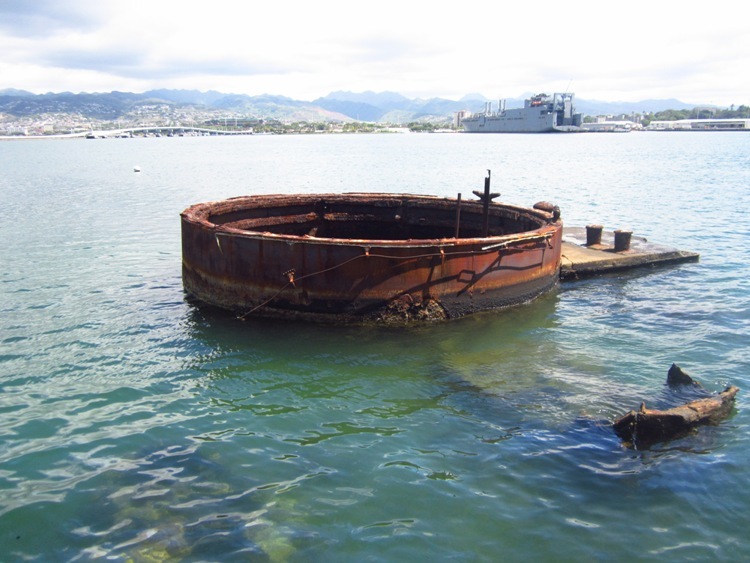 At USS Utah, Mike Freeman and I outfitted mooring buoys with a new attachment system. 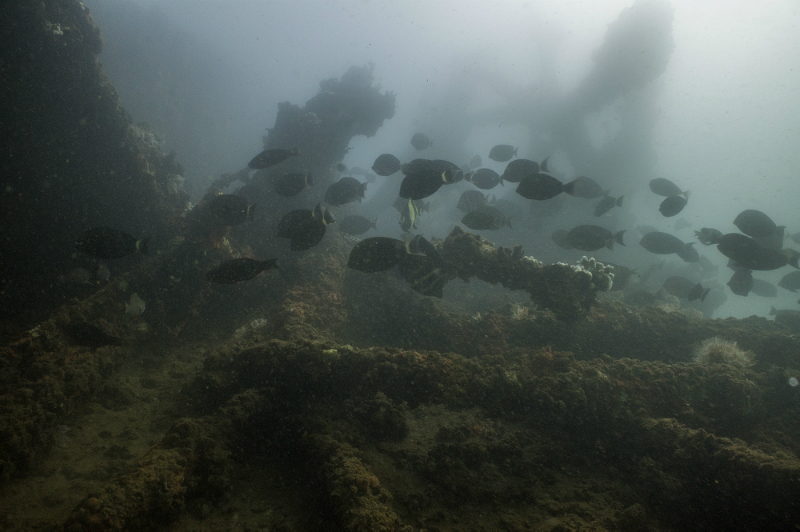 The visibility was very limited in the silty harbor, which allowed massive features of the ships to be eerily concealed until I was practically face-to-face with them. Gigantic gun turrets, coral-covered decks, and huge turbines seemed to appear out of nowhere in those green, still waters. I couldn’t stop thinking about how fortunate I was to be pursuing a career in my dream field while men my age lay at rest for our country beside me– it was an incredibly humbling and motivating experience. After diving with Mike, he let me join him on a pretty unique experience – he is a Navy ship pilot in Pearl Harbor, and he was responsible for safely piloting a 950 foot Navy ship out of the narrow harbor that night! I was able to watch from a tugboat as loads of experience and an absurd amount of finesse allowed two small tugboats to rotate and guide the massive ship out of the narrow harbor. 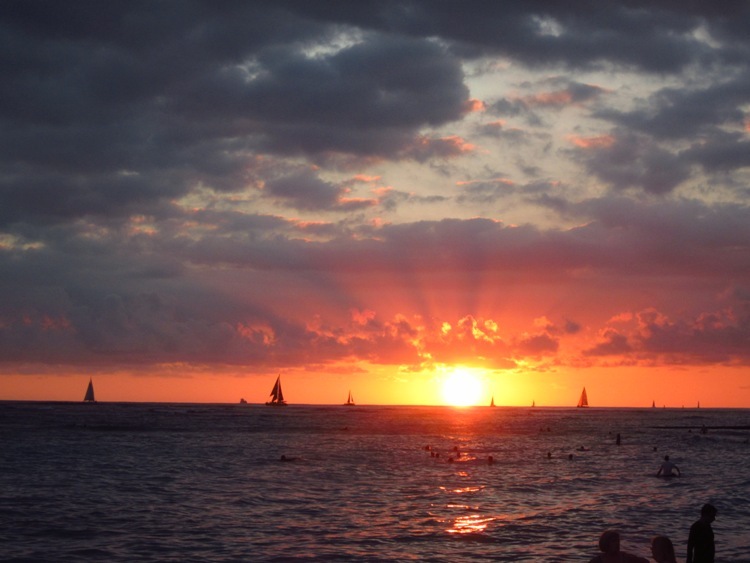 As we towed the ship miles out to sea (a standard procedure for boats of that size), we enjoyed beautiful views of Waikiki and the Diamond Head area at night. I really have to thank Scott for allowing me to be a part of such an interesting project and guiding me around Pearl Harbor (above and below water), and special thanks to Mike for letting me watch his tugboat team in action! This entry was posted in 2012 National Park Service on October 18, 2012 by SamiS. Although I only spent a brief time on the Big Island of Hawaii, I managed to see four dramatic National Park units in just four days! 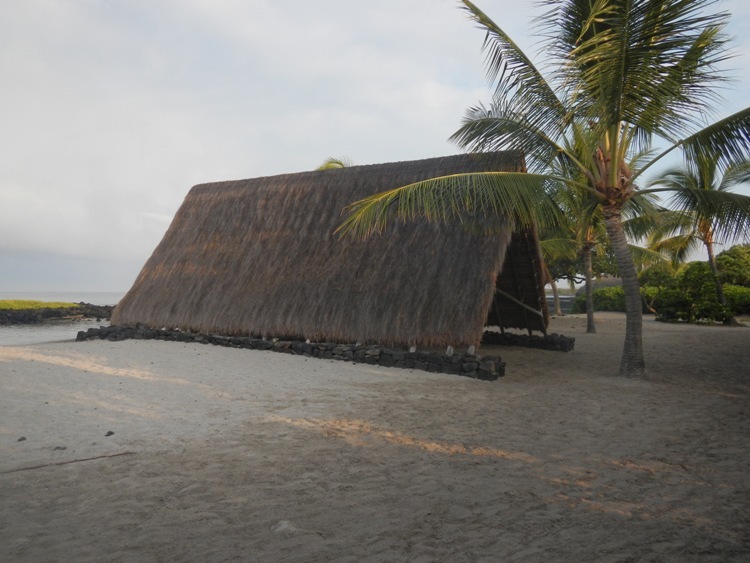 My journey began at Pu`uhonua O Honaunau National Historical Park on the Kona coast of Hawaii. 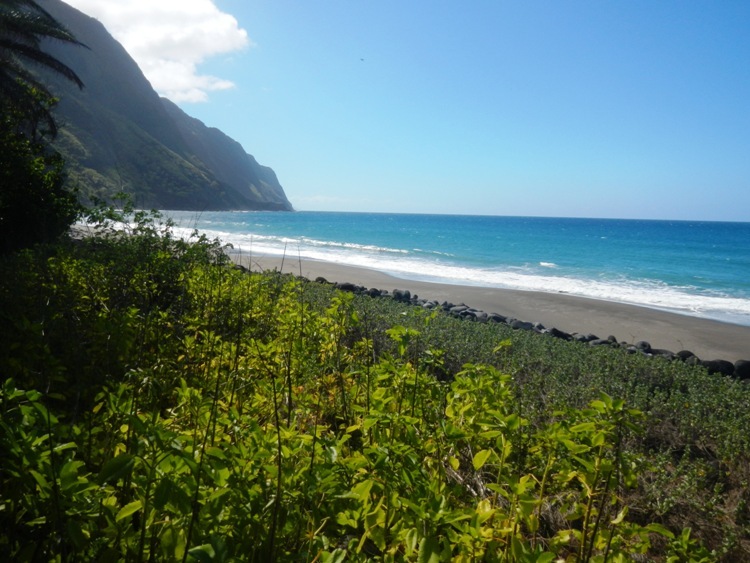 As I drove to meet Adam Johnson, Integrated Resources Manager/Archeologist at Pu`uhonua O Honaunau, I was shocked at how different the landscape of this region was from the lush, green cliffs of Kalaupapa. Bizarrely, the highways are surrounded by black volcanic rock, distant smoke, and ultra-fit runners – the Ironman Triathalon occurs in this punishing landscape. 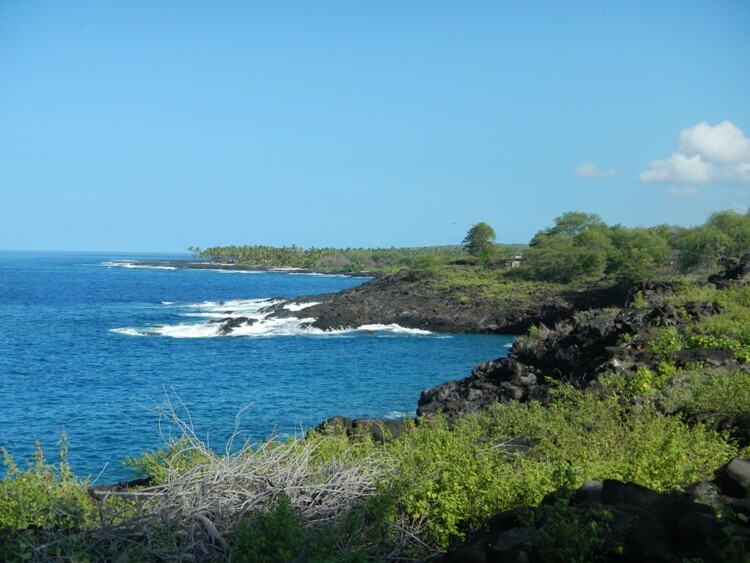 Upon arriving at the park, I began to learn about the powerful history that makes the parks of the Kona coast so special. Adam and I spent a whole morning walking around Pu`uhonua O Honaunau and he was able to point out incredible facts and artifacts throughout the entire trek. 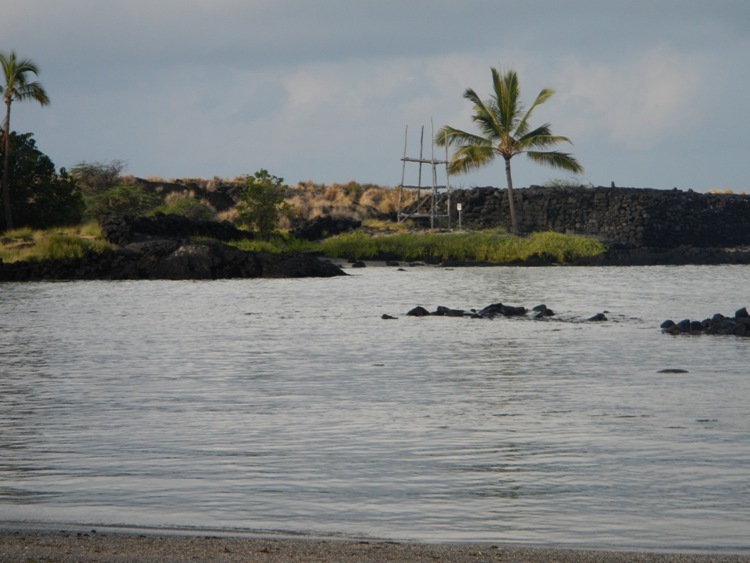 The stone walls of Pu`uhonua O Honaunau were built during a time when the Hawaiian Islands were still engaged in local wars prior to the unification of the islands. Up until the 19th century, defeated warriors and peaceful citizens hoped to enter the boundaries of this “City of Refuge,” which would fully absolve them of any wrongdoing they may have committed and prevent them from any harm. It was certainly a powerful experience to hear Adam tell me these stories on a peaceful, sunny day while imagining Hawaiian warriors sprinting towards the walls we walked beside! 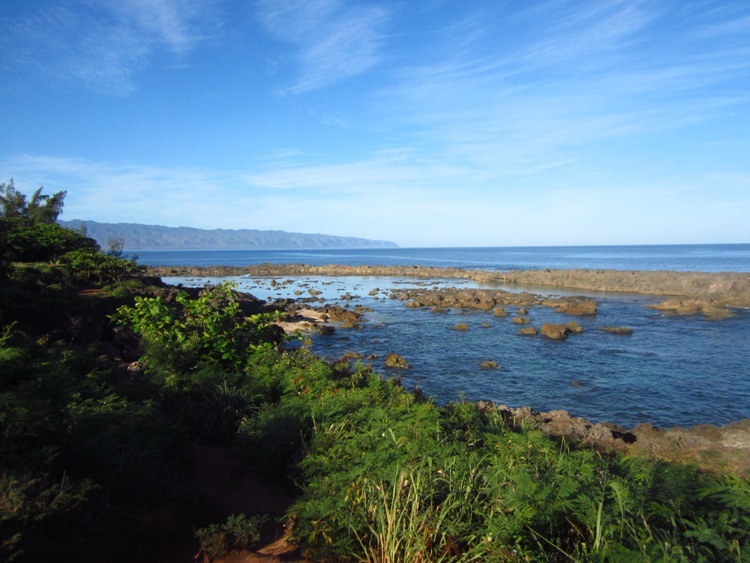 After an interesting history lesson at the City of Refuge, Adam and I drove up to Kaloko-Honokohau National Historical Park to do some diving! 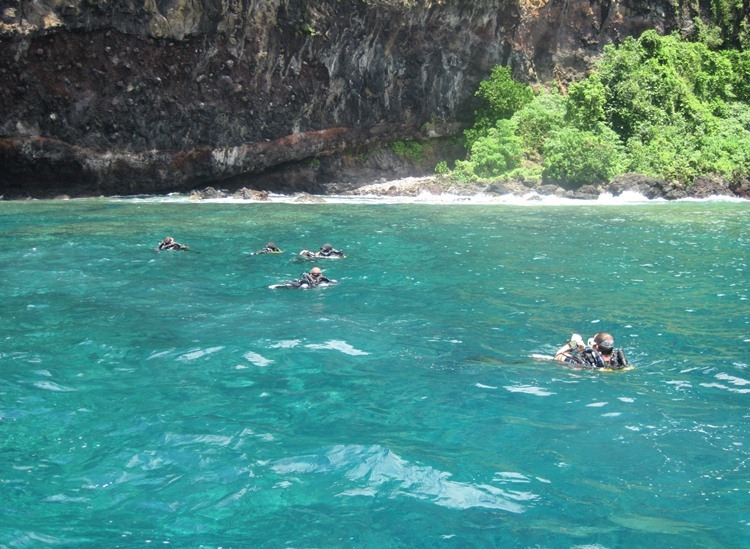 We had plans to tour the terrestrial features on the following day, so we quickly geared up and began our shore dive. 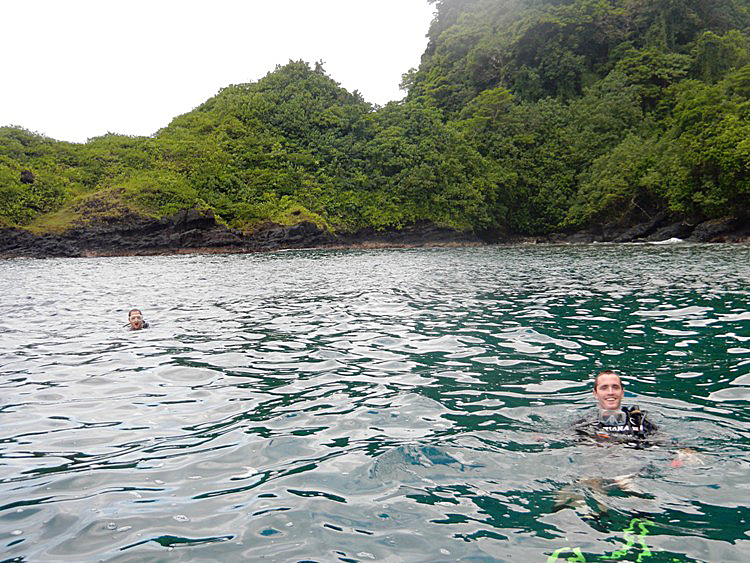 We scrambled over uneven lava rocks and jumped into crystal clear waters. 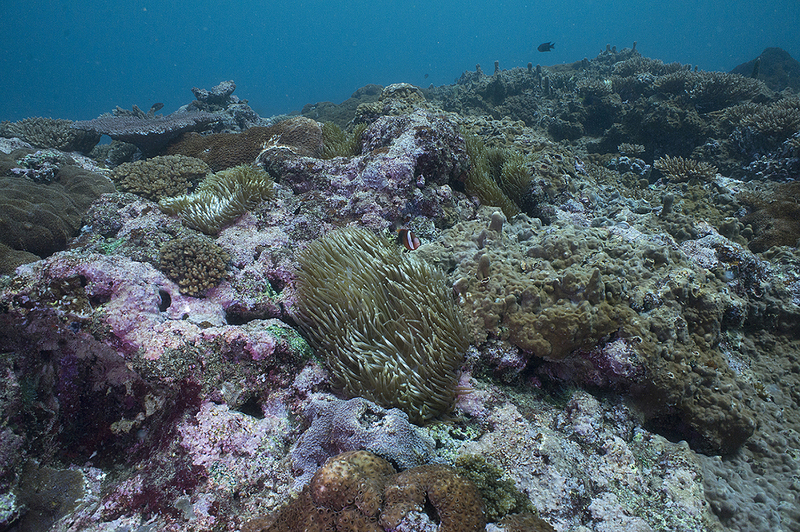 The region has a remarkable amount of hard corals – I don’t think I’ve ever seen so many in a single dive! We also swam alongside dozens of fish species and saw a giant green sea turtle. 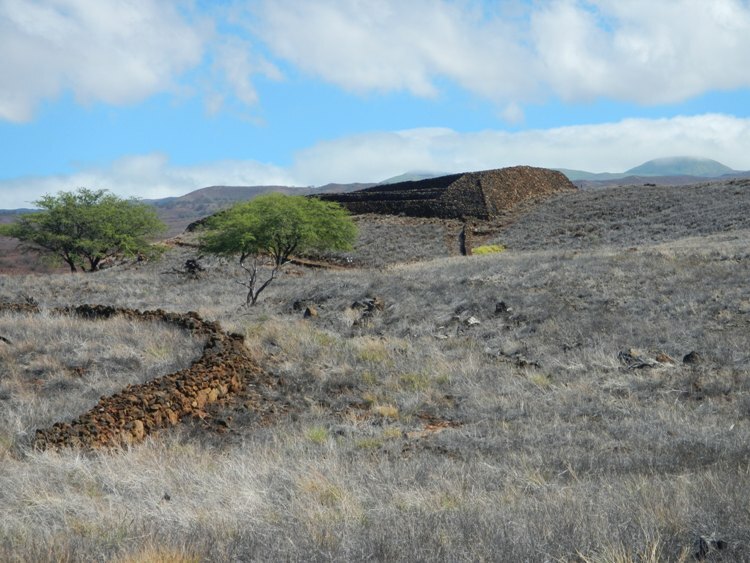 Since the history of Pu`uhonua O Honaunau was so interesting, I was happy to spend the next day learning all about Kaloko-Honokohau National Historical Park and Pu`ukohola Heiau National Historic Site. 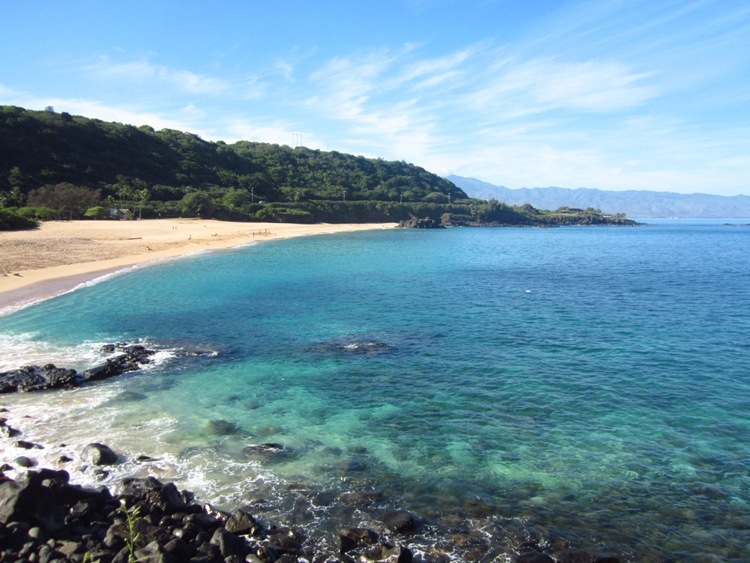 The main features at Kaloko revolve around the creative structures that Hawaiians built to survive in this seemingly inhospitable region of the island. Most prominently, an 800 foot stone wall encloses a fish pond that was used to store recently-captured fish – quite an eco-friendly alternative to a refrigerator! The sandy beaches are also lined with a stone fish trap, which effortlessly collects fish as the tide recedes. 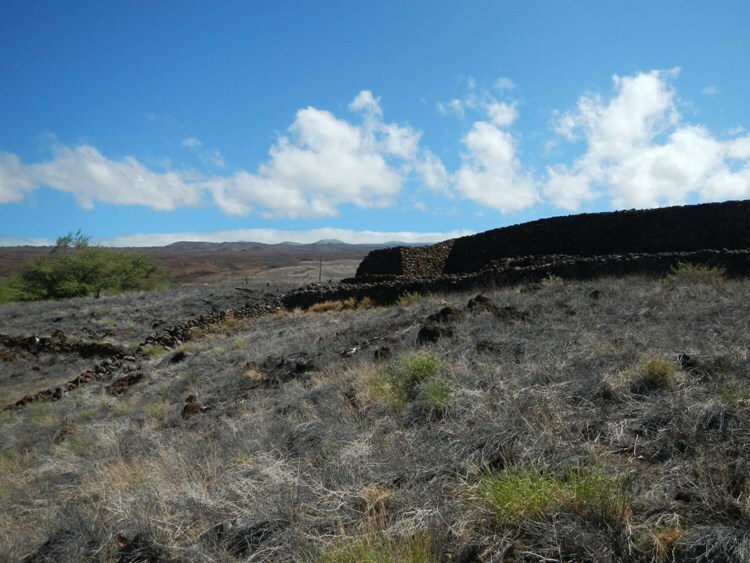 Pu`ukohola Heiau National Historic Site was also founded to preserve impressive stone ruins and a captivating history. At this site, a massive war temple was built by Kamehameha the Great, who would eventually unify the Hawaiian Islands. As the story goes, Kamehameha the Great was able to end all wars on the island of Hawaii after building this temple to the gods, then defeating his cousin. Once again, it was a bizarre feeling to learn of such a fierce story on a calm and sunny day on a tropical island, but I was happy to learn of the land’s compelling history. We capped off the day with another shore dive at Kaloko with Adam, myself, and biological science technician Joseph “Joz” Bybee. In an area with such a rich and recent history, many important artifacts remain undiscovered. 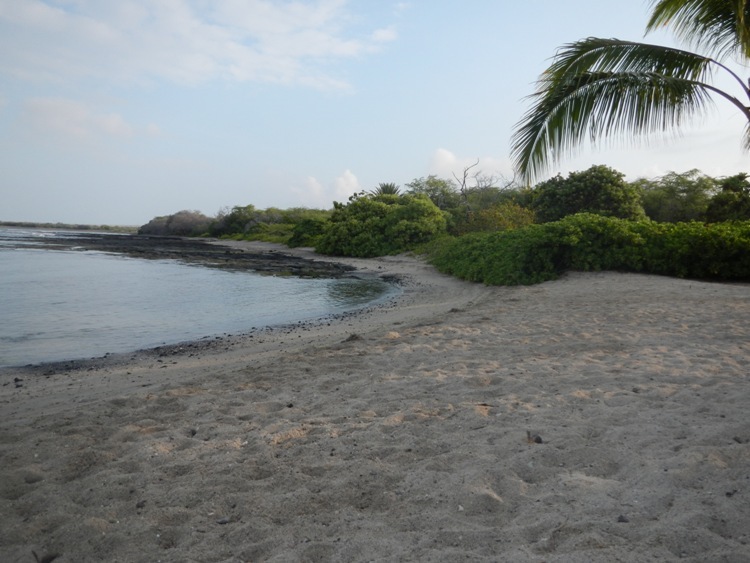 On my final day at the Kona coast parks, we planned to snorkel around the massive fish pond wall at Kaloko in search of undocumented archeological features. Archeologist Mandy Johnson-Campbell led the search, which took place in shallow waters with strong surges. Despite poor conditions, we managed to mark the GPS coordinates of one potential archaeological feature! 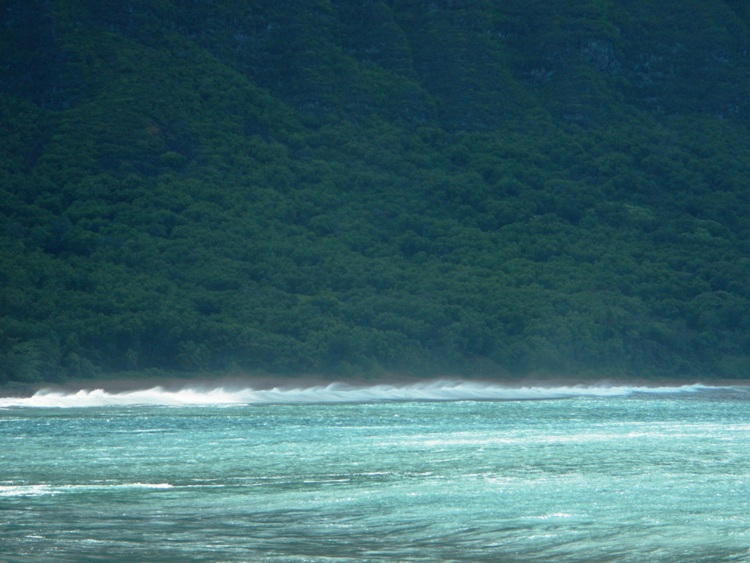 After this success, we decided to retreat to land as rising surf and sharp corals persuaded us to return another day. 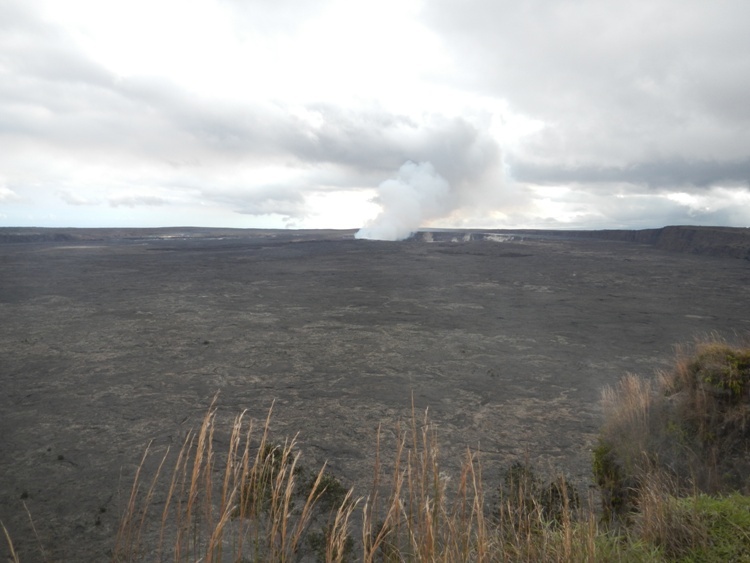 With this unexpected free time, I spent the day at Hawaii Volcanoes National Park. 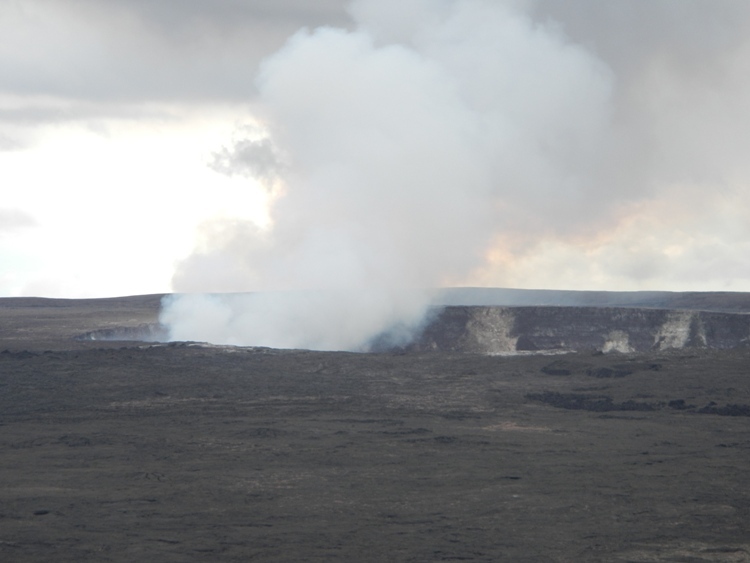 From the ridge of an active volcano, I could see volcanic smoke billowing hundreds of feet into the air! I particularly enjoyed walking through cave-like tubes of hardened lava and warming my hands in natural steam vents from the volcano. 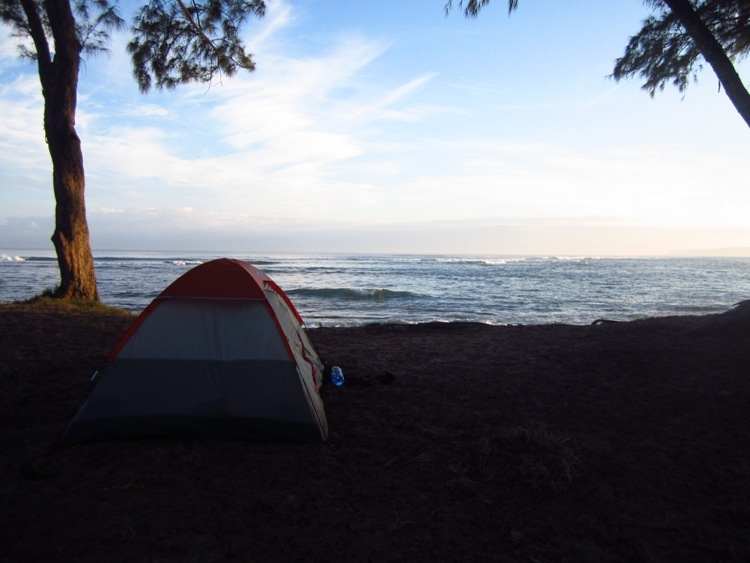 I was reluctant to leave the Big Island after just five days – I felt like I could have spent years exploring its National Park units alone! 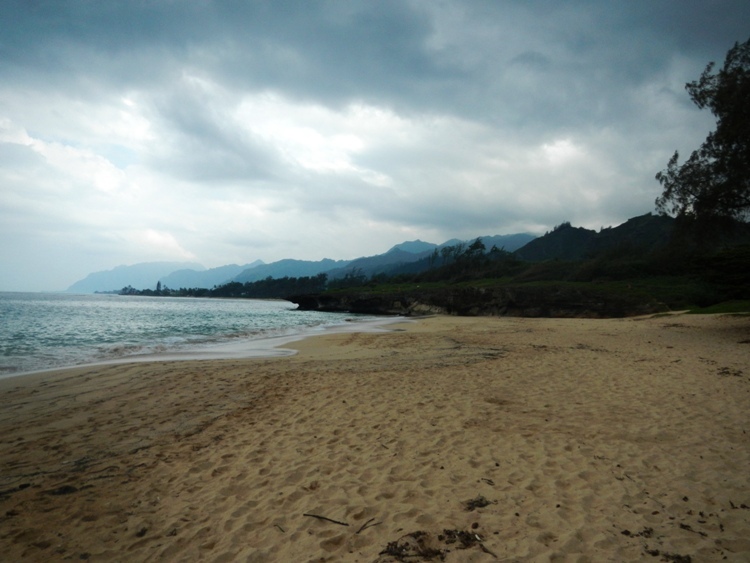 I’m happy that I’ll be heading to Oahu next, but I know there’s nowhere quite like the Big Island. I owe Adam Johnson a huge thank you for spending two days giving me an insider’s tour of the parks, as well as Joz and Mandy for showing me around Kaloko! 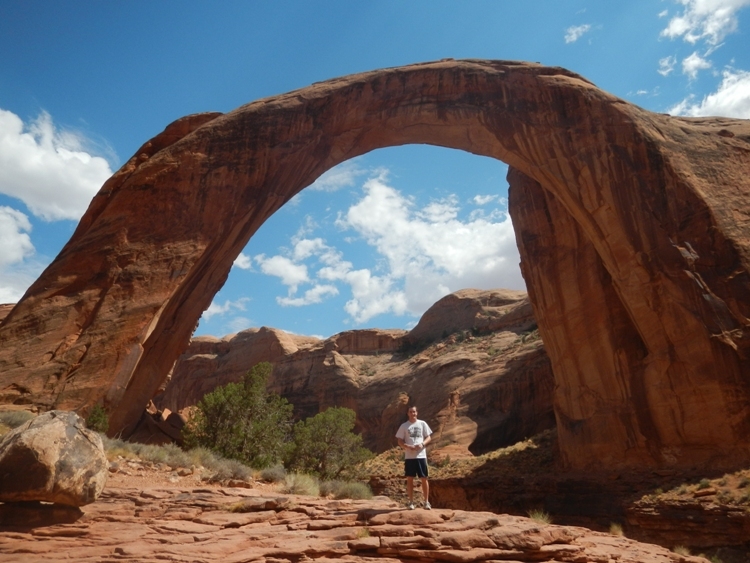 This entry was posted in 2012 National Park Service on October 10, 2012 by SamiS. I spent much of my downtime during this last week thinking about how to properly introduce Kalaupapa National Historical Park. Although I was briefed about the stunning Hawaiian landscapes and profound history that I would encounter at this park, I still could not have imagined the overwhelming experience that I was in store for. It’s nearly impossible to summarize a park that is so rich in historical, cultural, and natural resources! 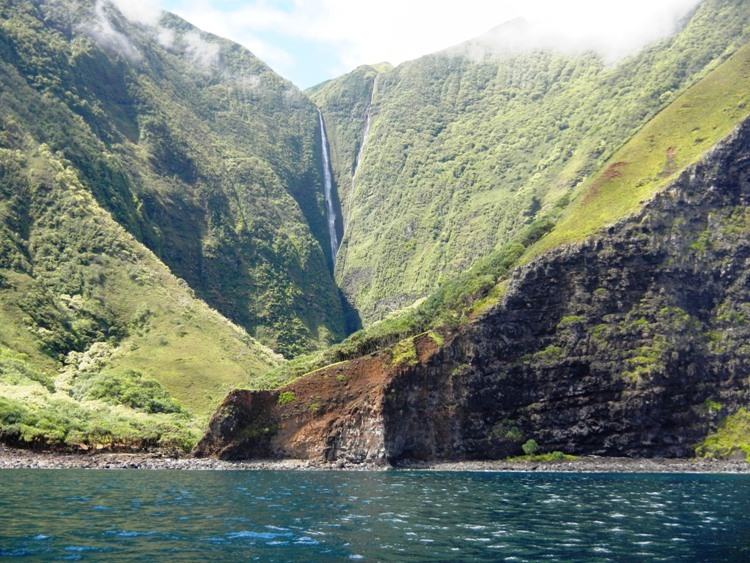 Here’s what I settled on: if you ventured into the set of Jurassic Park and found that the terrifying dinosaurs were replaced with the friendliest, most close-knit community you’ve ever imagined, you just might be in Kalaupapa National Historical Park. 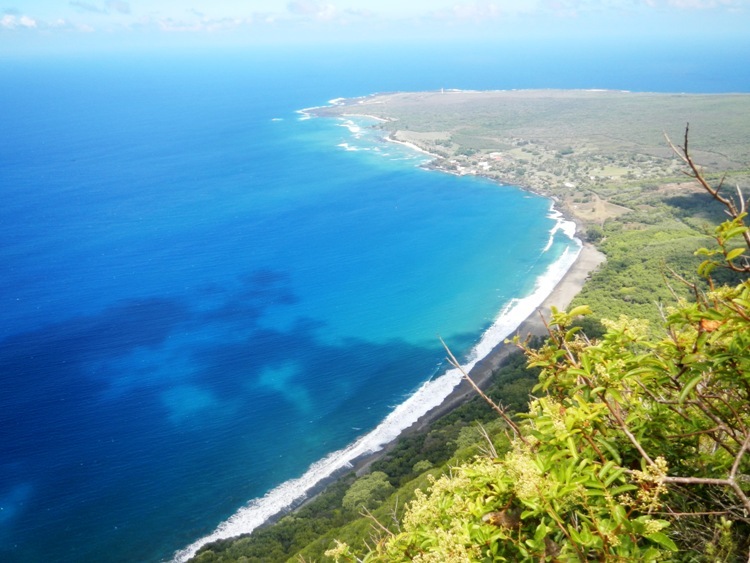 Kalaupapa has a history unlike any other park. I see it as a place of great extremes since it was founded as a place of pain and isolation in one of the most beautiful places on Earth. As Hansen’s disease, or leprosy, began to sweep the Hawaiian Islands in the 1860s, the lack of a cure and misunderstanding of the disease led King Kamehameha V to exile all symptomatic individuals to this remote peninsula on the island of Molokai. As late as 1969, families were torn apart as patients with Hansen’s disease were forcibly restricted to Kalaupapa. Advancements in treatment, the end of forced exile, and increased understanding of Hansen’s disease greatly improved the lives of patients. Around a dozen cured patients continue to reside in Kalaupapa by choice; they’re the living legacy of a solemn story. 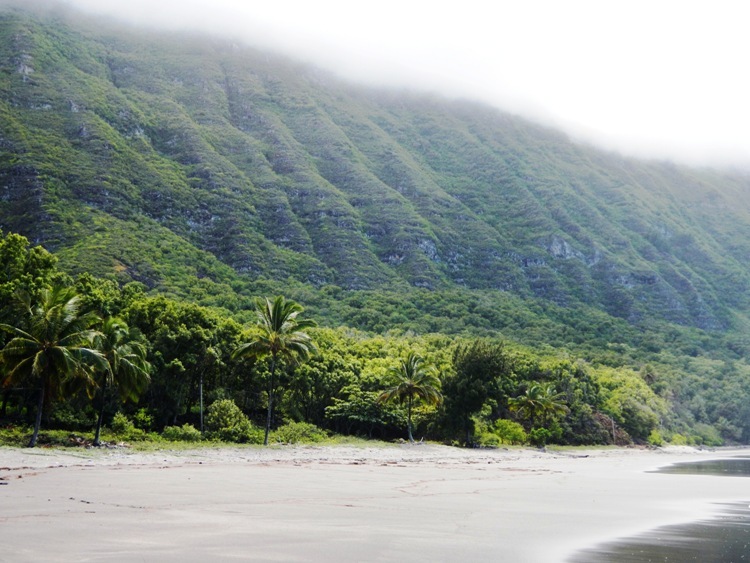 The National Park Service chose to honor this important narrative by preserving the Kalaupapa peninsula as a National Historical Park established in 1980. 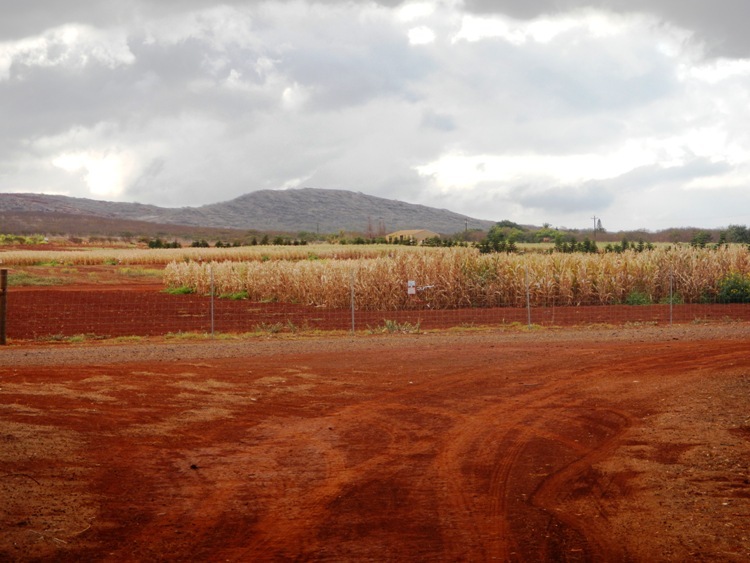 I flew in a two-seat-wide plane from Honolulu to the small airstrip on the Kalaupapa peninsula. 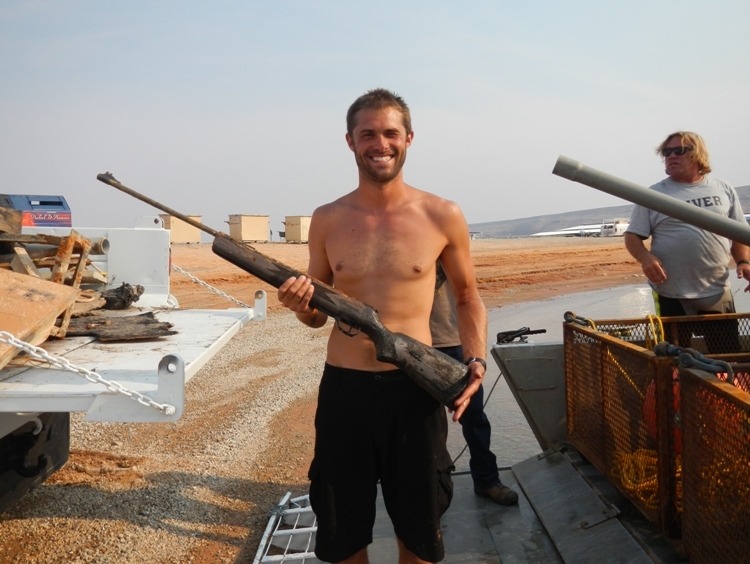 It was easy to find marine ecologist Eric Brown, who was waiting for me at the airport, because he was one of two people standing within a mile of the airstrip! He showed me to my park housing for the week, which overlooked the Pacific Ocean and some of the largest sea cliffs on Earth. I watched the sunset over the ocean from my front porch and called it a night. 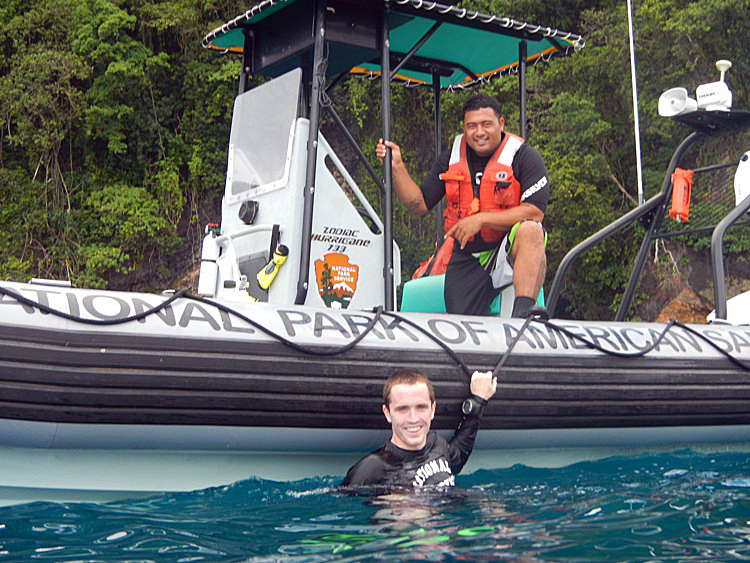 In the morning, Eric, maintenance mechanic/park diver Randall Watanuki, and I met at sunrise to begin diving. 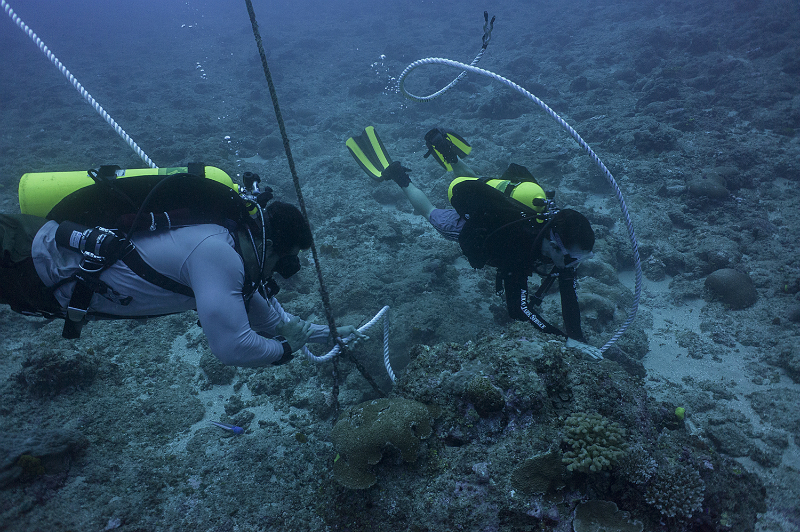 Our goal was to assess potential damage to coral reefs caused by a recent construction project, so we combed the sites with an underwater camera and measuring tapes to document minor damage. Once again, I lucked out and dove in fantastic conditions. The great visibility allowed me to see a dense coral reef, vibrantly-colored fish, and a green sea turtle all in the first dive! 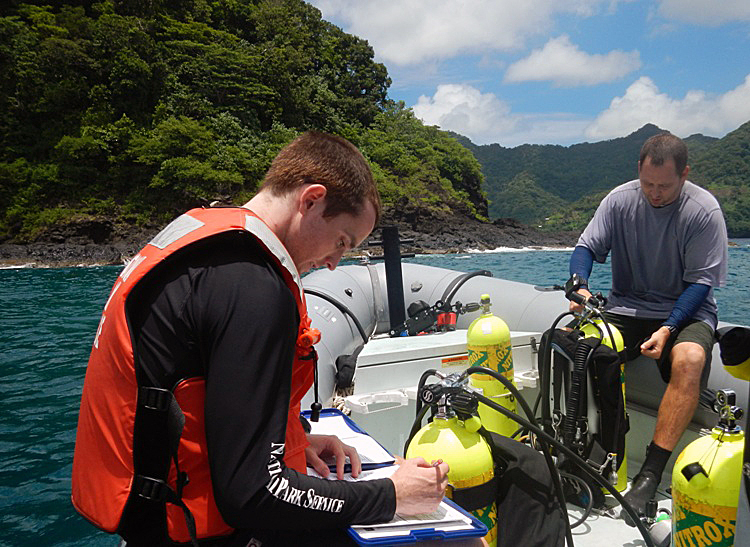 The next two days of diving were devoted to assessing coral recruitment within the park. We dove at fifteen different sites to collect recruitment tiles that were previously deployed by Eric and Randall. I was really interested in this project, plus diving at fifteen different sites allowed me to see the entire peninsula underwater. 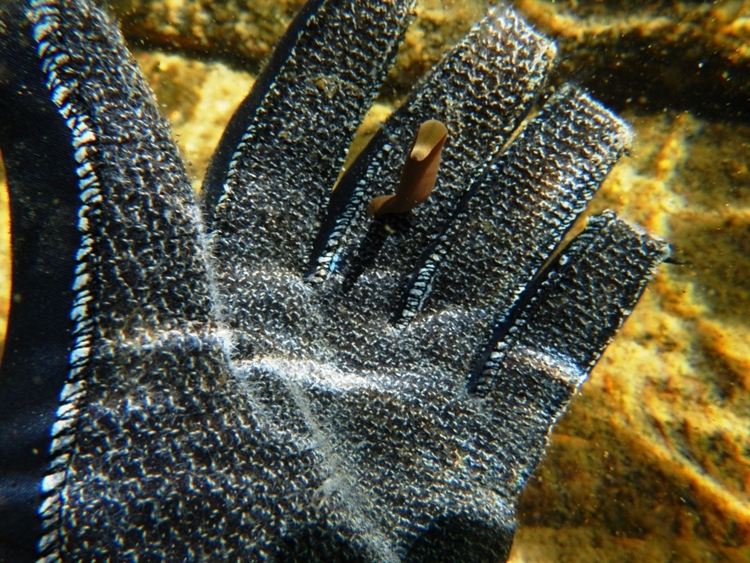 Every site was teeming with marine life. While boating back from the last site, we even spotted a ten foot tiger shark swimming nearby! After switching out SCUBA tanks from the dock, we completed a training dive to 100 feet and swam back to shore. We were lucky to finish the recruitment project in just two days, as a large swell was scheduled to batter the island later on in the week. 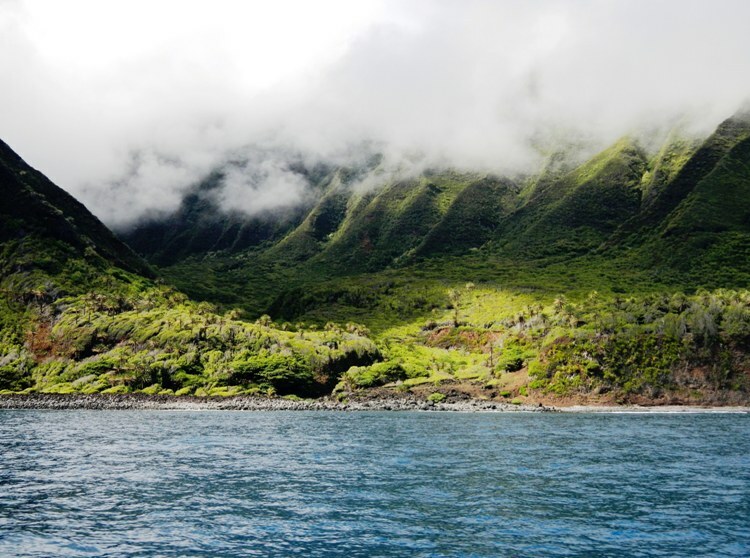 Since the exposed Kalaupapa peninsula offers little protection from northern swells, guaranteed safety only exists in a sheltered harbor on the southern side of the island. To protect the boat, Randall and I made the three hour boat trip to this harbor. Luckily, this allowed me to see even more of the island. I was absolutely floored by this ride! We boated alongside the world’s largest sea cliffs which reach over 3,000 feet high and made our boat feel particularly small. 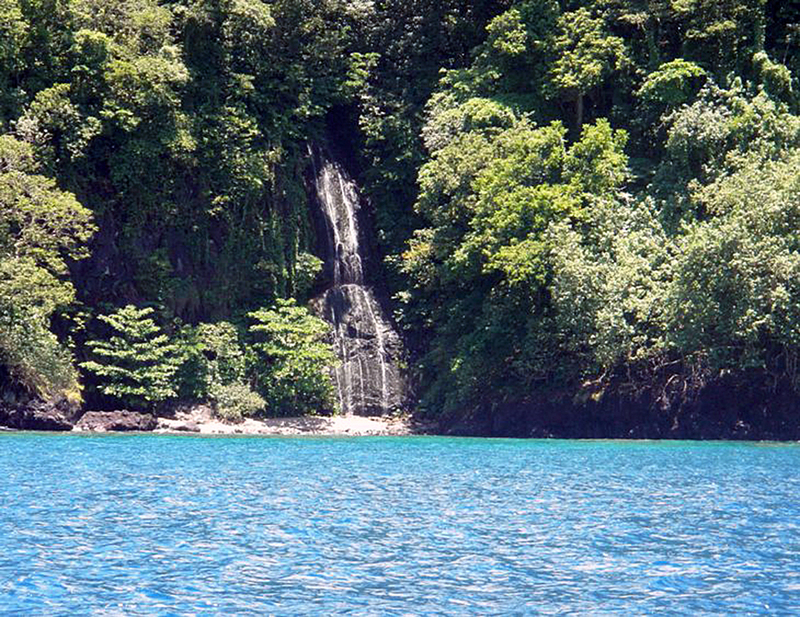 We also passed sky-scraping waterfalls and valleys full of lush jungles as we made our way to the harbor. 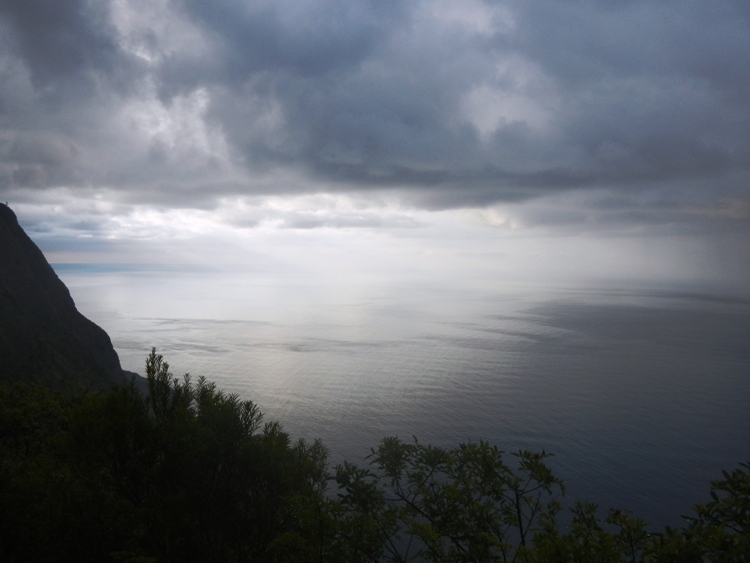 At the end of the day, we trekked back to Kalaupapa using the steep and strenuous three-mile trail that descends 1,800 feet from the plateaus of Molokai to the peninsula. The trail offered more incredible views and a great workout – my legs were shaking as I worked to keep pace with the Kalaupapa veterans! 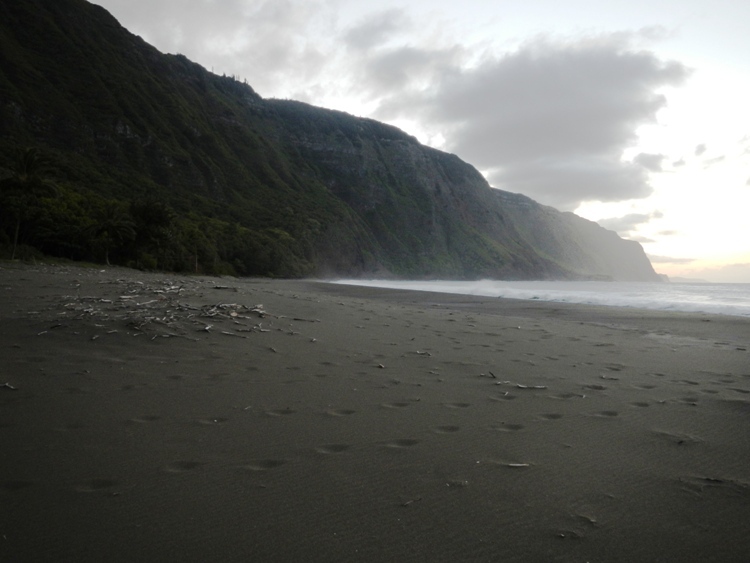 As if thriving coral reefs, one-of-a-kind sea cliffs, and fertile jungles weren’t enough, Kalaupapa National Historical Park is also home to the critically-endangered monk seal. 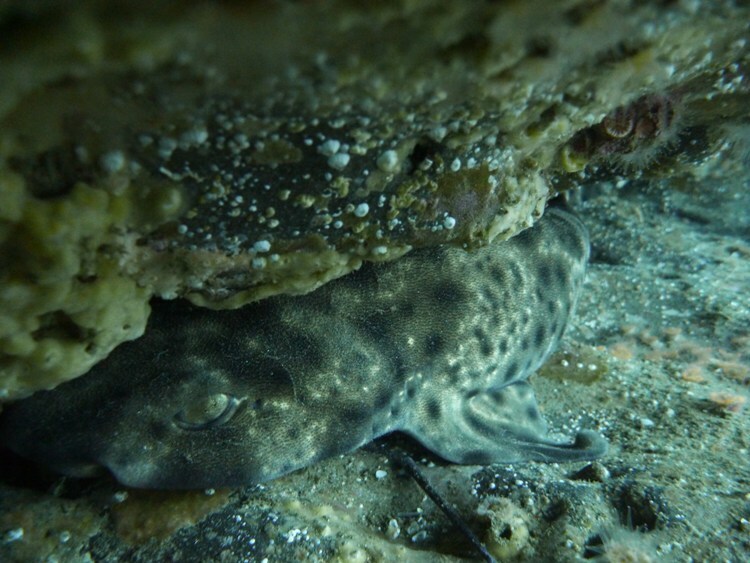 Since there are only around 1100 of these rare creatures left, the park works with the National Oceanic and Atmospheric Administration (NOAA) to tag and monitor as many individuals as possible. On my last full weekday at Kalaupapa, I met Diane Pike, who is NOAA’s Marine Mammal Response Team Coordinator for the island of Molokai. Diane and I monitored an untagged monk seal from the shore for several hours with hopes of tagging the animal, but the seal never basked in a sandy area, so we didn’t attempted to tag it on the dangerous, rocky basking site that it chose. 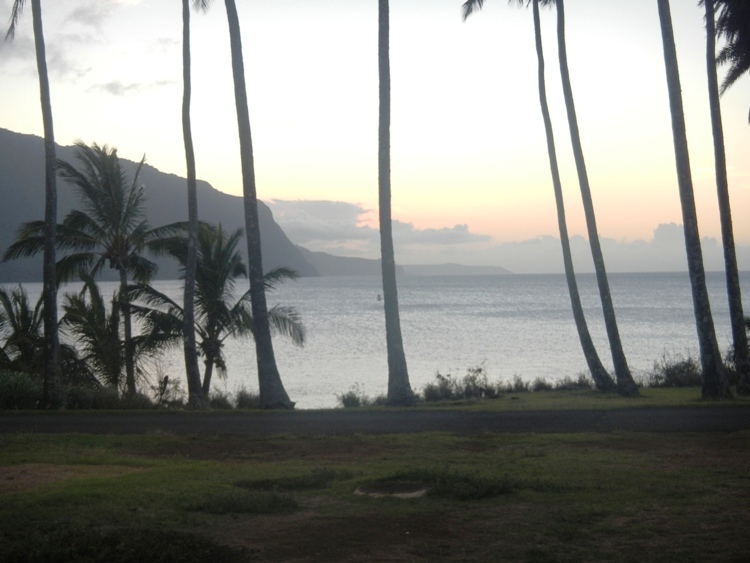 The week I spent at Kalaupapa is the start of a month and half of diving in the Pacific Islands, including Oahu, the big island of Hawaii, and American Samoa. I can’t thank Eric and Randall enough for setting the bar as they showed me the park that they’re so fortunate to work in – thanks a lot guys! This entry was posted in 2012 National Park Service on September 28, 2012 by SamiS. 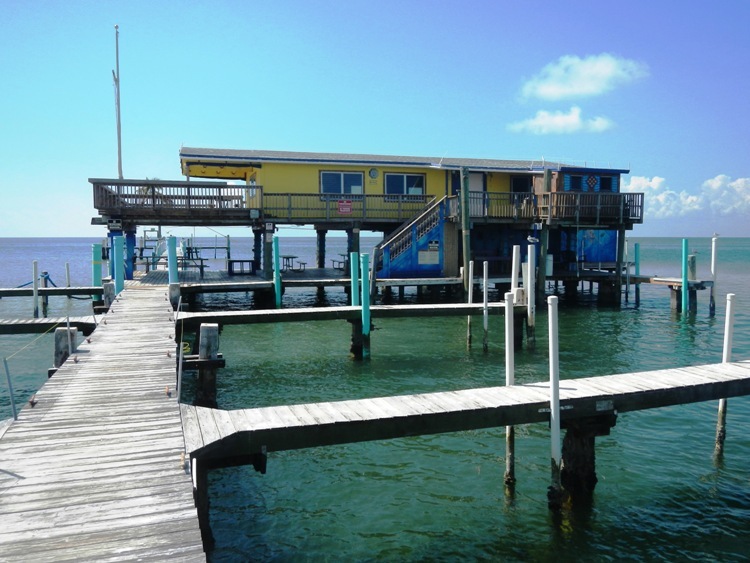 Biscayne National Park: Fish-Filled, Warm-Water Dives! Every National Park unit I’ve visited so far has offered a distinctly unique experience. Just as each park has very different strengths, from the thriving tourism industry at Glen Canyon to the lonely beauty of the Channel Islands, each park faces equally unique challenges. 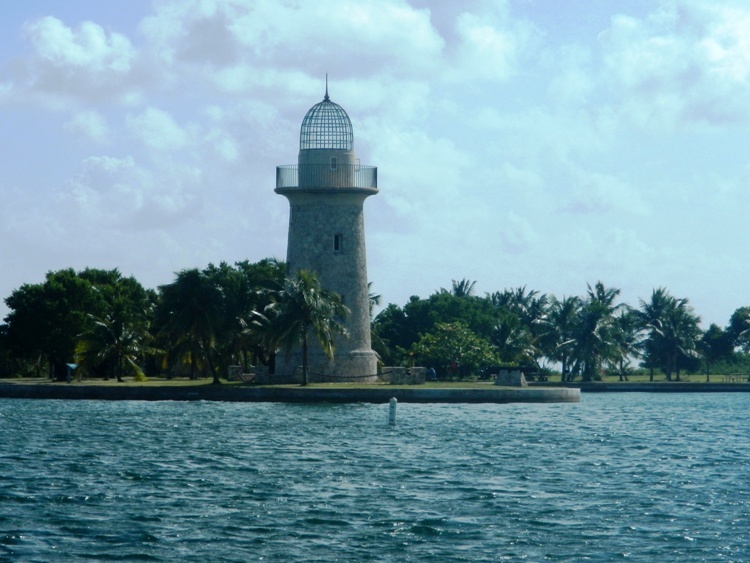 Many visitors are drawn to the beautiful Biscayne National Park in South Florida for its boating, fishing, and wildlife viewing, as visitors might see manatees, sea turtles, rare birds, vibrant coral reefs, and tons of fish! 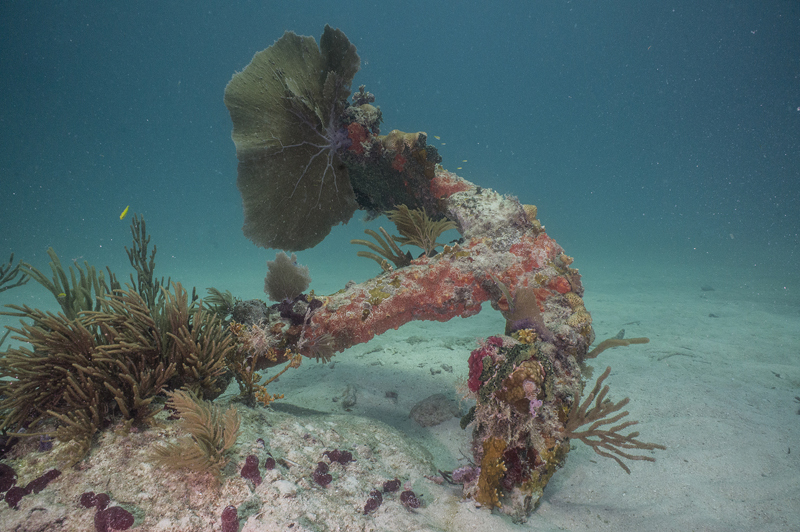 Unfortunately, Biscayne’s reef communities and their coveted snorkeling/fishing opportunities face a threat that is unique to the Southeast US and Caribbean region: the invasive lionfish. 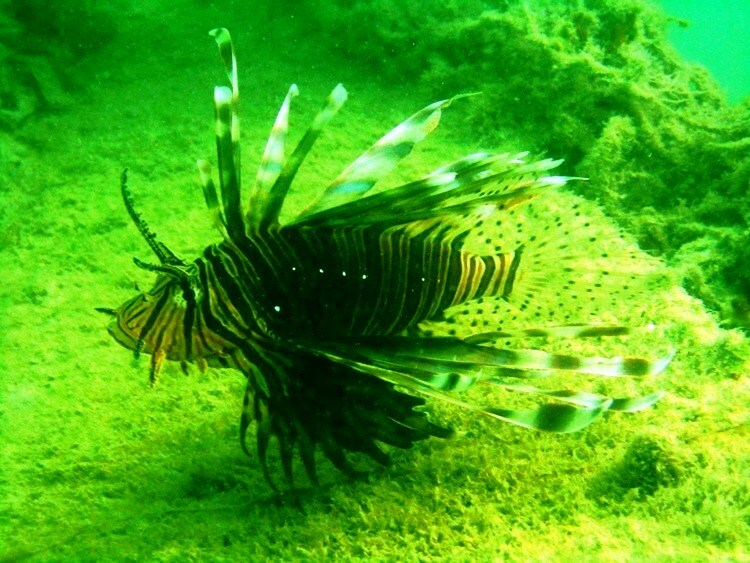 Lionfish were first seen in South Florida in the 1980s, the likely result of the improper release of the fish from an aquarium. 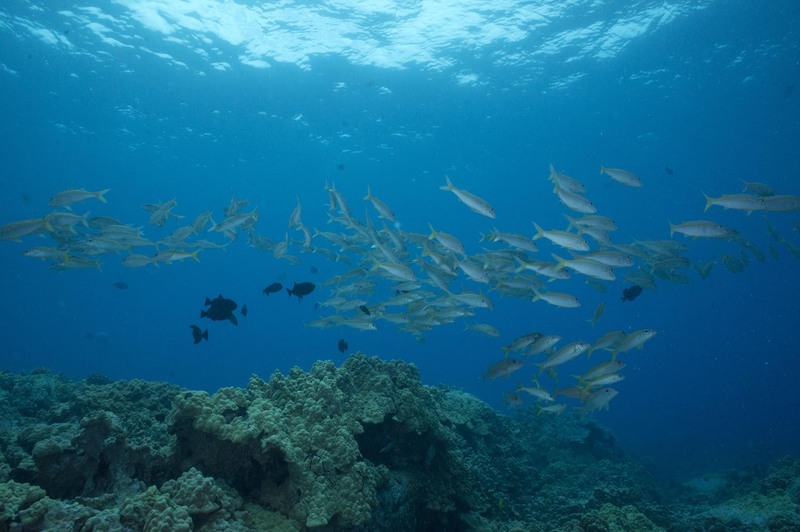 Since then, they have begun to alter many native marine communities. The non-native lionfish has a voracious appetite for small fish, so it can dramatically decrease local fish populations. To top it all off, they’re covered by venomous barbs that can deter potential predators and occasionally hospitalize humans! 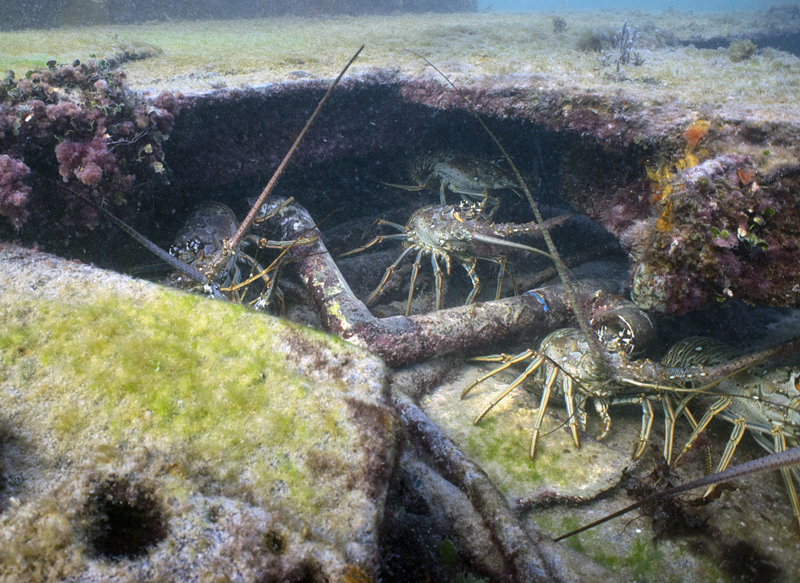 Much of my wonderful, diving-packed stay at Biscayne National Park was spent helping with the research and defensive measures that the park’s Resource Management Division is taking against the lionfish. 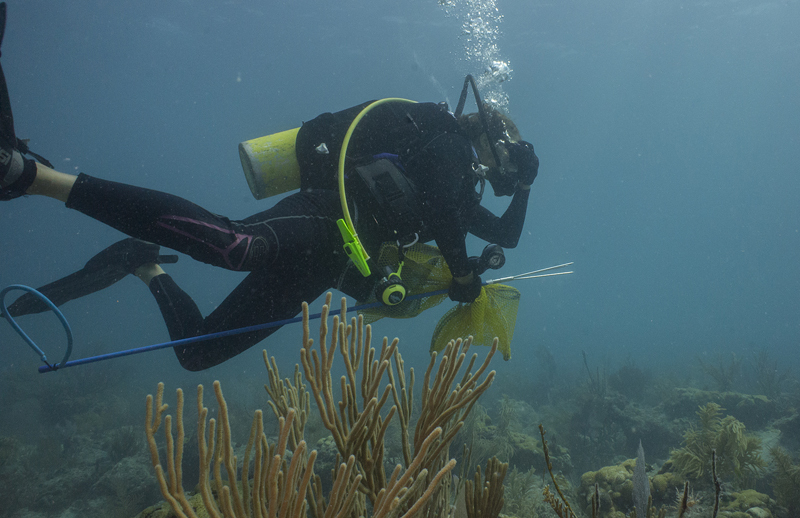 Upon arrival, I met fish and wildlife biologist Vanessa McDonough, who studies and monitors many more species than just the troublesome lionfish. She introduced me to biologist and Park Dive Officer Shelby Moneysmith, archeologist Chuck Lawson, biological science technicians Katie Johnson, Amanda Lawrence, and Kara Wall, and University of Miami master’s students/Resource Management interns Ryan Fura and Christina Vilmar. 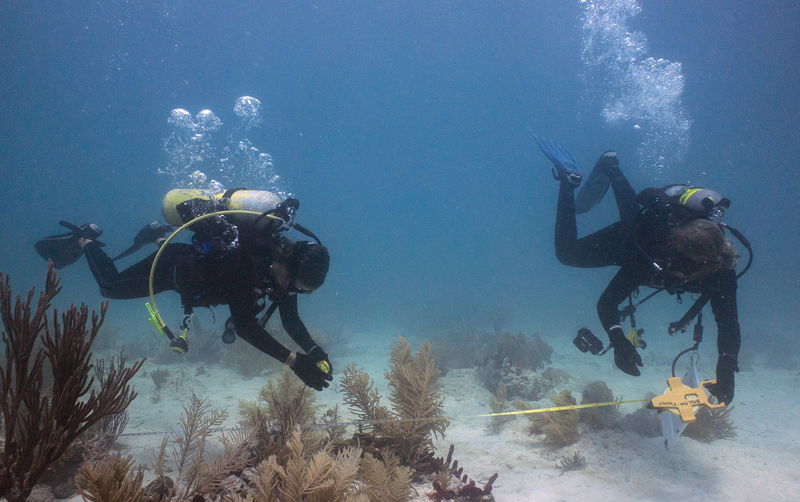 We all talked about the current lionfish studies that are conducted within Biscayne National Park and then quickly got to work on the problem. One lionfish study involves removing all lionfish from an isolated reef or shipwreck then recording how quickly they recolonize the area. 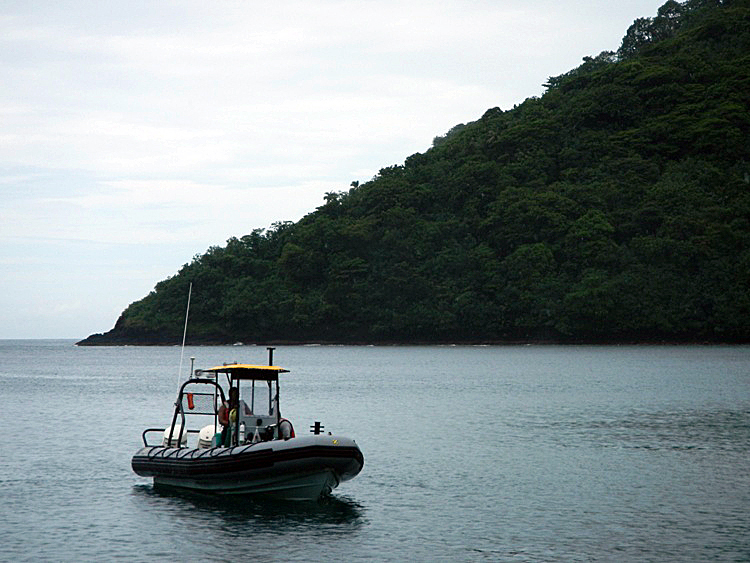 We loaded many SCUBA tanks into their versatile 27 foot boat then motored out to the study sites. 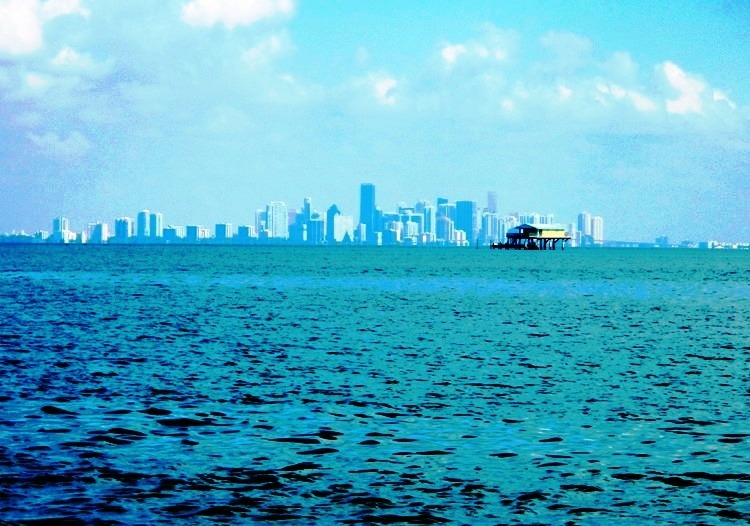 Regardless of lionfish, Biscayne National Park is absolutely beautiful! We passed uninhabited, mangrove-lined islands and crystal clear waters as we navigated the shallow waterways. 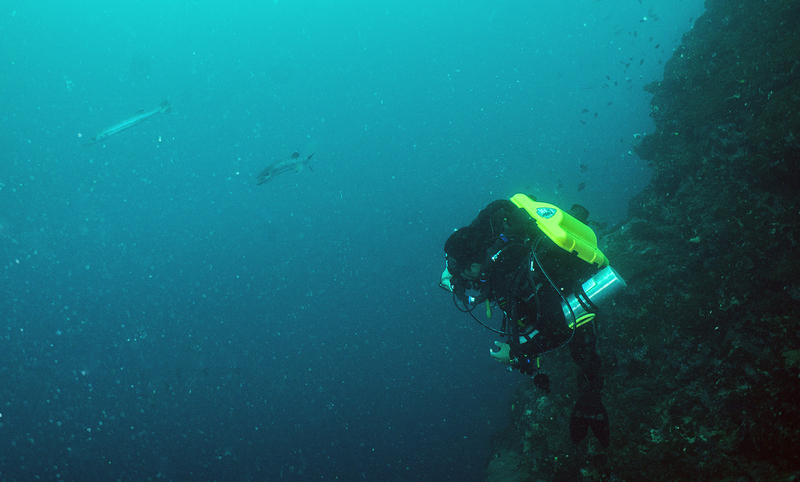 As I geared up for our first dive, I couldn’t shake the strong feeling that I was missing something important. It didn’t take me too long to realize what I thought I was missing – a wetsuit! For the first time in two years, I was able to dive in warm waters that allowed me to ditch my drysuit or thick wetsuit, which was a treat in itself. 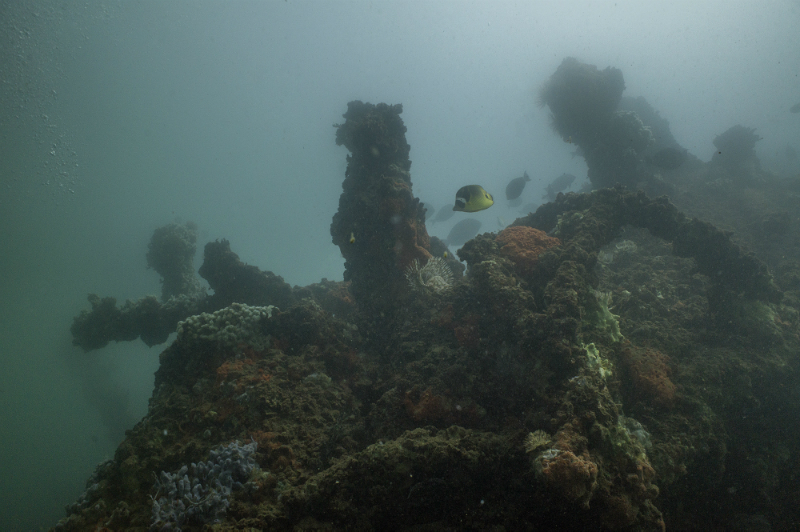 As we dropped down to our first study site, which was the wreckage of an old shrimp boat, I saw that I was in for more surprises. In addition to hundreds of beautifully-colored tropical fish and dozens of giant lobster, a six foot nurse shark was slowly swimming around the wreck! On later dives, I found myself face-to-face with a critically endangered goliath grouper that weighed at least two hundred pounds (they grow up to 800 pounds! ), large stingrays, a sea turtle, and many more interesting fish. 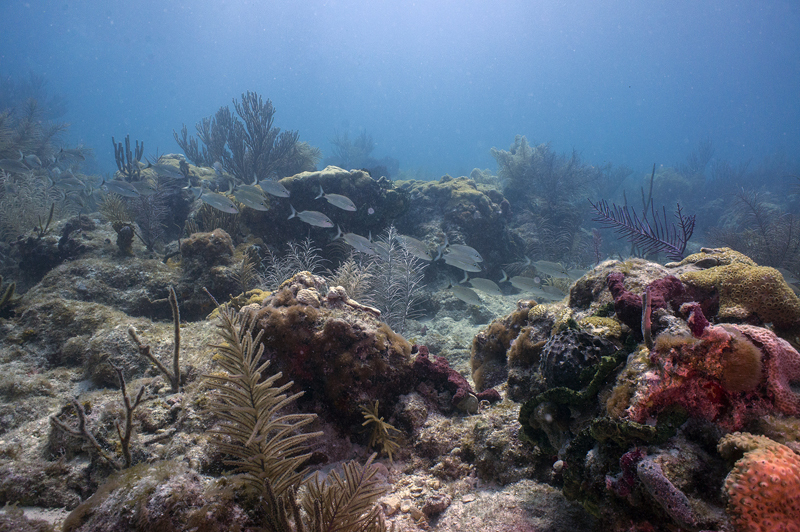 I didn’t really expect this abundance and diversity of marine life after hearing about the negative effects of the lionfish, but I was thrilled to see such a healthy-looking community. 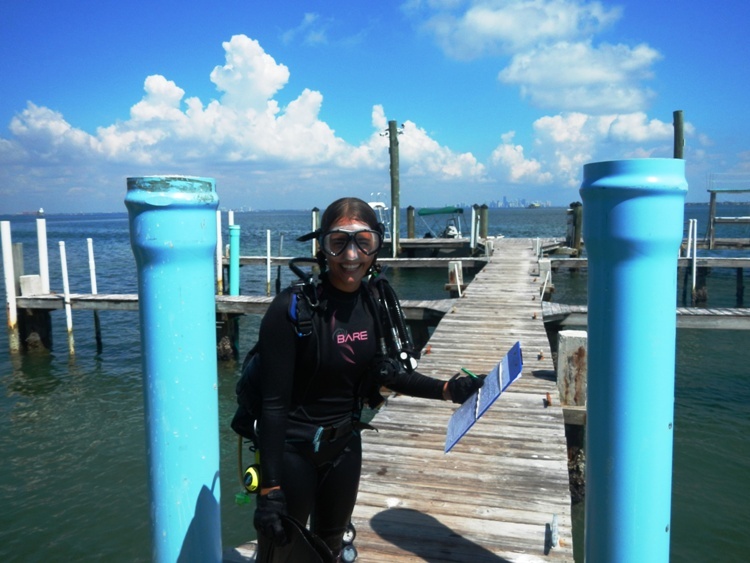 I also had the opportunity to participate in some unusual maintenance dives at Biscayne. 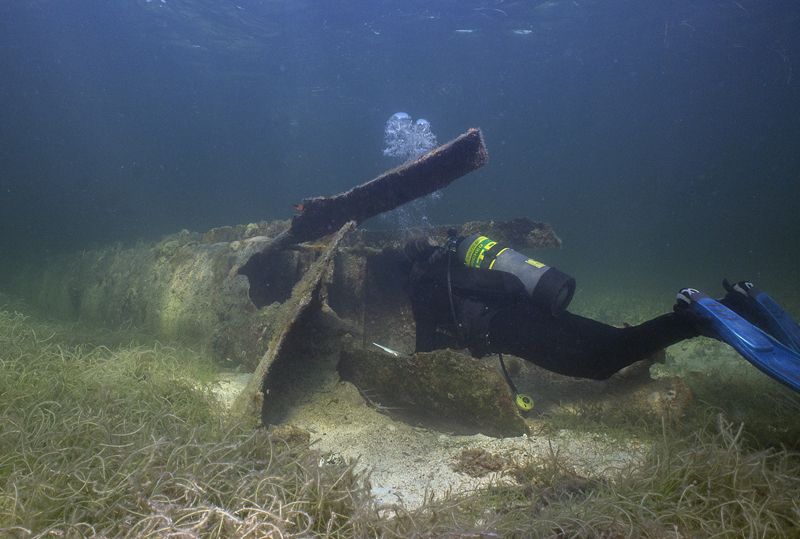 The park has a wealth of fragile underwater resources, including shipwrecks, coral reefs, and seagrass beds, which can all be easily damaged by careless boaters. 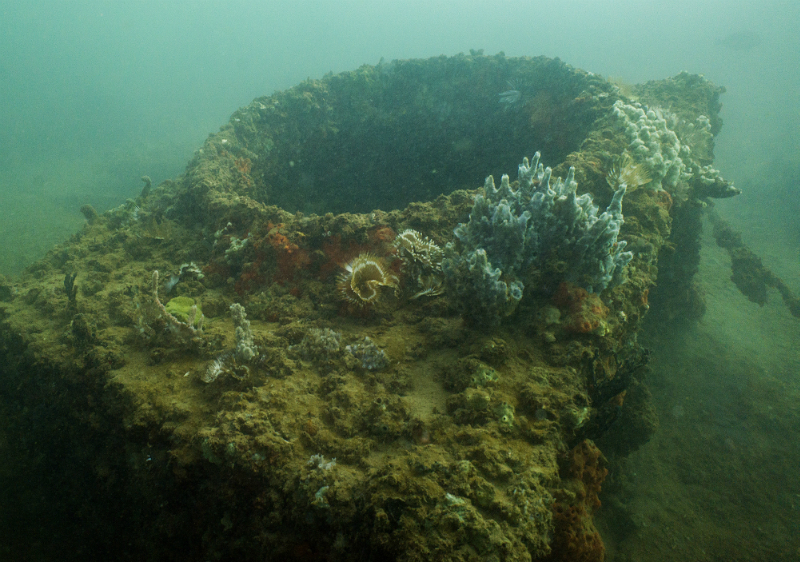 Since boaters may inadvertently damage fragile sites with their anchors, we installed a mooring buoy at a popular shipwreck that allows boaters to secure themselves without having to drop anchor. 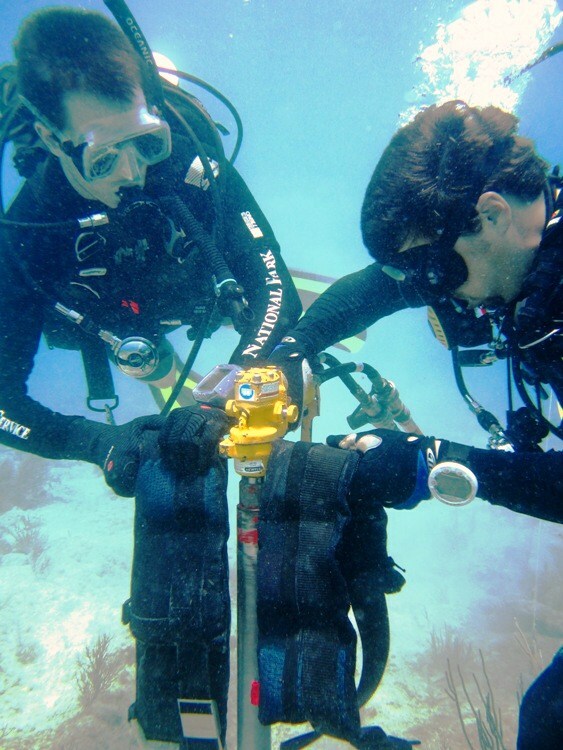 To install the buoy’s anchor, we had to drill into solid rock using a massive drill while thirty feet underwater! 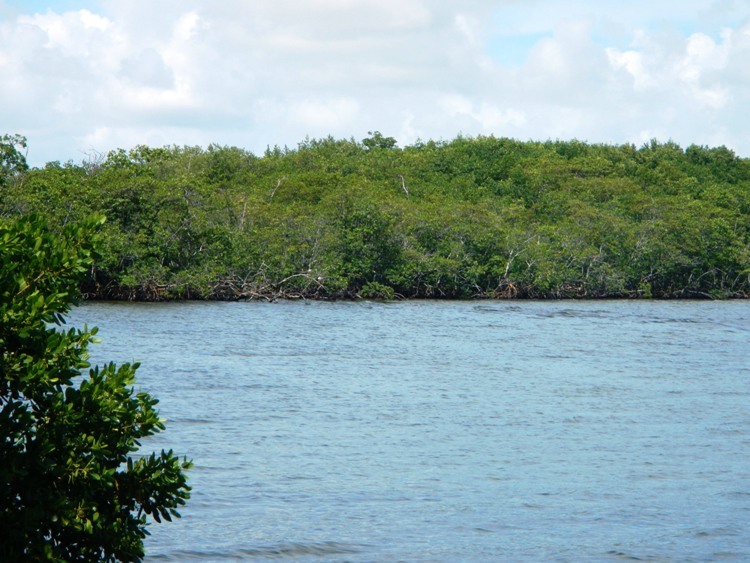 Led by Terry Helmers, a volunteer-extraordinaire who has spent nearly thirty years improving Biscayne National Park, this labor-intensive process went very smoothly. When we weren’t diving, I got a chance to participate in Biscayne’s sea turtle monitoring program. Endangered loggerhead sea turtles periodically nest in the outer beaches of the park, which gives the Resource Management team a chance to protect the local population. 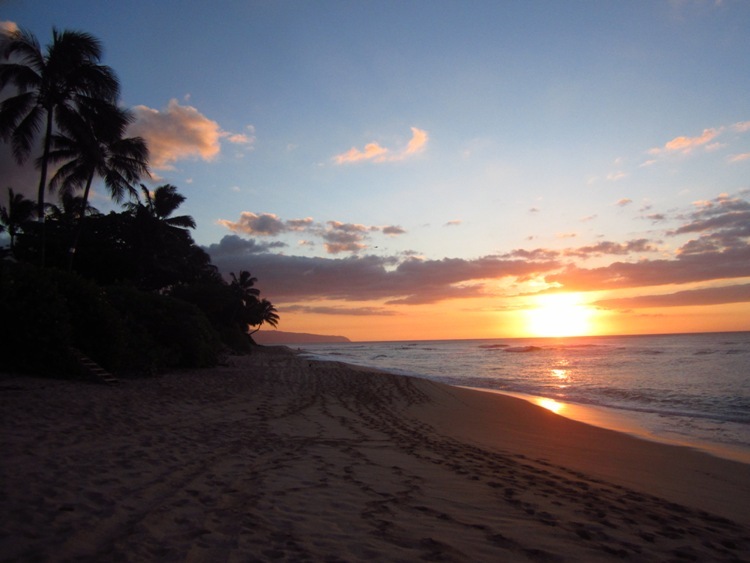 At sunrise, we would walk the beaches in search of disturbed sand that indicates a recent nest. When members of the team find a nest, they can protect the eggs from raccoons and other threats by covering the area with wire mesh. This method of protection has been hugely successful. Before the start of this protection method in 2000, up to 100% of the nests were disturbed by raccoons. Since then, predation has been reduced to almost 0%! Another memorable aspect about this leg of the internship was that I finally got my hands on an underwater camera. 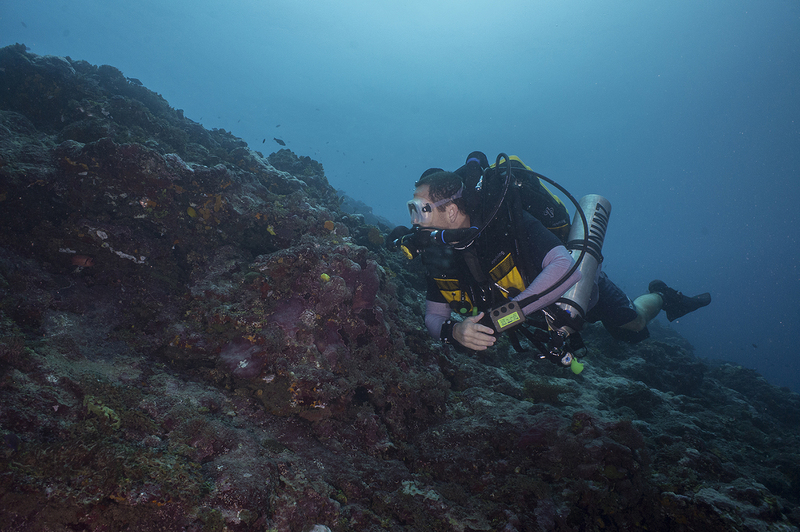 I’m really excited at the chance to share some of the incredible things I’ve been seeing underwater – I only wish the camera arrived before I saw that massive goliath grouper! 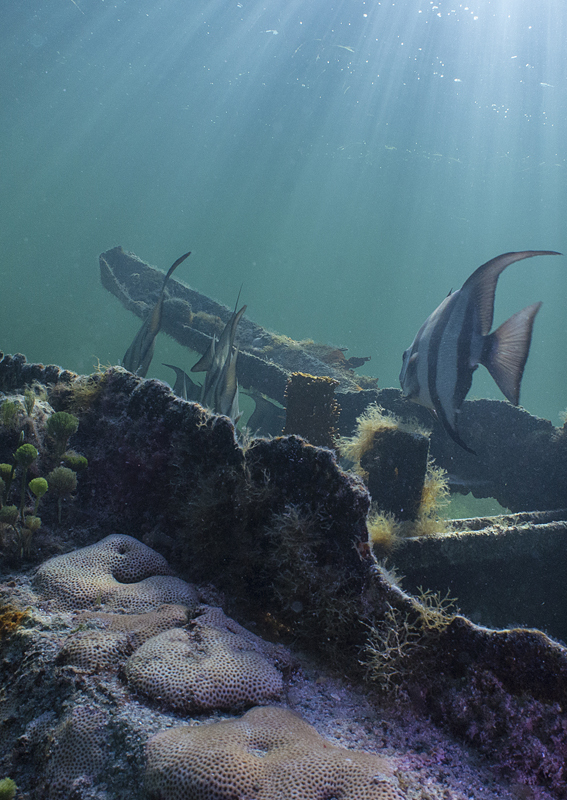 I owe a big thanks to Vanessa, Shelby, and the rest of the RM team for showing me their park’s workings and helping me with underwater photography, and another thanks to Kara for some photos! This entry was posted in 2012 National Park Service on September 20, 2012 by SamiS. 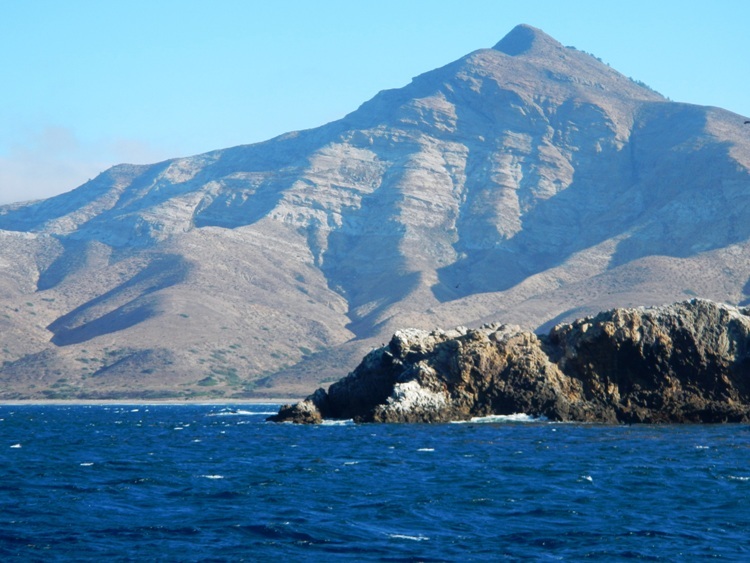 Channel Islands National Park – A Paradise Hidden in Plain Sight! 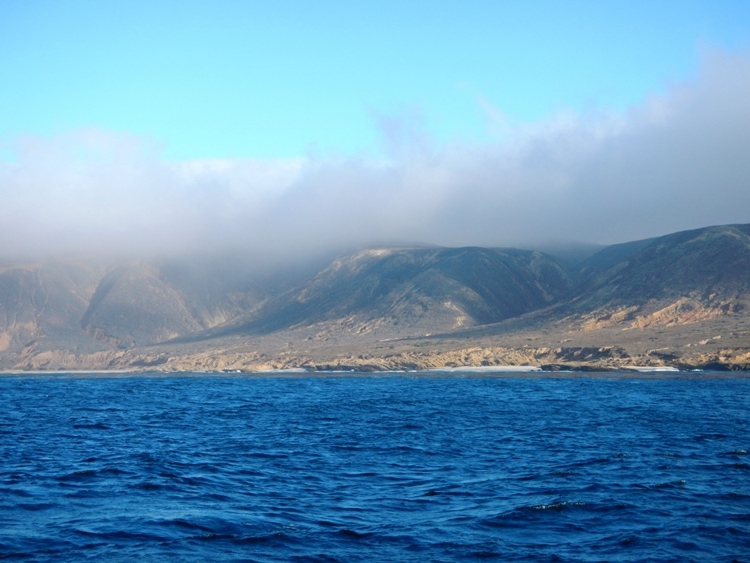 For the last four years, I have lived in plain sight of Channel Islands National Park, which consists of five islands and their surrounding waters off the coast of Southern California. 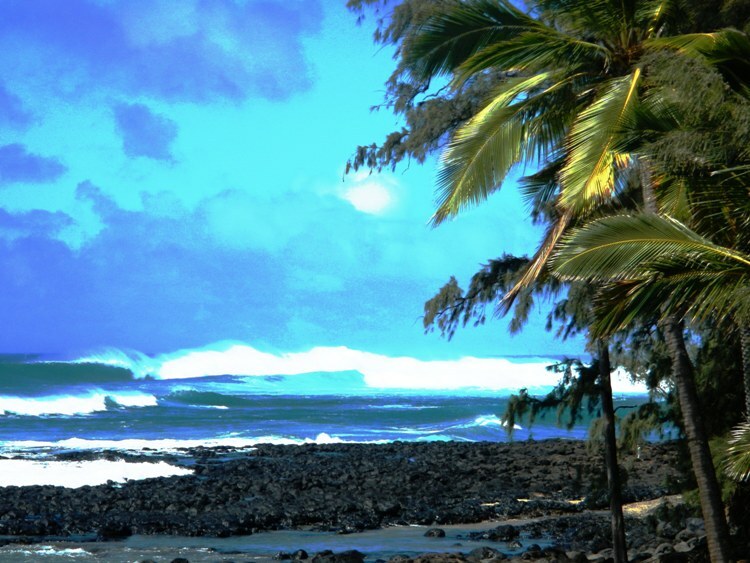 As a UCLA student who loves surfing, I’d often lazily look over to this group of distant mounds on the horizon as I waited for the next set of waves to roll in. I never visited the islands prior to this internship, so they were actually little more than a nuisance to me because of their tendency to block swells from reaching the mainland surf spots! After finally receiving this much-anticipated opportunity to visit the park, I now can’t believe that I didn’t make every possible effort to do so earlier! The Channel Islands amazed me at every step of my week-long trip as I saw a precious example of the unspoiled beaches, native wildlife, and peaceful solitude that all of California once offered. After landing in Los Angeles from Eugene, Oregon, I hopped a shuttle up to Ventura Harbor, where the Park Headquarters and Visitor Center are located. Even the shuttle ride to the park was beautiful! Travelling up the Pacific Coast Highway, nestled between the beaches and mountains of the California coast, was the perfect way to build anticipation for the upcoming week of diving. 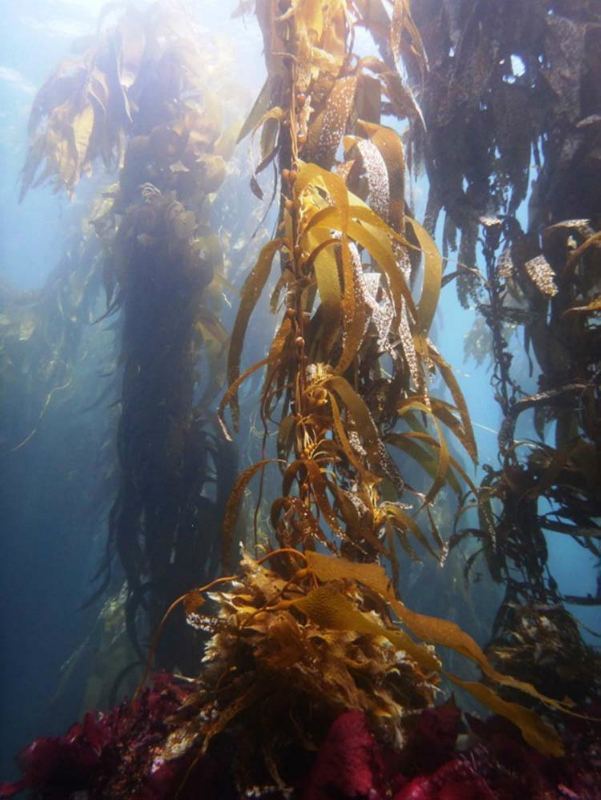 Upon arrival I met David Kushner, a marine biologist who runs the Kelp Forest Monitoring (KFM) program in the Channel Islands. 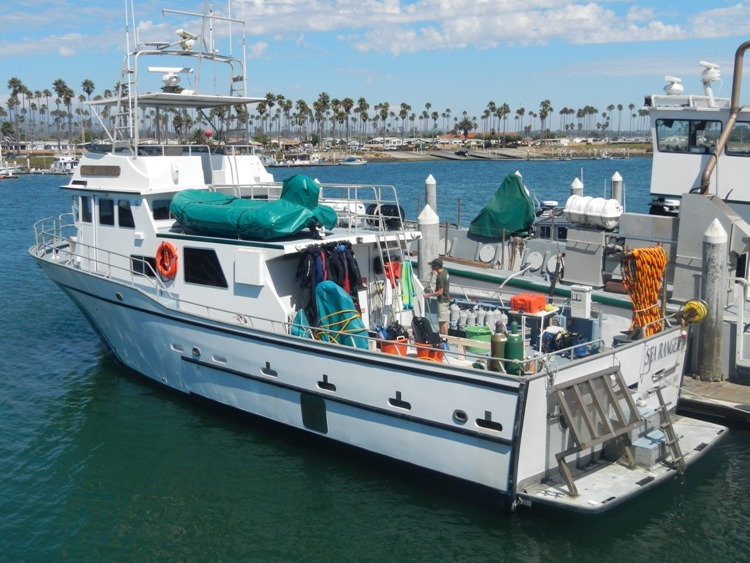 He showed me to the Sea Ranger II, the park’s live-aboard research vessel that we’d be calling home for the week. I unloaded my dive gear and spent a restful night sleeping aboard the boat. I met the rest of the crew as they eagerly arrived in the morning. I could instantly tell that I was about to have an incredible week by the way that the crew was happily preparing for the trip – it says great things about a park and its employees when they energetically haul heavy SCUBA gear at sunrise! 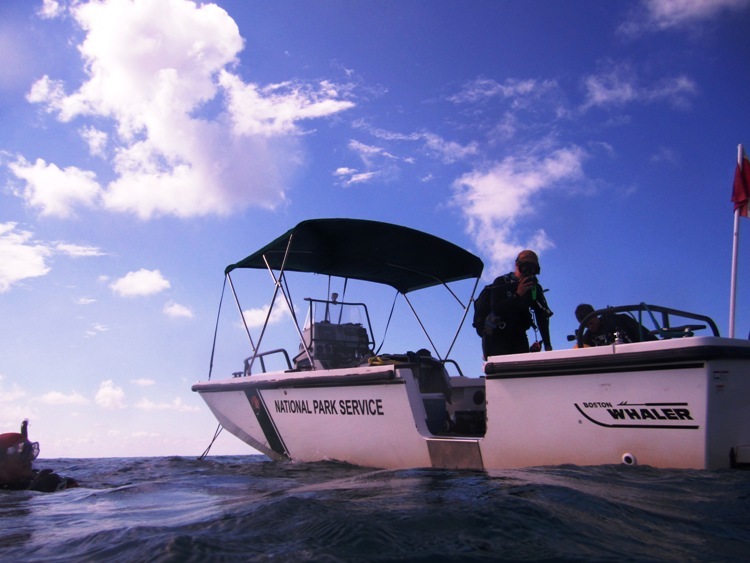 The crew consisted of David, boat Captain Keith Duran, Park Dive Officer/biological technician Kelly Moore, biological technicians Joshua Sprague, Jonathan Centoni, and Stacie Fejtek, and Student Conservation Association interns Michael Civiello and Sarah Carter. We all quickly organized our gear and headed out into the Pacific. Everybody on the boat shared the same mission – to accurately take a scientific snapshot of the diverse marine life that inhabits the park. 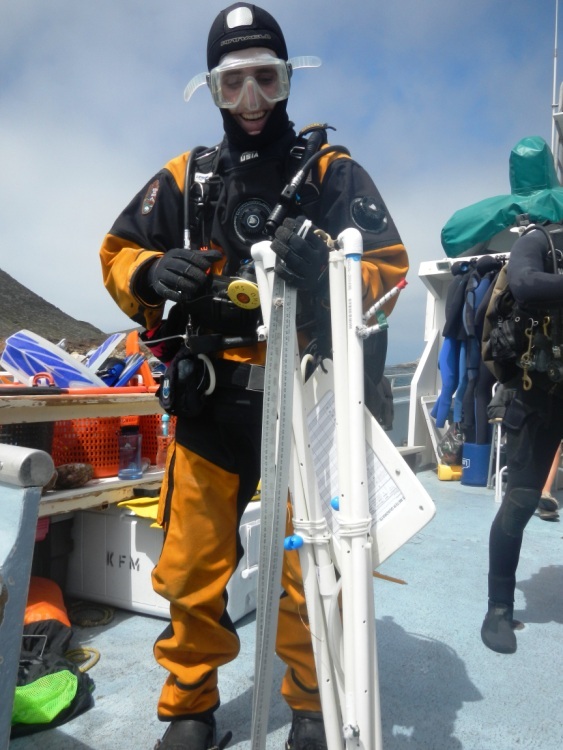 For thirty years, the KFM program has continuously monitored the Channel Islands through an assortment of surveying protocols and lots of dedicated divers. As these snapshots from individual trips are compiled and put into the context of the last 30 years, the KFM team can begin to truly understand trends within a complex ecosystem. Important patterns can be difficult to detect using infrequent or short-term monitoring, which is one of the many reasons why the long-term data produced by the KFM team is especially important – imagine using a flipbook versus a single picture to make a conservation decision! The establishment of this type of program was actually mandated by congress in the early 1980s, as legislation explicitly required the assessment of population dynamics and ecosystems trends. This is quite a daunting task considering the overwhelming diversity and abundance of life found in the Channel Islands. Every member of the crew was an expert on fish, invertebrate, and algae identification, capable of using the most subtle detail of almost any organism to identify its exact species. The breadth of their ID skills was one of the most impressive aspects of the whole trip! I was able to learn so many new species this trip since the whole team was happy to share their knowledge with me. The diving in the Channel Islands was absolutely phenomenal. Apparently we really lucked out with the diving conditions, as team members were claiming that the visibility was the best it has been in over a year. On my very first dive, I saw more fish than I saw in the last year combined! 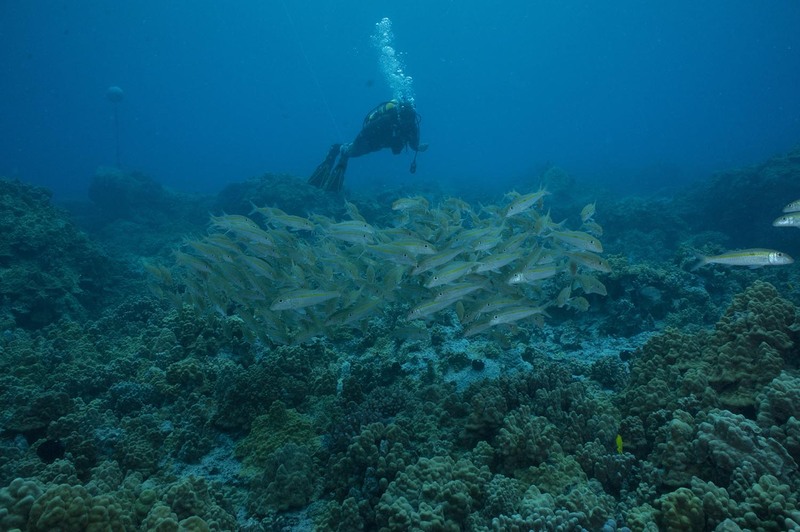 On that dive, I accompanied a pair of divers who were surveying fish populations by completing Roving Fish Counts, which requires divers to count every fish they see for 30 minutes while swimming along a 100 meter transect line. 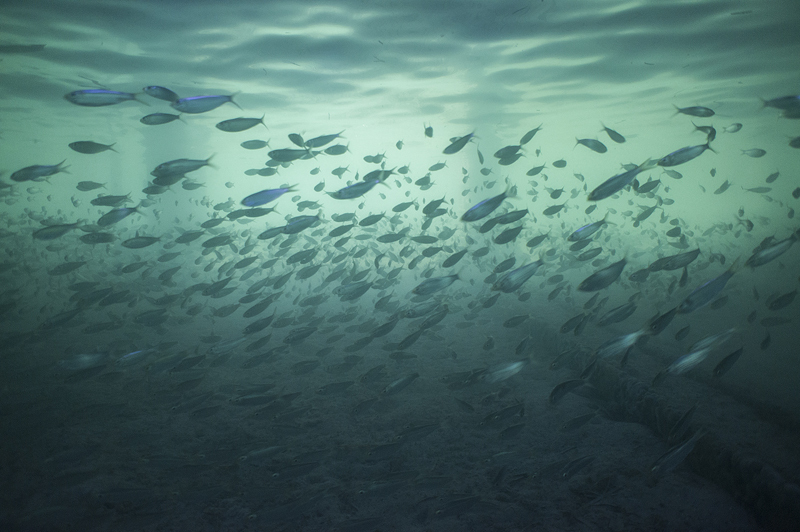 A gigantic school of Pacific mackerel at least 50 meters long passed us, leaving me grinning, and the fish-counters scrambling to assess such a large group of fish. They estimated the school at over 6,000 fish! 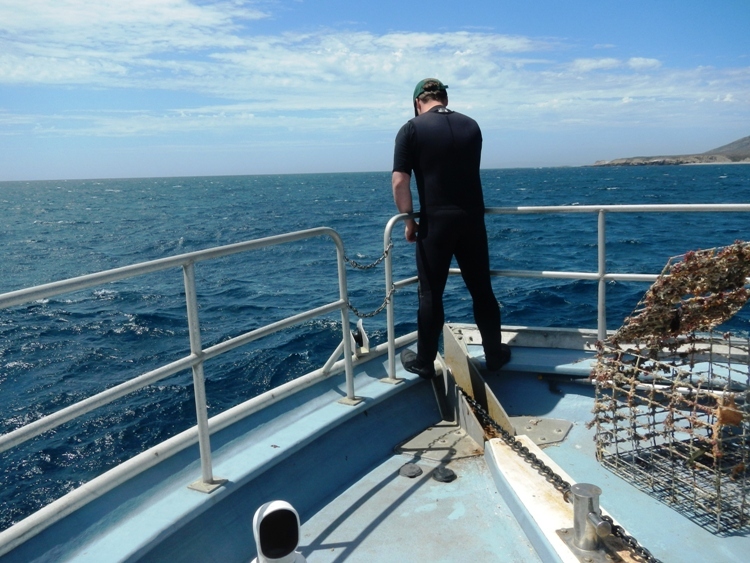 I often helped out with another survey method which utilized Artificial Recruitment Modules (ARMs) to assess recently-settled marine life in an area. The ARMs are made of compact stacks of small cement blocks, allowing organisms to make homes within the cracks of the structure. 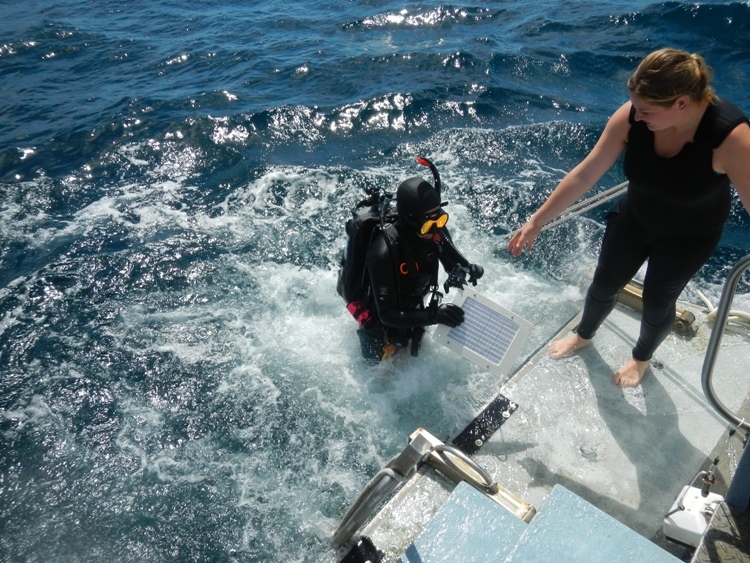 On each dive, I would disassemble a stack of blocks, collect target study organisms (including sea urchins, certain sea stars, and other invertebrates), and bring them back to the boat for measurement. On one dive, I uncovered a tiny octopus that let me know how unhappy it was at my intrusion by squirting ink into the water column and quickly swimming away! 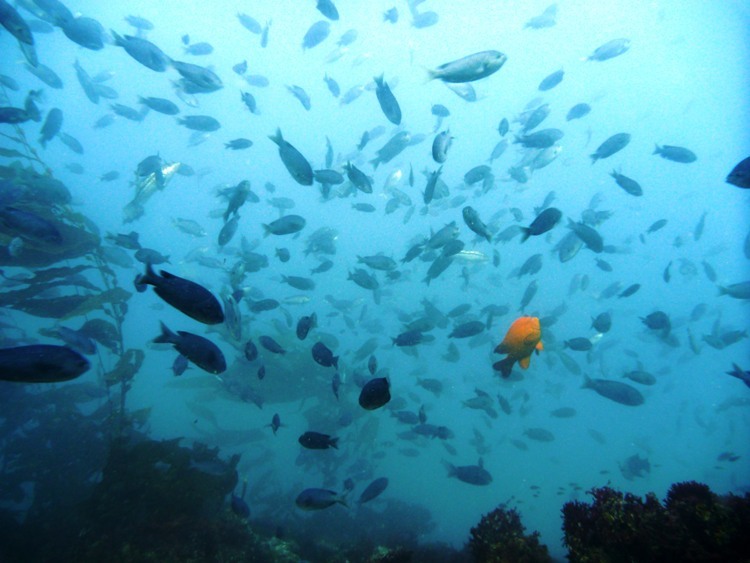 Overall, I saw a rich assortment of life underwater including large fish, sea lions, and tons of invertebrates. I was really interested to see a group of tiny, open-ocean Pacific pompano, which were living within the tentacles of a pelagic jellyfish that was stuck on a sea urchin. From the boat, we saw massive Northern elephant seals (which can grow to be over two tons! 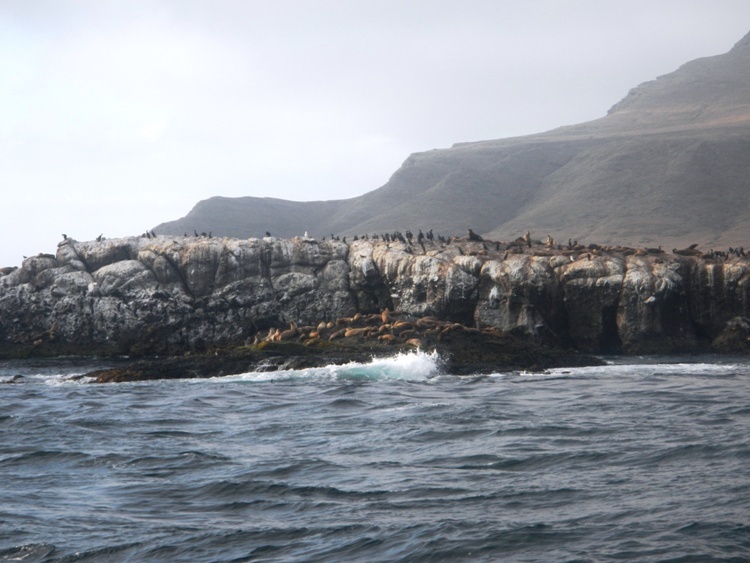 ), dolphins, and huge colonies of seabirds. Since there was so much work to be done (which I think is a good thing – it means that there is lots of life! 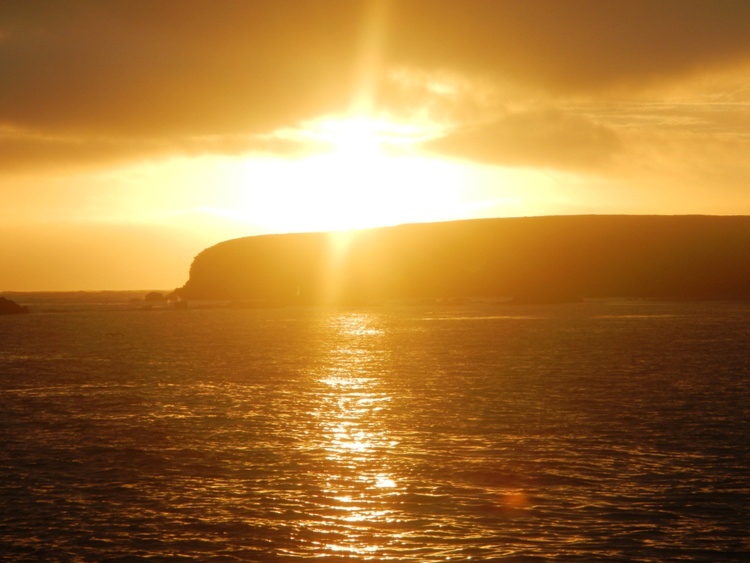 ), we typically rose at sunrise and completed four long dives a day. 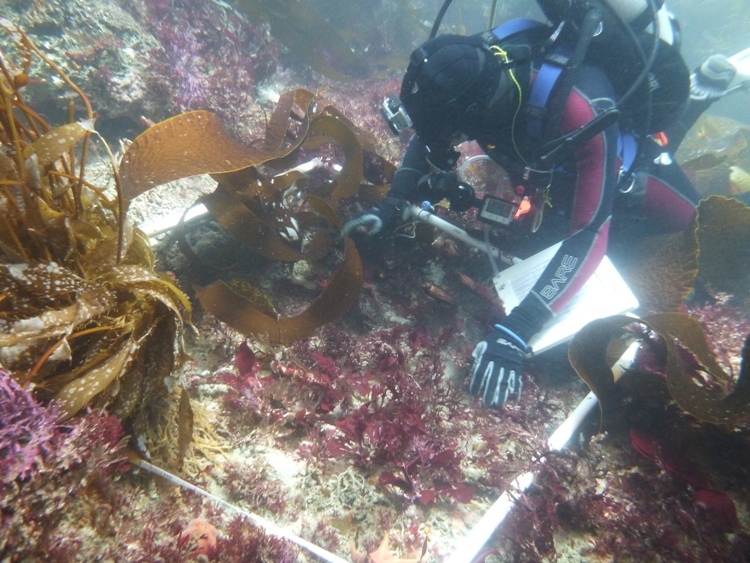 There was much to be done topside as well, as data was thoroughly reviewed for potential mistakes and organisms collected from ARMs were rapidly measured as a team. The whole team happily eats, sleeps, and breathes monitoring during these week-long trips; every single morning, divers awoke eager to get into the water and every evening, the team excitedly discussed the unusual sightings and unexpected patterns of the day. I still can’t believe that one of my favorite places in the entire country was just a boat ride away from my home for four years! I’m so happy that I was able to finally experience this national treasure, but I’m not alone in this regrettable oversight; over 18 million people live within 200 miles of the park. I can’t offer a strong enough recommendation for everybody to responsibly visit or support this park, as it is a truly unique time capsule of a more pristine California. I also can’t offer enough thanks to David and the entire KFM team for warmly letting me learn from them and experience this park! 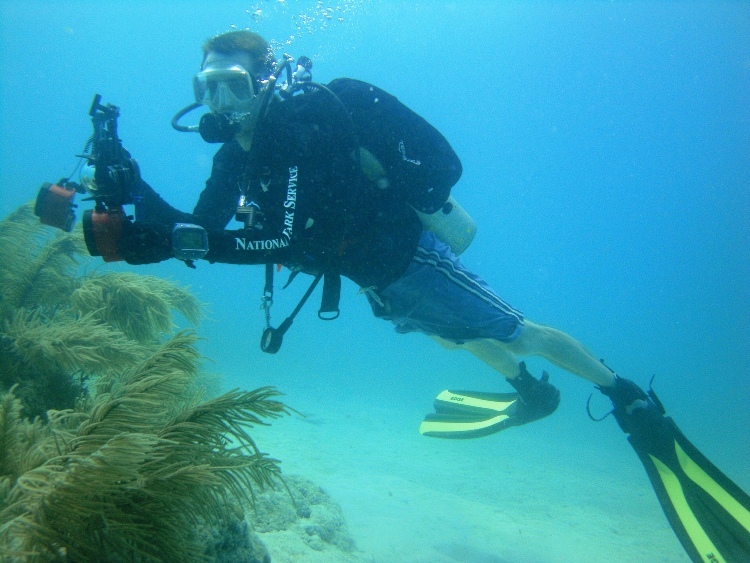 Additional thanks to Kelly Moore for taking all underwater pictures that you see here! This entry was posted in 2012 National Park Service on September 11, 2012 by SamiS. After a few short hours of travel, my surroundings changed from 108 degree desert landscapes to evergreen forests and frosty, mountain lakes. I spent a great five days in Crater Lake National Park in Oregon; a park with the diver-friendly distinction of having one of the clearest bodies of water on Earth among other tremendous natural resources. 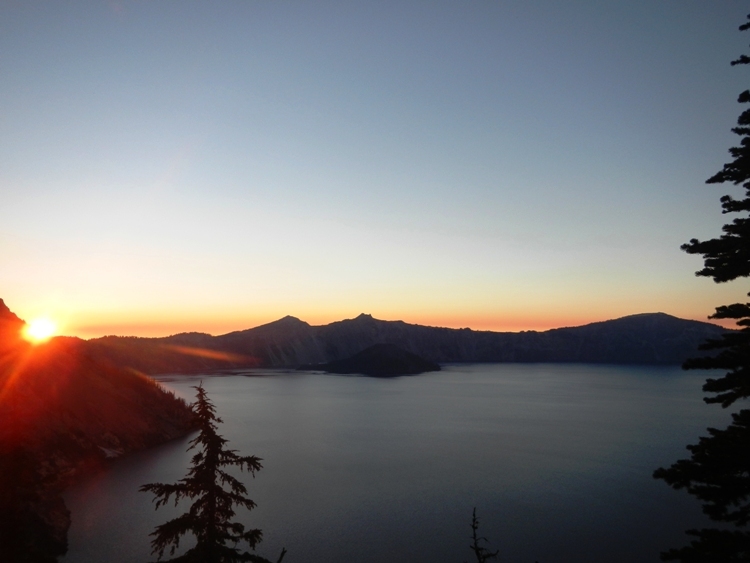 The lake was formed over 7,000 years ago when a violent volcanic eruption created a massive container for the rains and snowmelts of the Pacific Northwest. 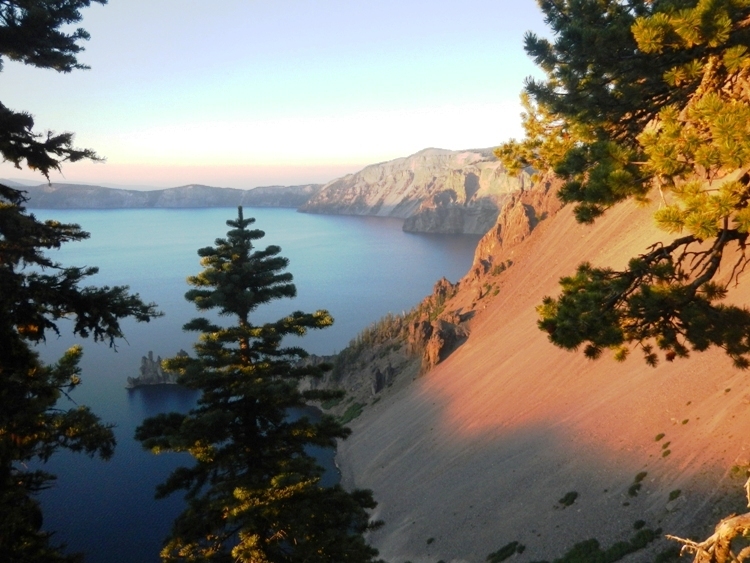 All that water has also made Crater Lake the deepest lake in the United States, with a maximum depth of almost 2,000 feet! 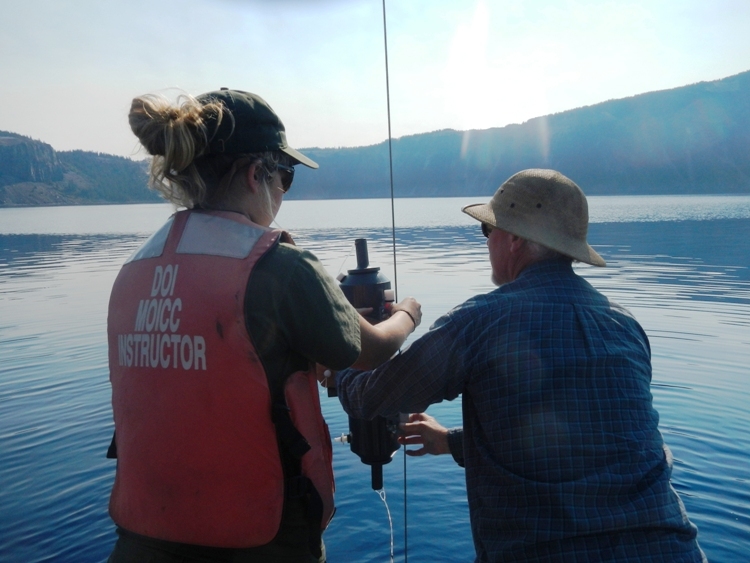 The lake’s unique ecosystem and physical properties bring together all sorts of eager scientists, making Crater Lake a must-see for any Submerged Resources Center intern whose interests lie in diving and science. 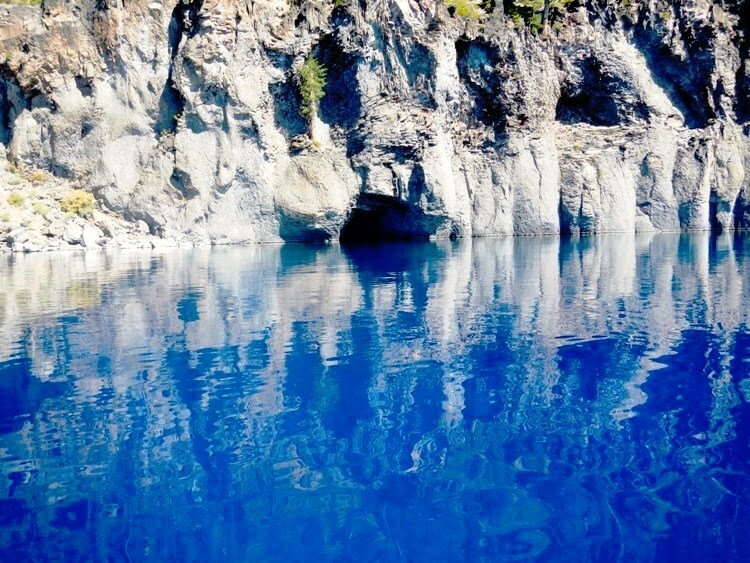 The legendary underwater visibility at Crater Lake is routinely measured to be over 100 feet. After hearing this fact I was expecting to see tropical waters, which often remind me of a fish tank or swimming pool because they’re both clear and fairly colorless. 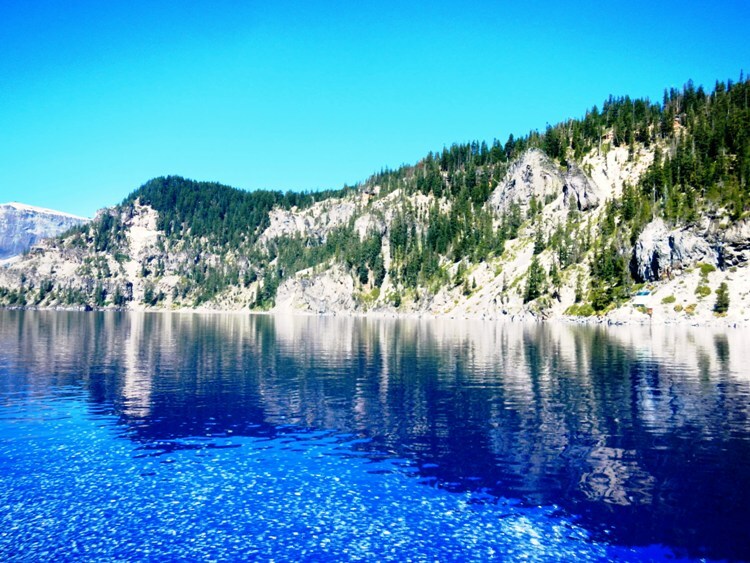 As my rental car chugged up the narrow road leading to the lake, I was absolutely shocked to see an electric blue color blasting through the blanket of trees that coats the rest of the scenery. These waters looked much more like a tropical fish than a tropical ocean – I’ve never seen such an iridescent blue color coming from water before! Still brimming with excitement, I headed over to Park Headquarters to meet my hosts for the week. The park’s buildings and roads are located on the “caldera,” which is the steep volcanic ridge that surrounds the lake and its handful of tiny islands. I met aquatic ecologist Mark Buktenica, who offered even more excitement by telling me that I’d be spending my very first night at Crater Lake INSIDE the caldera! There is a rustic boathouse located on Wizard Island (the largest island in the lake) and we would be camping there so we could start work early the next day! The lake is only accessible by a steep two-mile hike from the top of the caldera to the water’s edge, so camping is a great way to avoid this morning “chore” (which is actually one of the best ways of seeing the lake from a variety of angles). I completed the short hike with Mark and I met the rest of the crew at the water’s edge. Throughout the trip I worked closely with Mark, Scott Girdner, an aquatic biologist, Bob Hoffman, a USGS researcher, Drew Denlinger, Hilary Griffin, and Schannon Gehrke, the three biological science technicians, Sudeep Chandra, a visiting professor from University of Nevada Reno, and his inquisitive group of graduate and undergraduate students. We headed towards Wizard Island in a Park Service boat, ate a quick dinner, and listened to a presentation given by Scott about the research conducted in Crater Lake. It was really encouraging to see the strong collaboration that occurs between government and university researchers, as I used to think of those two groups as very separate entities. Throughout the week, Sudeep and the NPS/USGS researchers bounced dozens of ideas off of each other while discussing unusual data, troubleshooting current experiments, and brainstorming future research plans, which clearly strengthens the efforts of both groups of researchers. After the presentation and the following discussion, we all prepared for bed. We laid our cots and sleeping bags out on the dock and spent a brisk but beautiful night directly under the stars and moon. 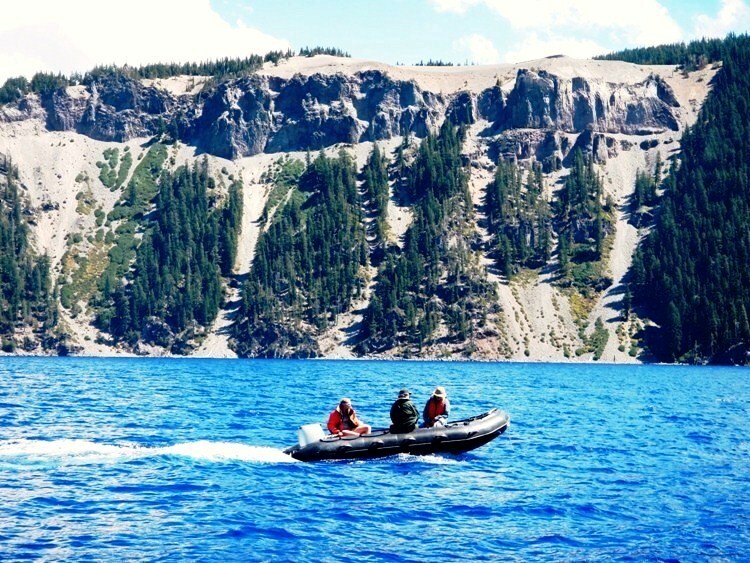 We spent the next few days doing tons of different analyses on the unique water of Crater Lake. The lake’s research vessel (which originally had to be lifted by helicopters down to the lake!) 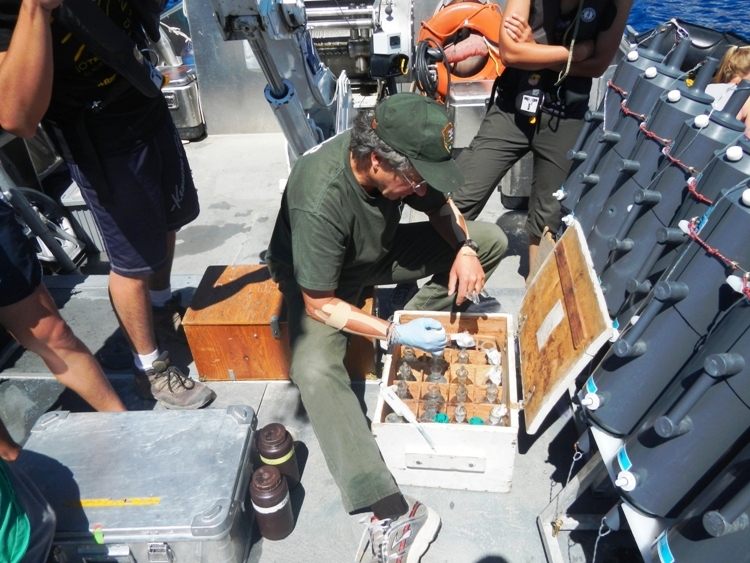 was loaded with dozens of Niskin bottles, which are used to collect water from different depths in order to measure chemical and biological qualities. We sent Niskin bottles all the way down to 1,800 feet, which allowed us to collect important water samples. We were also able to drink the leftover water from each Niskin bottle – water from the depths of Crater Lake was definitely the purest and best-tasting water I have ever experienced! In addition to testing for the chemical properties of the lake, we also used fine-meshed nets to collect zooplankton samples. Aquatic life is generally very low in Crater Lake, which is one of the main reasons why there is such incredible visibility. 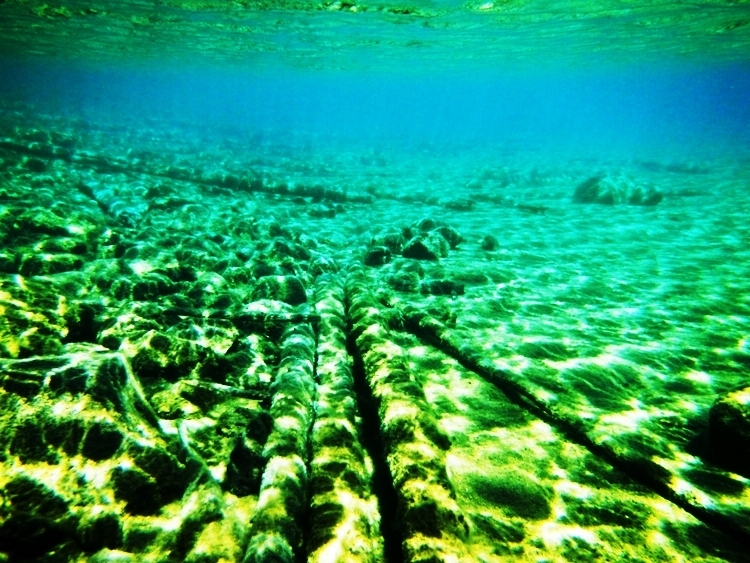 The low levels of life, nutrients, and organic debris keep the waters crystal clear. 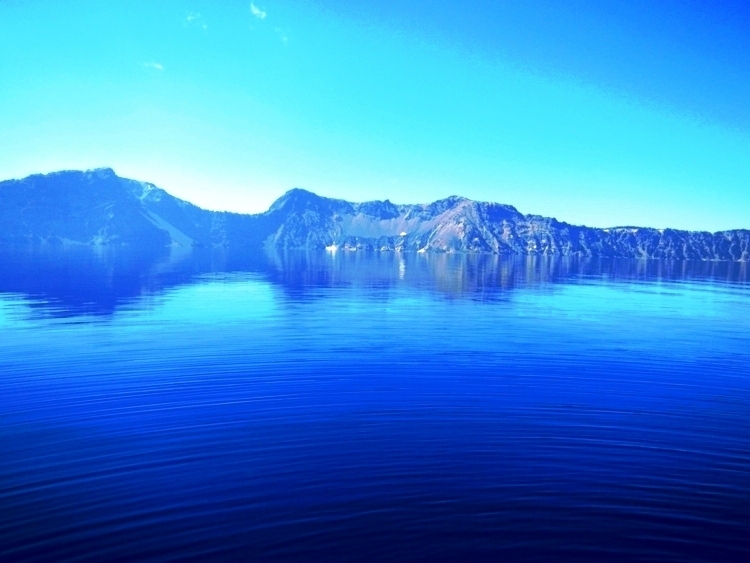 Maximum concentrations of aquatic life commonly occur in the first twenty feet of a lake, but at Crater Lake the highest concentrations of life may be found hundreds of feet below the surface due to the extreme penetration of damaging UV rays through the clear waters. On my last day in Oregon, I finally got to do some clear-water diving! 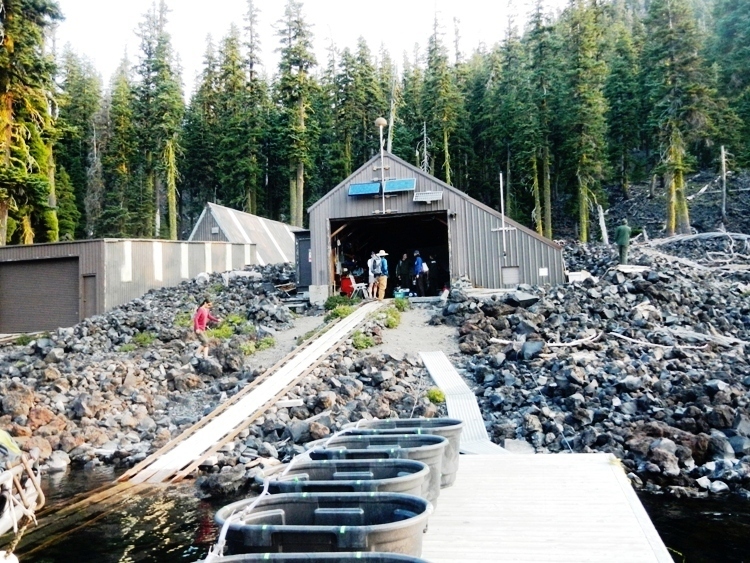 Drew has been spearheading a study on the newts that are endemic to Crater Lake. Due to the isolation that these newts experience, they’re thought to be a completely different species than populations located just a few miles from the lake. 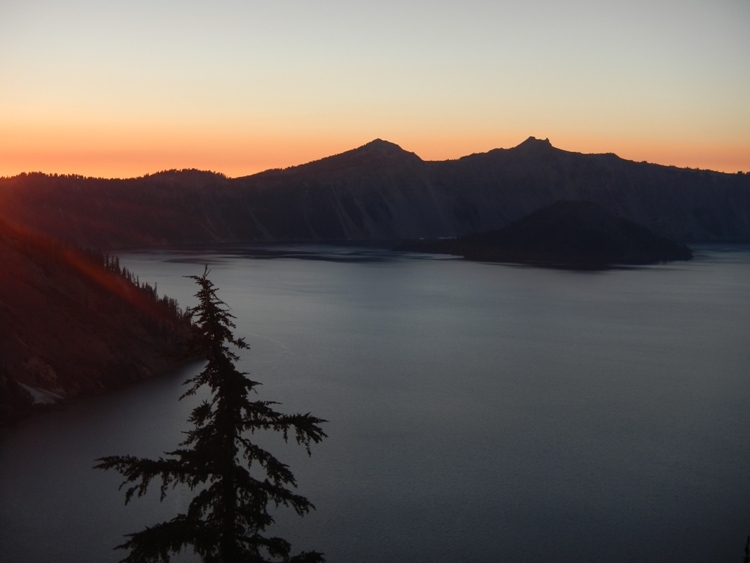 Since Crater Lake’s newt population is currently at risk due to invasive crayfish, we could be watching an entire species go extinct without even knowing it! To confirm that Crater Lake newts are a unique species and secure protection under the Endangered Species Act, Drew searches out newts from surrounding lakes for comparison. 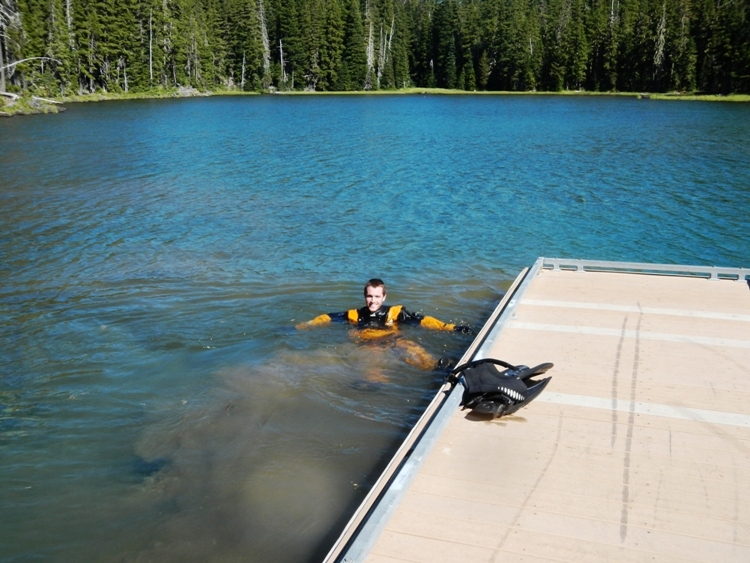 On that particular day, we used SCUBA to go newt searching in Waldo Lake. 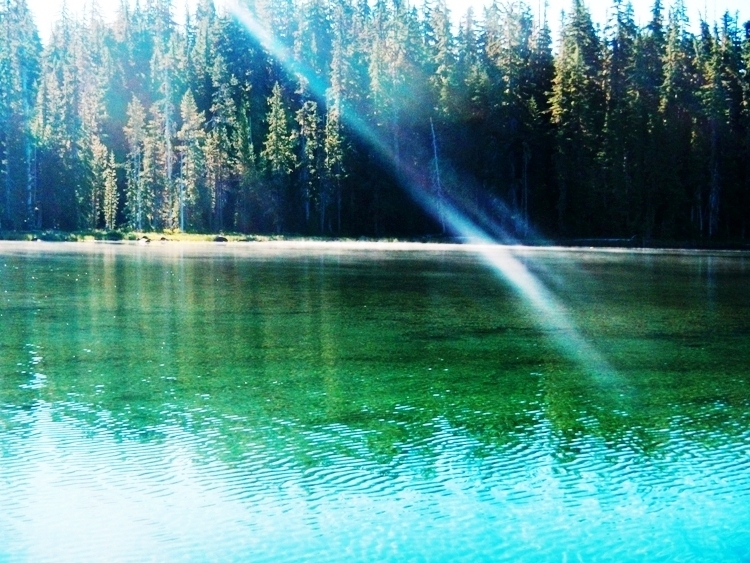 I was in luck because Waldo Lake also has some of the clearest waters in North America with recorded visibility of over 120 feet! We didn’t end up finding any newts, but we saw lots of salamanders, some dragonfly larvae, and a few stray leeches. I owe Mark, Scott, Sudeep, and their teams a big thank you for showing me such a distinctive park and teaching me about what makes it so special! None of my pictures really do the water any justice; personally seeing that glowing blue color in the middle of a thick evergreen forest is something that should be on every diver’s or nature lover’s wish list! This entry was posted in 2012 National Park Service on September 5, 2012 by SamiS. 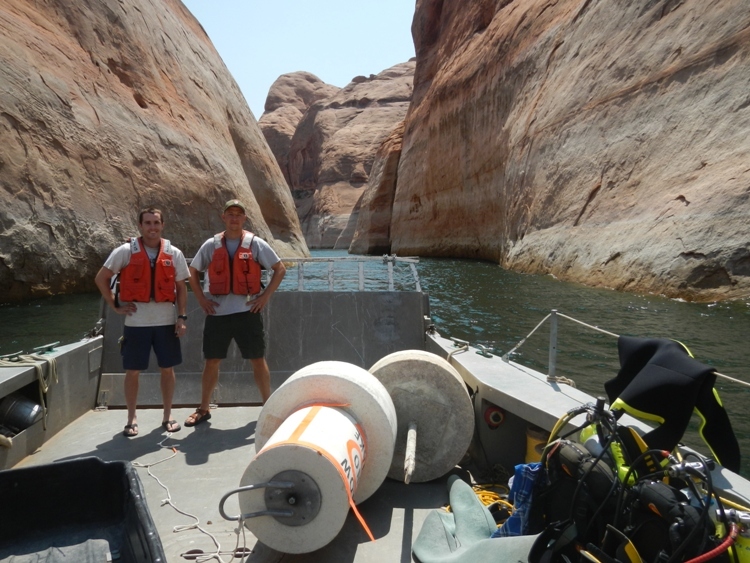 Glen Canyon National Recreation Area: Diving with the Glen Canyon Underwater Recovery Unit – Hitting the Ground Running! “Imagine throwing a handful of random coins onto your front yard, blindfolding yourself, and then trying to find exactly fifty cents…Sometimes, that’s basically what you’ll be doing out here.” A veteran member of the Glen Canyon Underwater Recovery Unit offered me this advice as I eagerly prepared for my first real dive of this internship. Now that I’ve spent one week completing strenuous dives in visibilities that ranged from six feet to six centimeters, I can confidently say that he was telling the truth! Glen Canyon National Recreation Area is located just east of the Grand Canyon and includes Lake Powell, parts of the Colorado River, and huge expanses of desert wilderness. 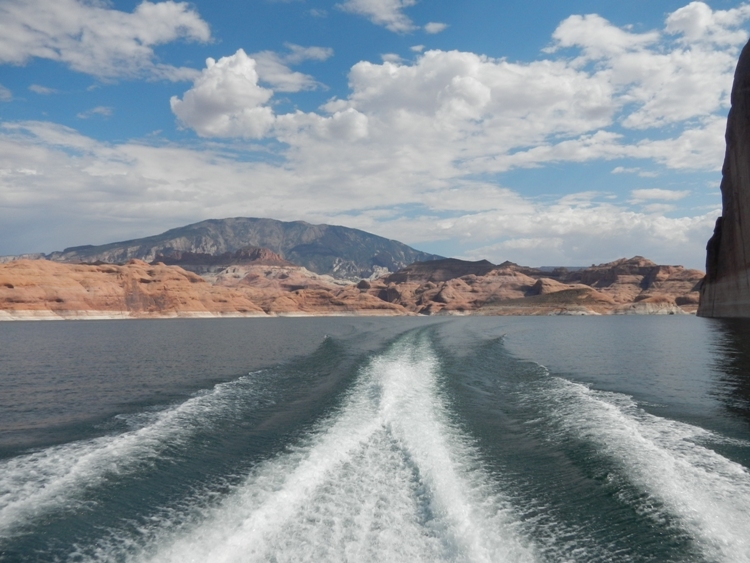 It’s a very popular vacation spot for boaters, as people come from all around to world to take advantage of the southwest sunshine, the warm waters, and the beautiful red rock canyons that the region has to offer. Unfortunately, a high concentration of so many boaters in one unfamiliar location often leads to accidents and boat fires. If just one of the many rental houseboats goes down, acid-leaking batteries, gallons of gasoline, and tons of debris are suddenly added to the beautiful lake. 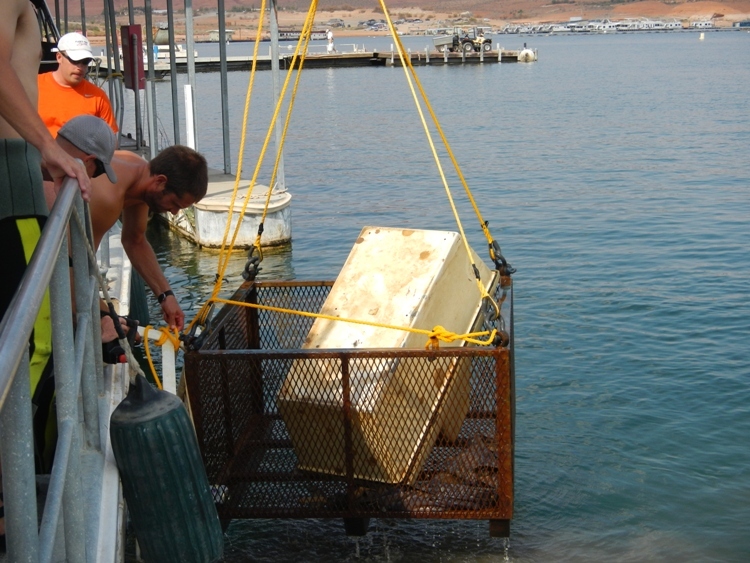 One of the Glen Canyon dive team’s many duties is to help keep these waters safe by scouring the lake for these hazardous materials. 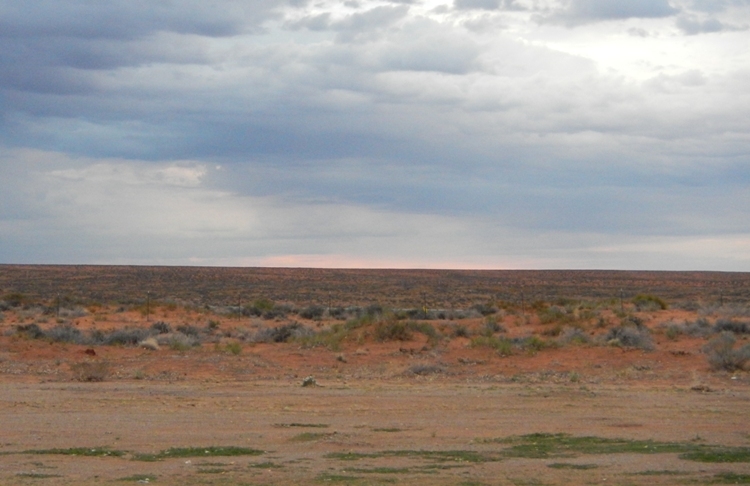 After a busy week in Denver, I flew to Page, Arizona with all the clothing and equipment that I would need for the next three or four months. I felt very prepared in terms of my dive gear – for every t-shirt I stuffed into a small suitcase, I must have packed three pieces of awesome SCUBA equipment! After taking a minute to get accustomed to the Arizona heat, I met Pat Horning, the Park Dive Officer and leader of the Dive Team, who showed me to the dive locker and helped me prepare for the week ahead. I returned the next morning and met the rest of the team: Chris Weaver, the lead diver and former Navy Chief Diver, Matt Graden, Joe Dallemolle, and Dan Hovanec, who are all Law Enforcement Rangers in the area, Elias Jasso, a maintenance worker/diver, and Jeff Wilson, an electrician/firefighter/diver. As I’m sure you can already see, this is a dive team with an incredibly diverse and useful skill set. With that cast of characters, we could be fully prepared to encounter law-breakers, fires, electrical problems, or tricky dives (we ended up dealing with three of the four!). 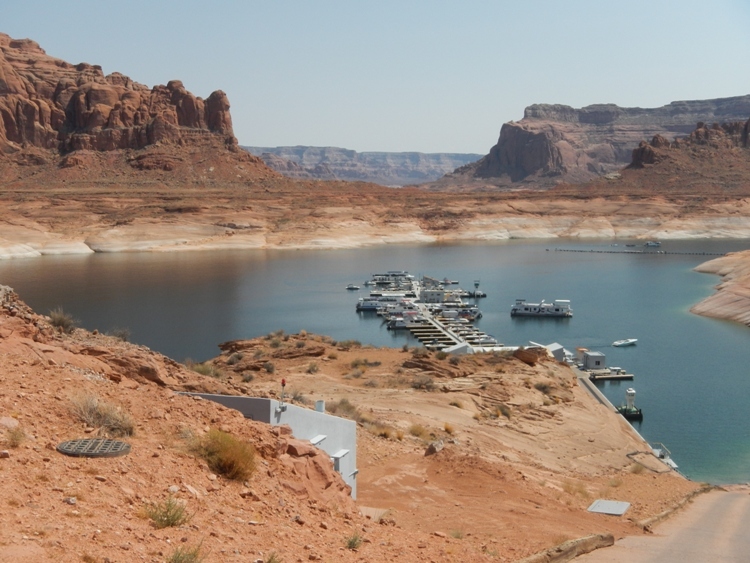 We packed up our gear and piled onto the dive team’s 45 foot boat for a four-hour ride up Lake Powell to Bullfrog, Utah. At my first sight of Lake Powell, I was actually very confused. The area surrounding the lake is as arid as I could possibly imagine (picture tumbleweed, cactuses, and giant red rocks), yet somehow there is a giant, 560-foot-deep lake defiantly located in the desert. 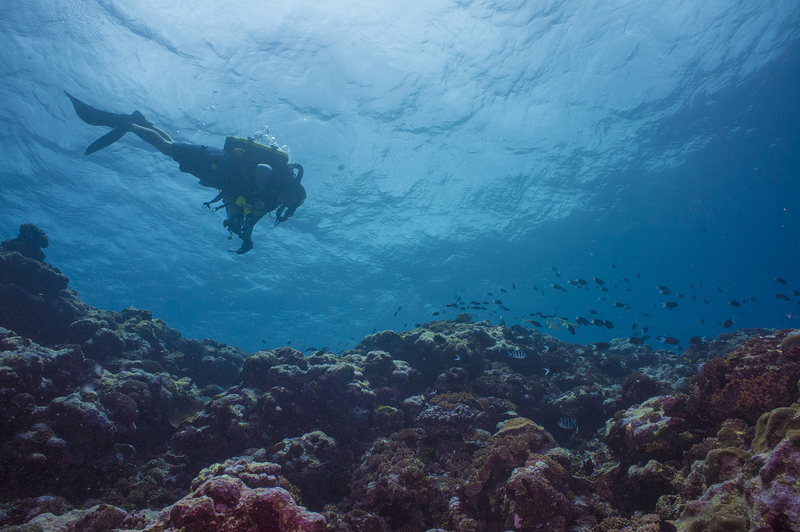 By talking with the dive team, who patiently answered at least a thousand of my questions throughout the trip, I was able to pick up on the clues that the surrounding lands hide. As Pat pointed out landmarks along the way, it seemed like every single rock, canyon, or plateau had some incredible geological or cultural significance. 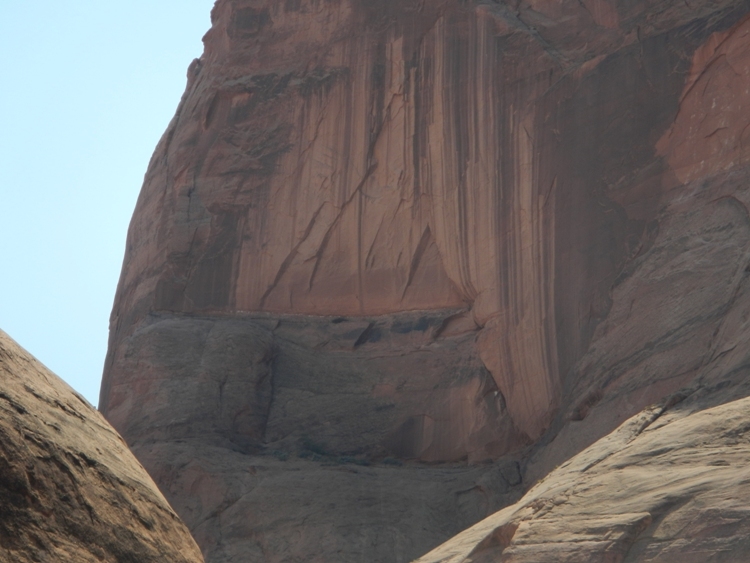 Pat pointed out vertical rows of depressions in the rock faces, which I overlooked as another natural feature of the bizarre landscape. It turns out that they’re actually Moki steps, which were carved thousands of years ago by Native Americans in order to climb the steep rock faces! 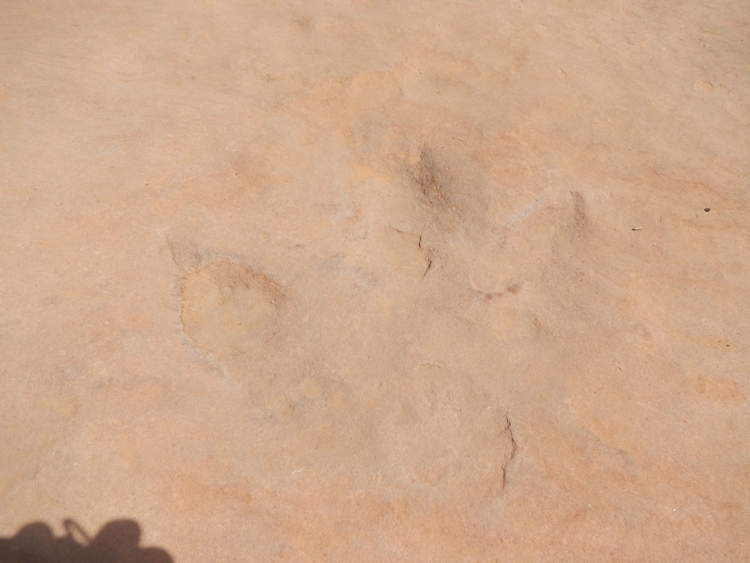 I also saw ancient rock art and even a dinosaur footprint! 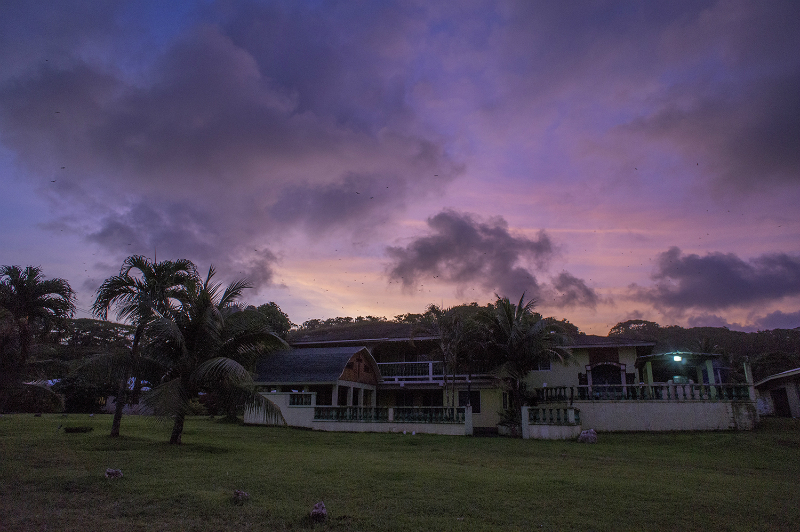 We spent a quick night in a local lodge and headed out at sunrise the next morning to begin diving. 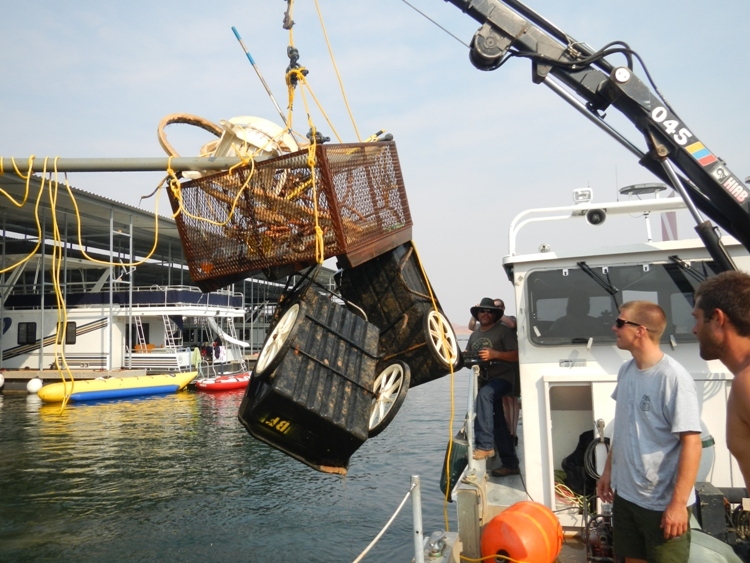 Using forklifts, pickup trucks, and lots of elbow grease, we loaded the boat with stacks of giant metal baskets that the divers would be filling with trash from the lake floor. 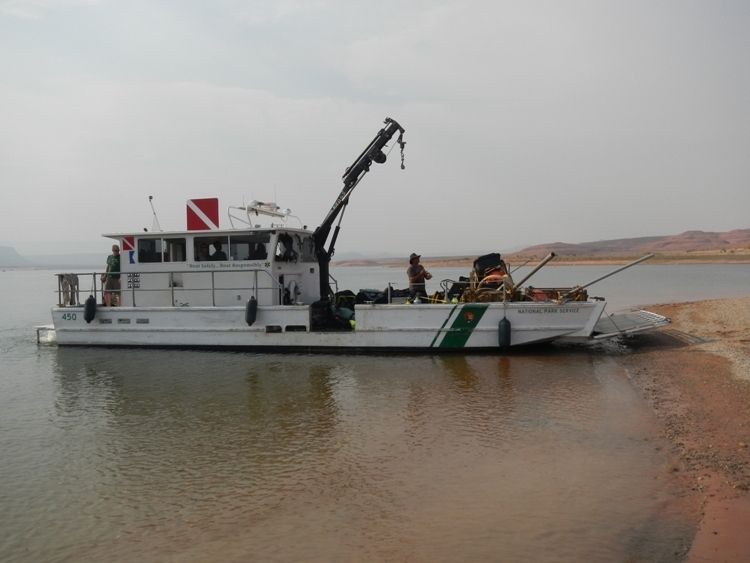 In order to cope with the low visibility of the lake, the Glen Canyon Underwater Recovery Unit came up with a pretty creative dive plan. First, giant metal baskets are pushed overboard with a surface buoy signaling their location. 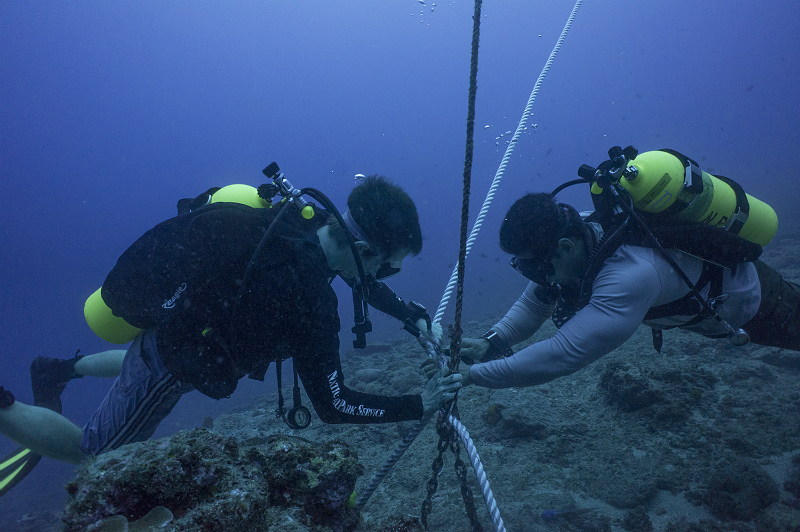 Then, divers descend along that buoy line, tie a rope of their own to the metal basket, and search the surrounding area for hazardous materials while holding that personal search line in order to find their way back to the basket. 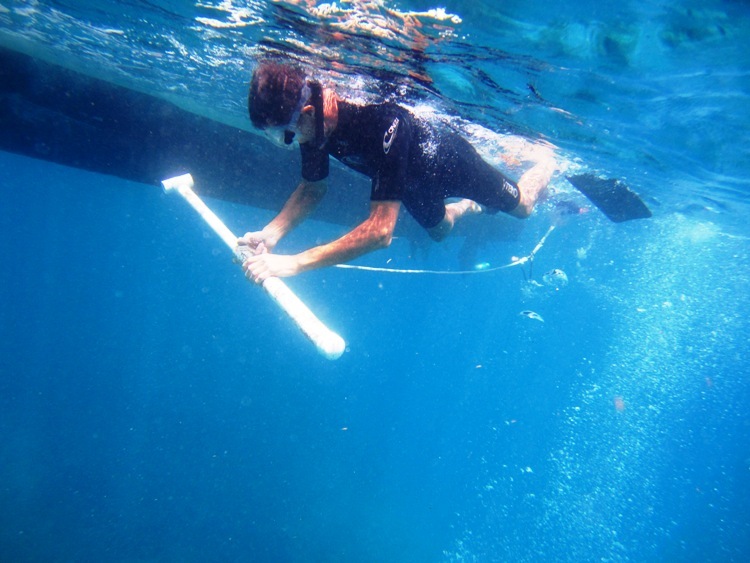 In trash-filled areas it’s common for a diver to make many trips back to the basket to unload debris, though divers might not be able to find a single soda can in other areas. 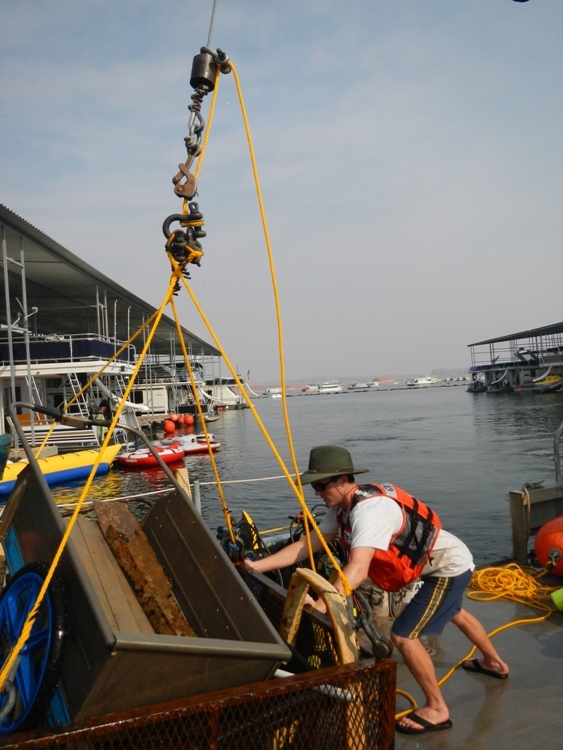 Once the basket is full of trash or the divers clear the area, the boat’s crane is used to haul the basket up from the lake floor. After learning this procedure and receiving lots of advice from the team, it was time for me to finally get wet! 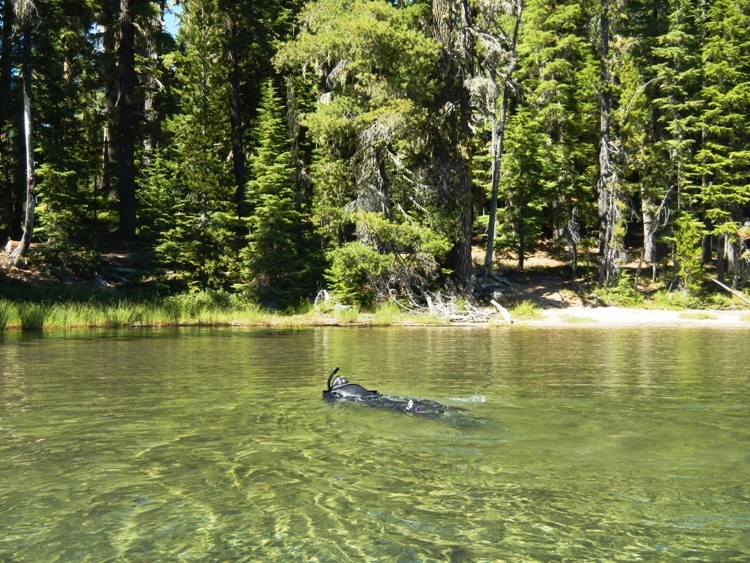 Although air temperatures were well over a hundred degrees, the water temperatures dipped into the 40s at the bottom of the lake, so we had to wiggle into thick wetsuits under the harsh sun. 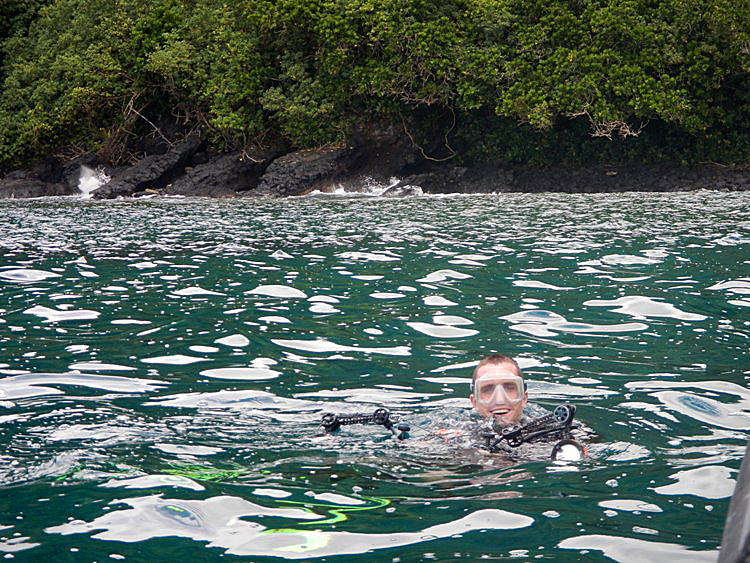 I was very relieved when I first jumped into the water… but that’s probably because I still didn’t fully understand that I was about to complete one of the most challenging dives of my life! 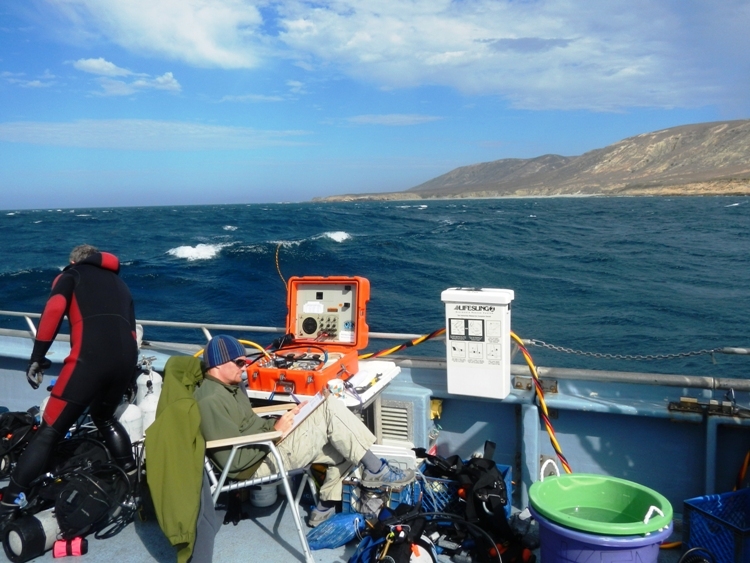 As Pat and I descended along the buoy line with our personal search lines in hand, all was still going smoothly. My gear was working great, my ears had no problems adjusting to the changing pressure, and overall I was very comfortable. 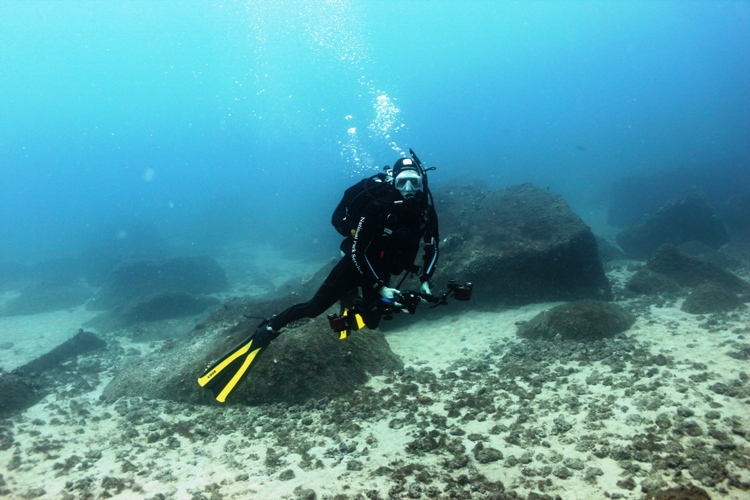 As we reached a depth of fifty feet, I felt like someone had suddenly blindfolded me! In a matter of seconds, visibility decreased from five feet to a just couple of inches and the water suddenly became pitch black. I couldn’t even see my hand in front of my face when I shined my light directly on it, so I had no idea how I was going to find any trash in those dark, murky waters! 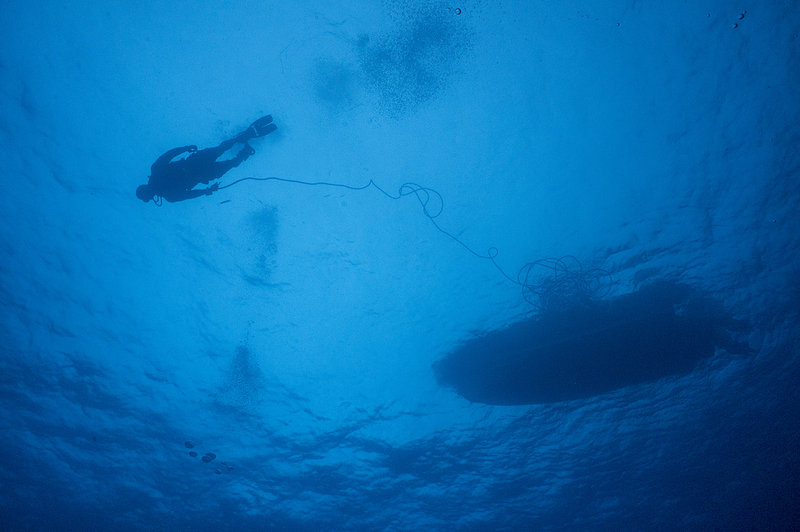 The dive team warned me that their hands were their only way of searching on some dives, so I clumsily tied off my search line, left the relative security of the basket, and swam off into the black abyss that surrounded me. I spent a few minutes searching in absolute darkness before I felt a strong tug on my search line – this meant that Pat was back at the basket and signaling for me to return. I met him at the basket and happily ascended on his command– I was ready for some sunlight again! We returned to the boat and laughed about how terrible the conditions were. 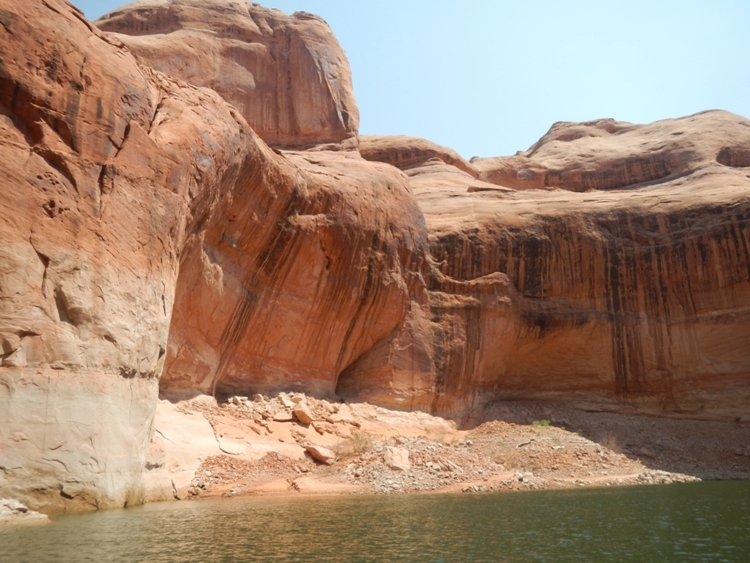 Apparently, those first few dives were completed in some of the worst conditions possible at Lake Powell – seasoned members of the dive team were calling it the worst dives of their lives! 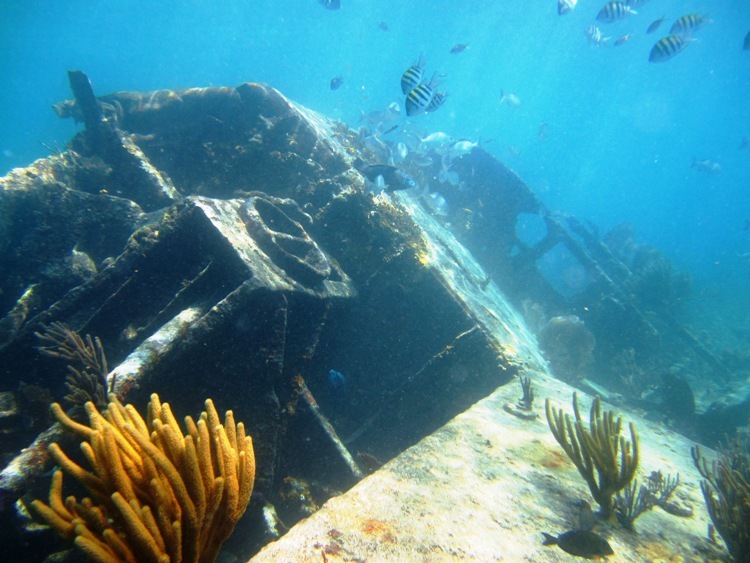 Most people didn’t find much trash, although one pair of divers found the remnants of a burnt houseboat. After the first day of diving, we settled into a routine of each diver completing three or four dives a day in slightly better conditions. We would still occasionally dive in zero visibility conditions, but I became accustomed to using my hands instead of my eyes as my primary search organs. We found all sorts of unusual and dangerous materials, including a rifle, many old batteries, unopened bottles of beer, and a complete barbeque set. 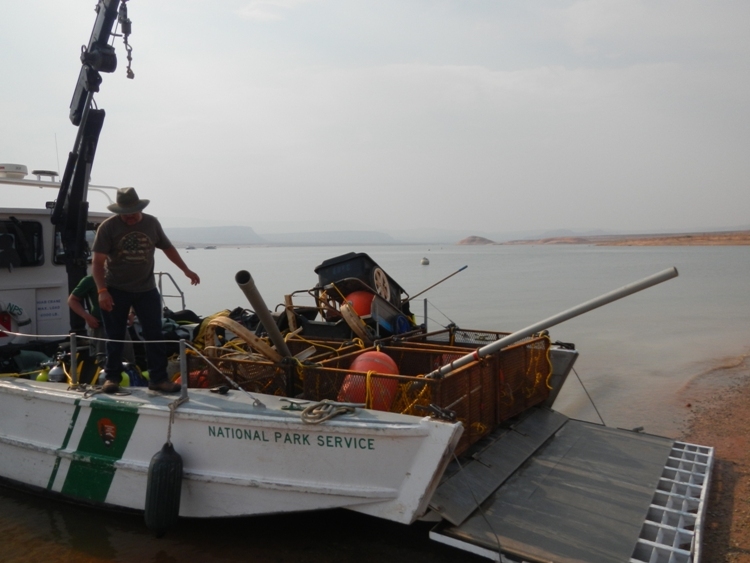 We worked every day from sunrise to sunset and were able to remove thousands of pounds of trash from Lake Powell! 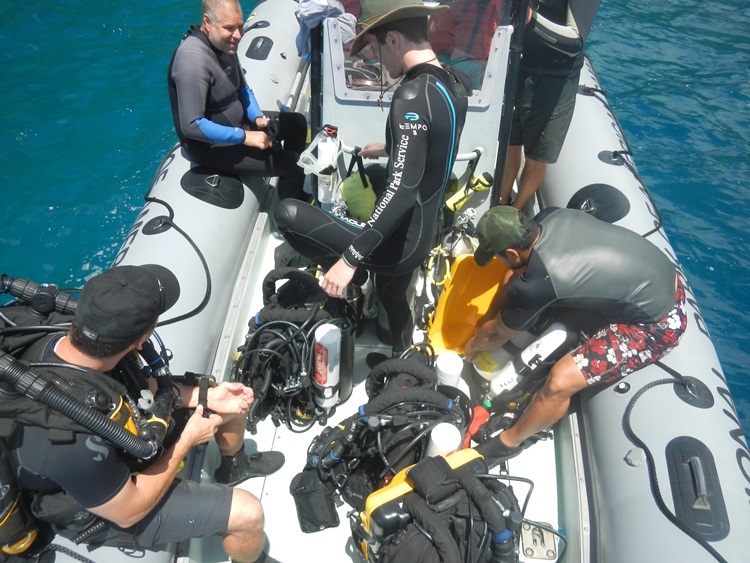 Throughout the trip, the wide range of backgrounds of the group (which, as I mentioned, includes firefighters, maintenance workers, LE rangers, electricians, and ex-Navy divers) benefited the dive team time and time again. 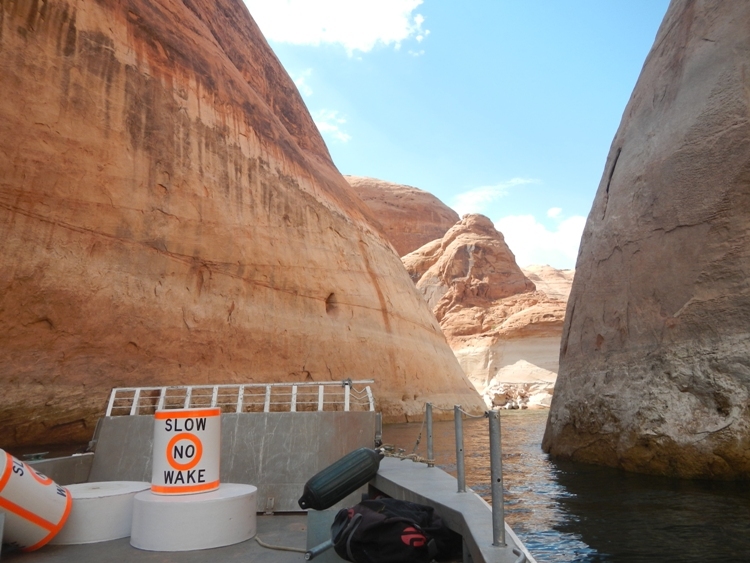 I was really impressed with how they seemed ready to handle any random challenge that Lake Powell could throw our way. 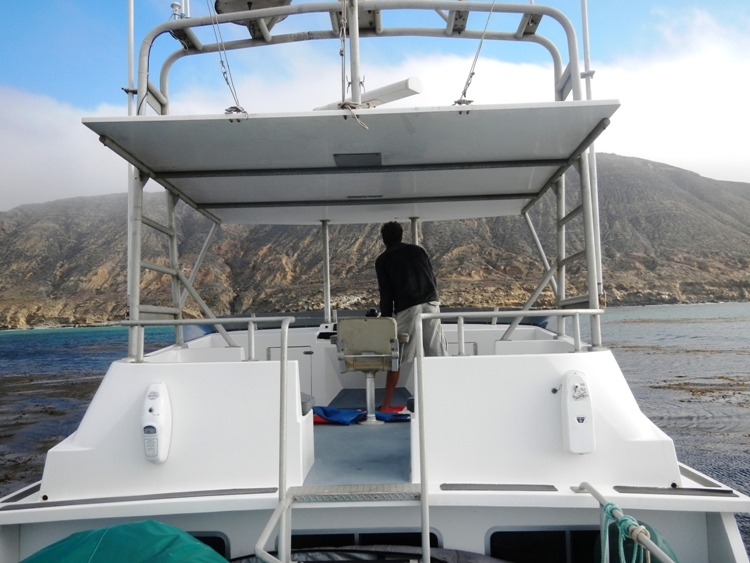 When the wiring for a critical part of the boat started to fail, Jeff was able to rewire the device in no time. 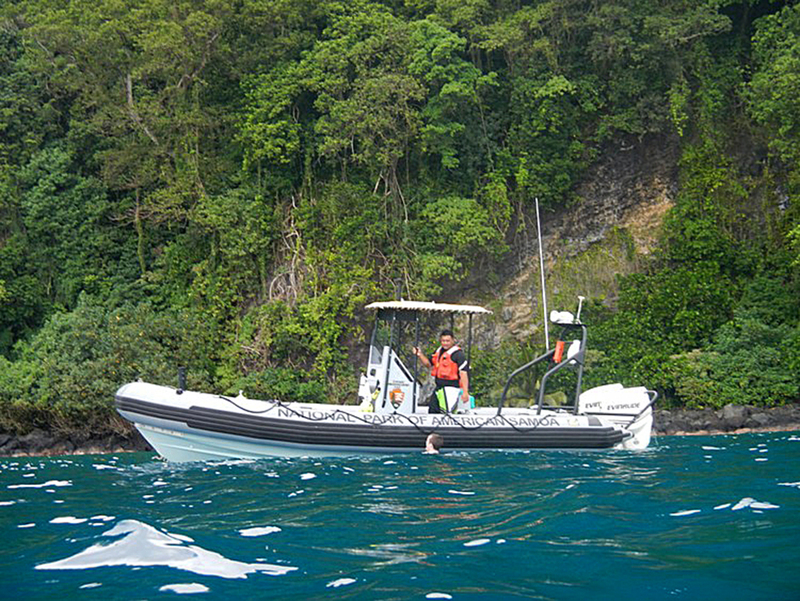 As we would observe park visitors doing blatantly dangerous things like speeding through narrow canyons, the rangers would take control and stop the reckless behavior (which meant my inner seven-year-old was able to get a thrill as the rangers turned on our boat’s sirens and chased down other boats!). I was able to pick up a bunch of different skills by learning from each member of the dive team. I owe Elias a special thanks for spending hours teaching me a bunch of useful new knots – thanks a lot! All in all, I left Glen Canyon National Recreation area with some great experiences, a lot of new knowledge, and ton of respect for the Glen Canyon Underwater Recovery Unit. 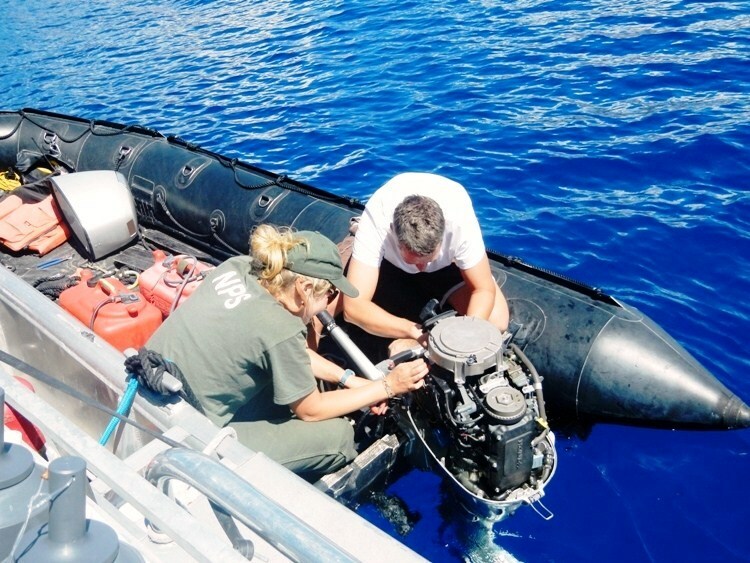 Even in tropical waters with great visibility, a good Recovery Unit requires a skilled dive team with lots of dedication, but this dive team does something really special. Thanks so much to Pat for letting me join the group, and thanks to every member of the team for teaching me so much throughout the trip! 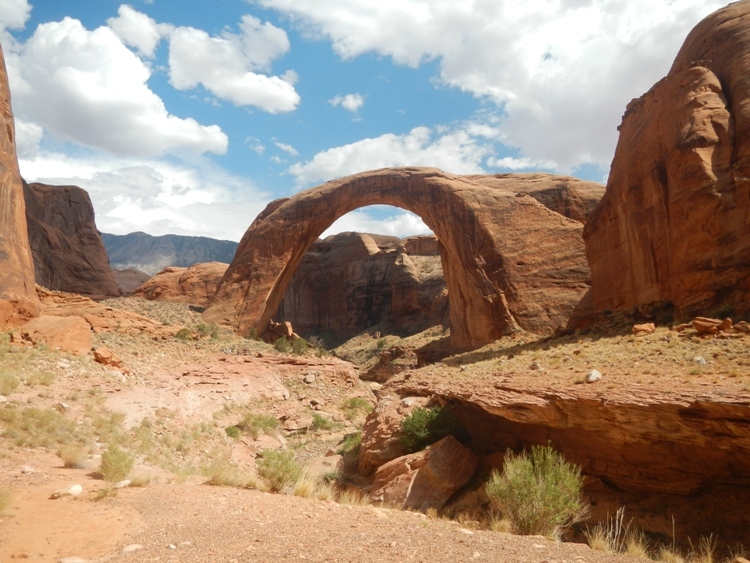 This entry was posted in 2012 National Park Service on August 28, 2012 by SamiS.